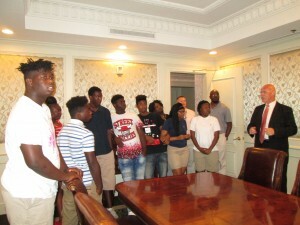 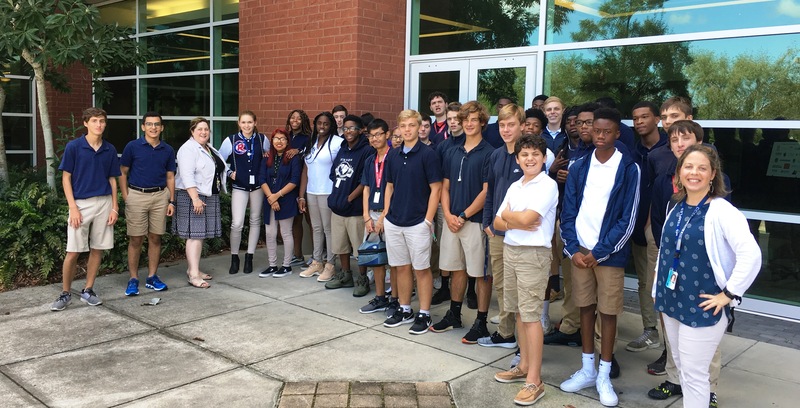 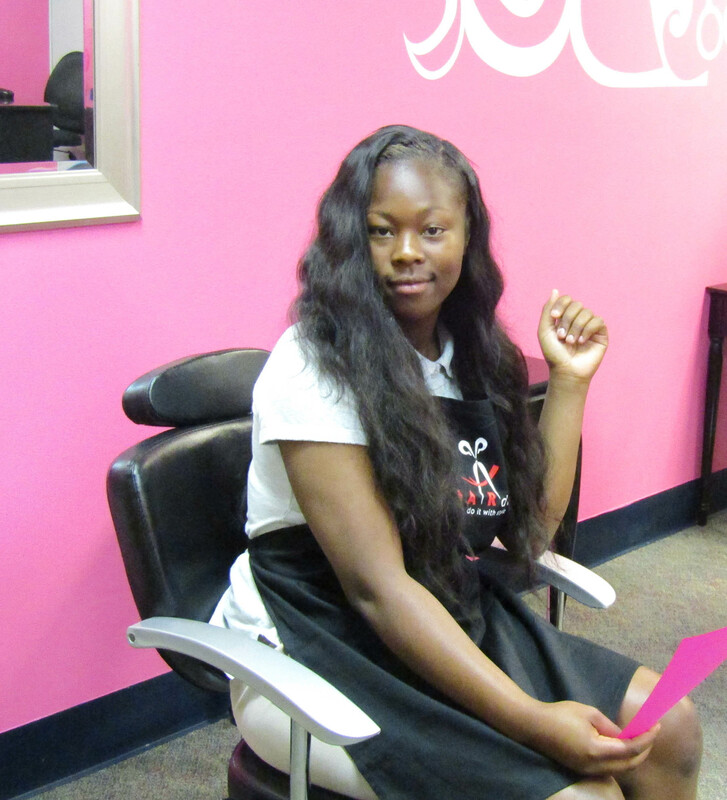 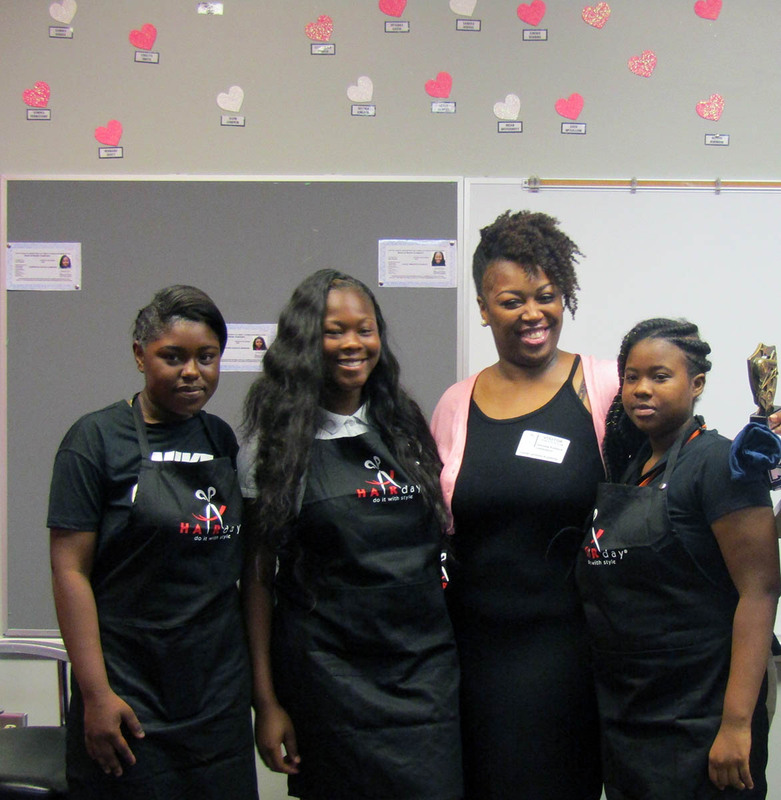 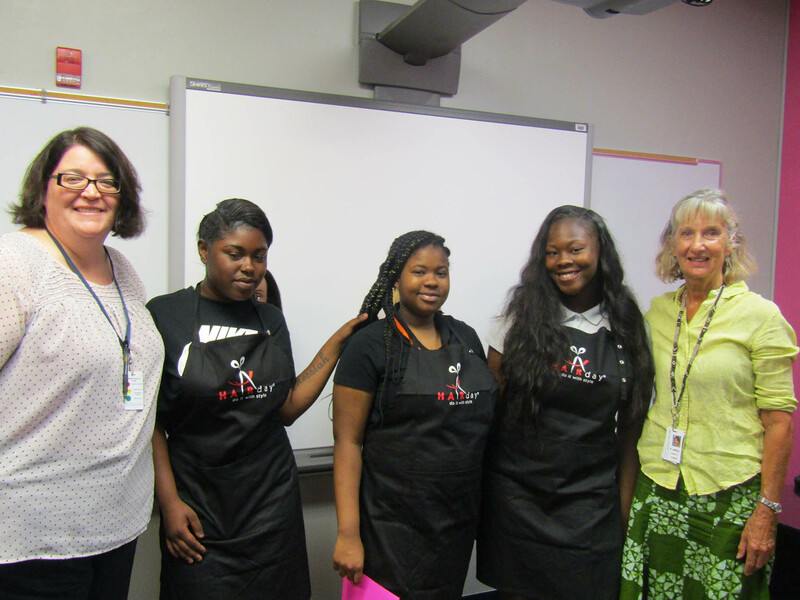 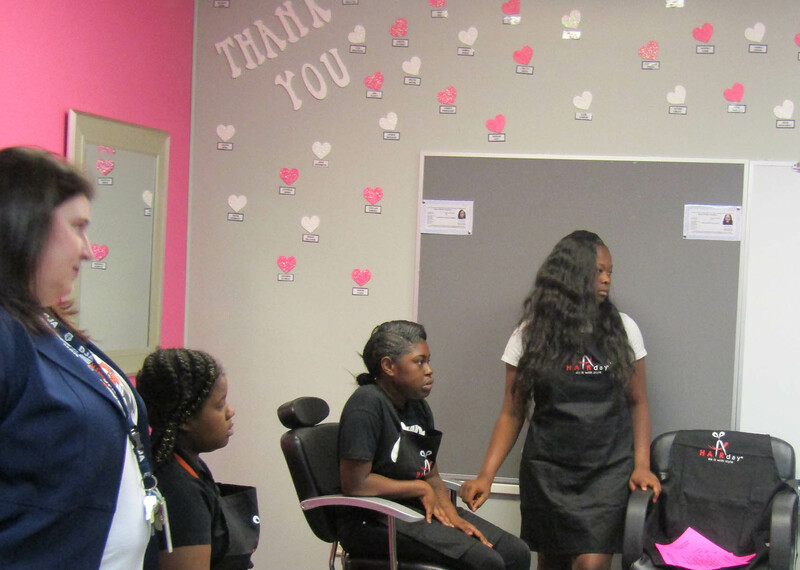 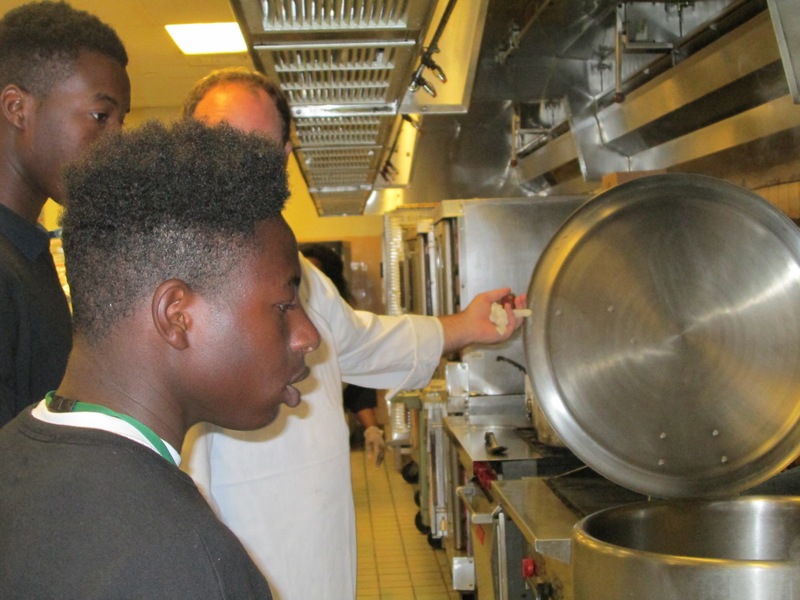 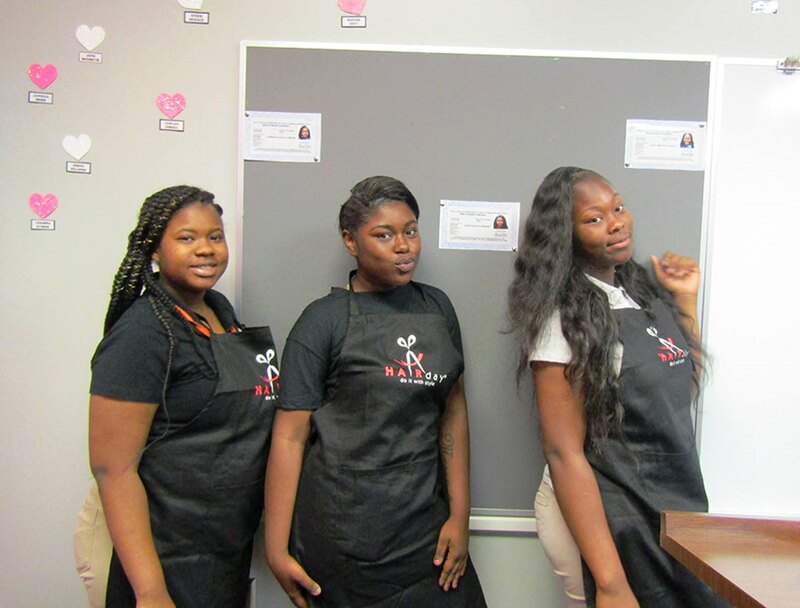 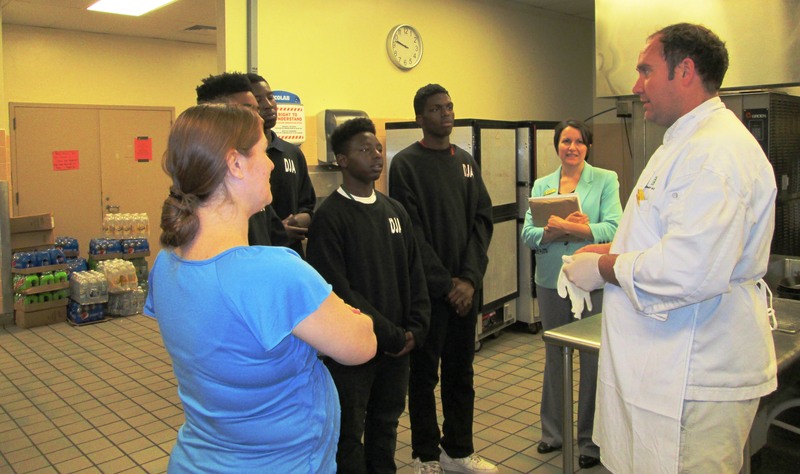 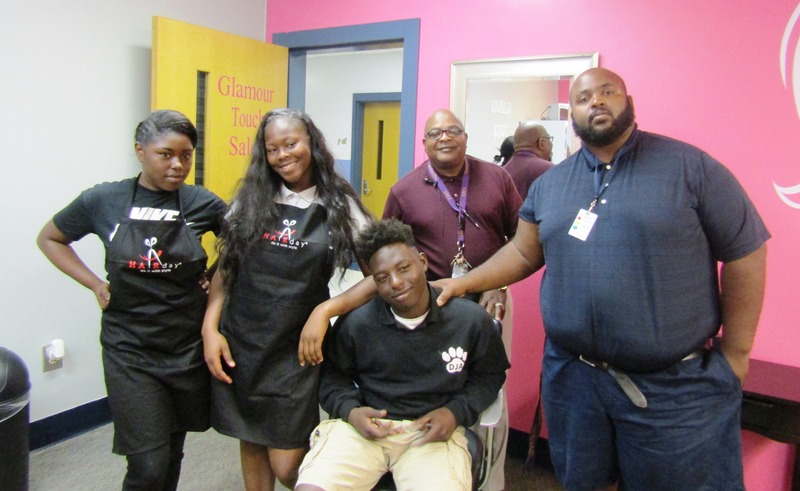 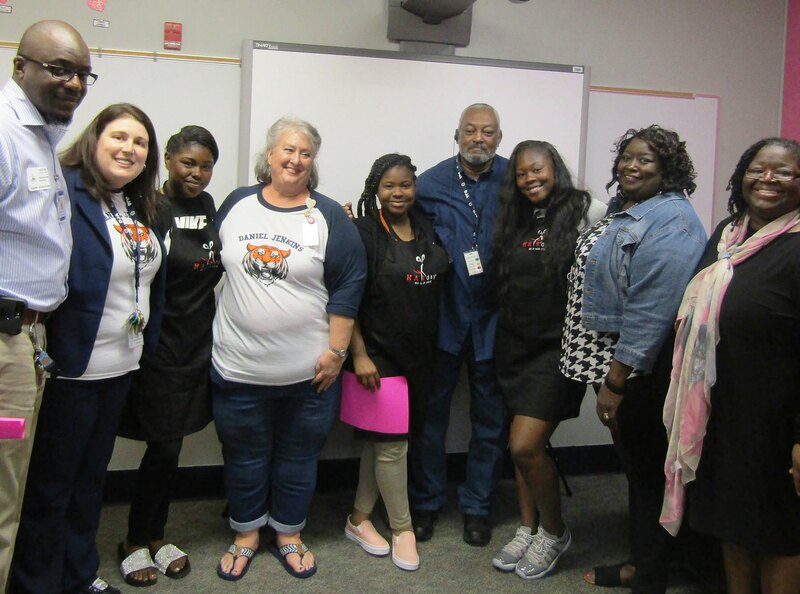 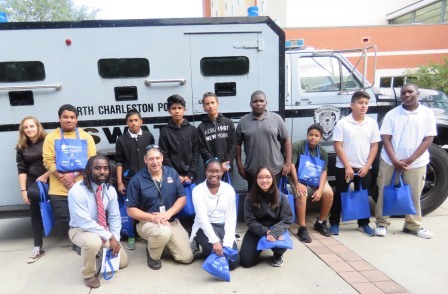 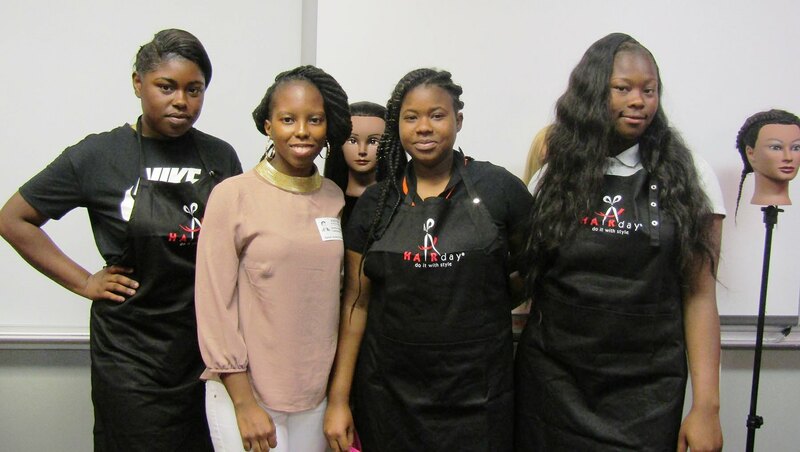 Charleston, SC – May 31, 2017 – Eight students from Ms. Shekema Hamm’s CTE class at Daniel Jenkins Academy had a very special opportunity to experience first-hand several of the high demand career pathways available in Charleston’s Hospitality & Tourism industry. 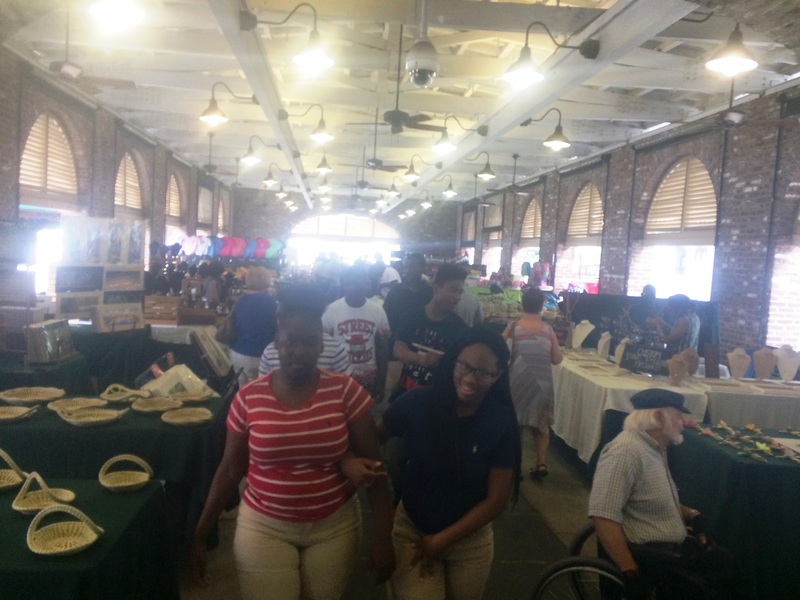 The work-based learning experience began with a visit to the City Market – They met entrepreneurs selling their goods at one of our regions most famous landmarks. Next, they were treated to a guided tour of the historic streets of Charleston by Palmetto Carriage Company. 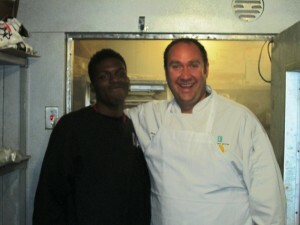 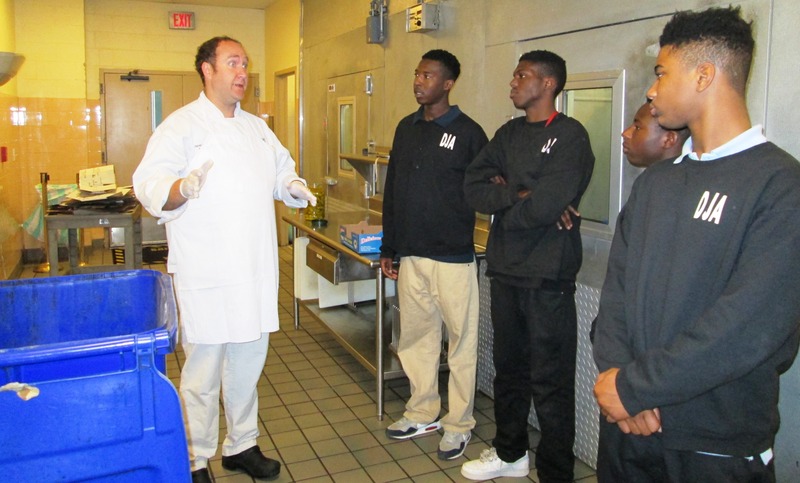 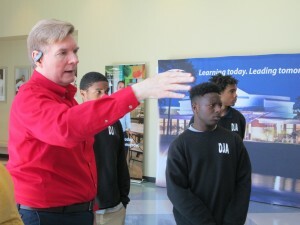 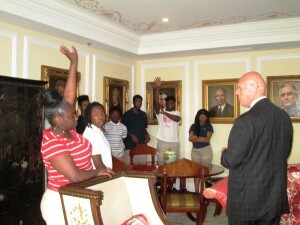 The tour guide shared his career path with the students which included stints in both hotel and restaurant operations. 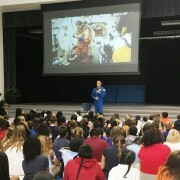 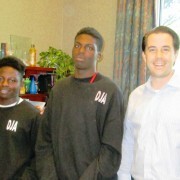 Special thanks to Mr. Thomas Doyle, Jr. and his terrific team for making this opportunity possible for these students. 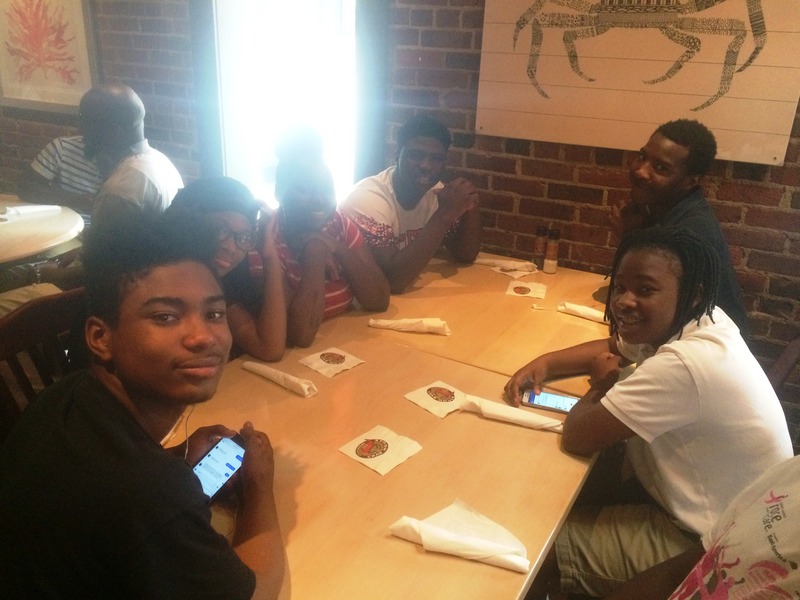 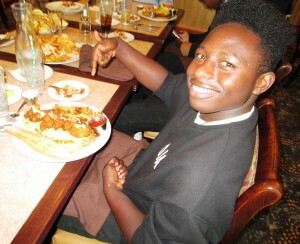 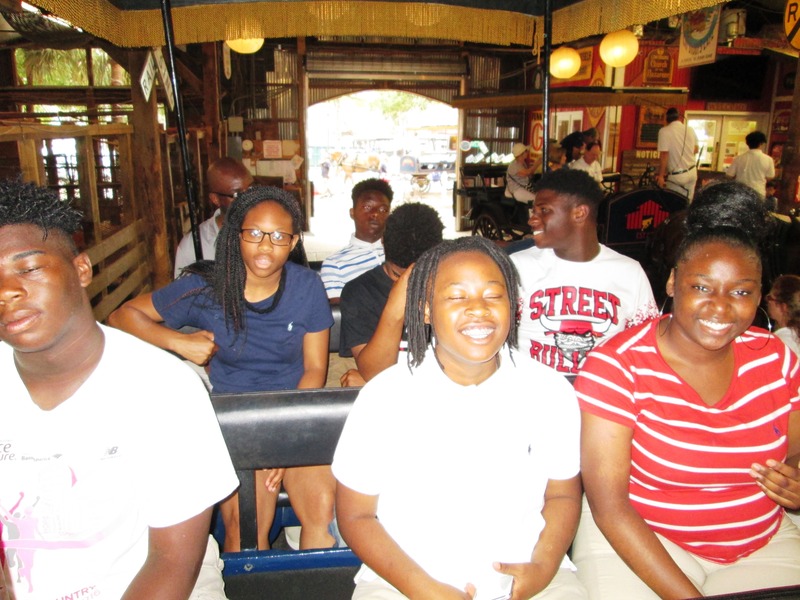 After the carriage tour, the students were treated to a special lunch at the Charleston Crab House! 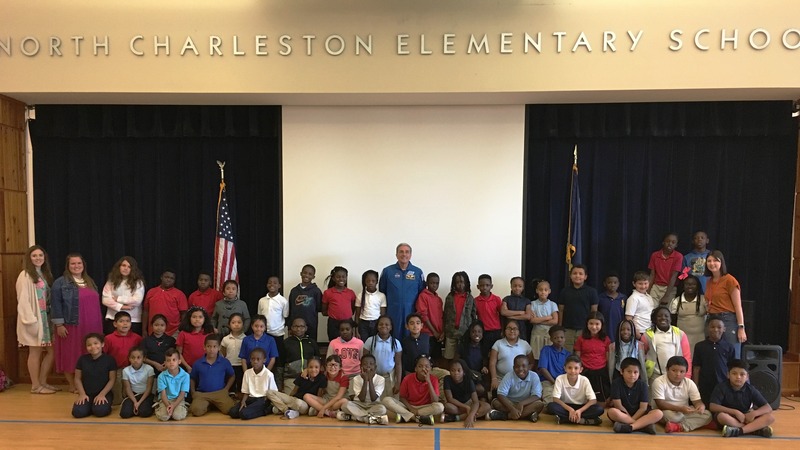 Thanks to Mr. John Keener and the wonderful Charleston Crab House team for hosting these students for a very special lunch. 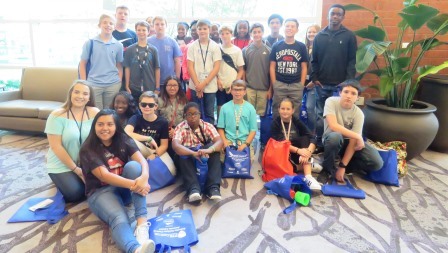 After lunch, the students walked around the corner to the front door of the Market Pavilion Hotel, one of Charleston’s most luxurious properties. The students were greeted in the lobby by Mr. Peter Wright, General Manager of the hotel. 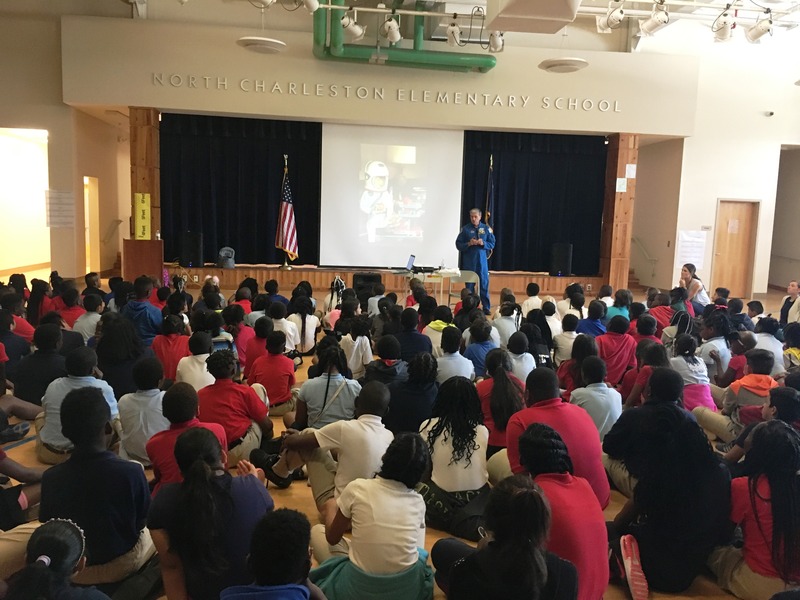 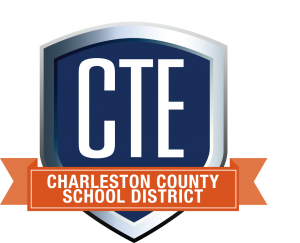 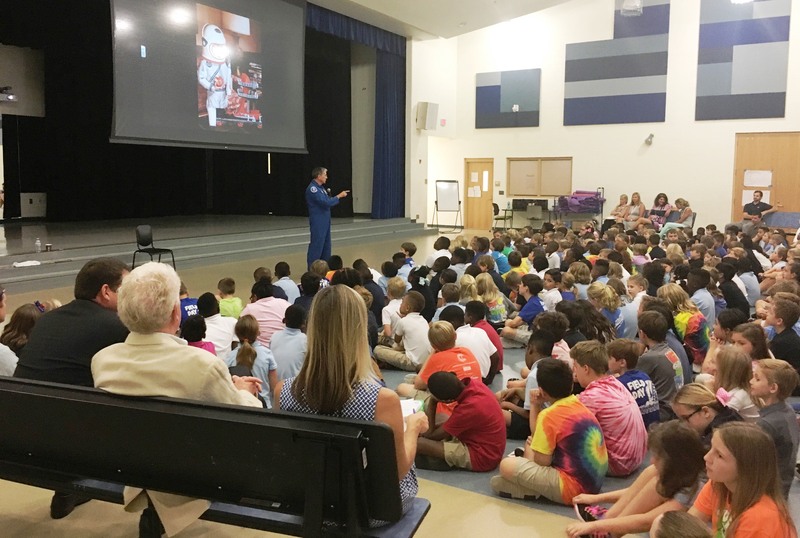 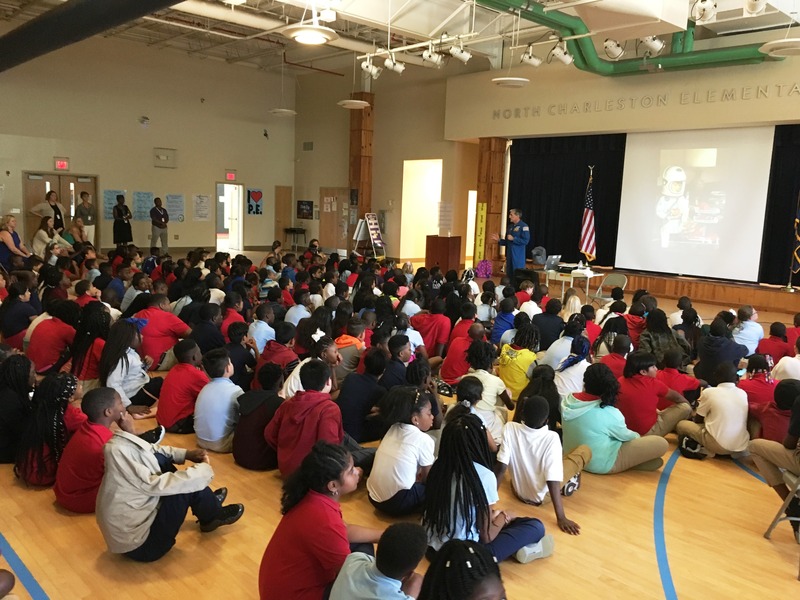 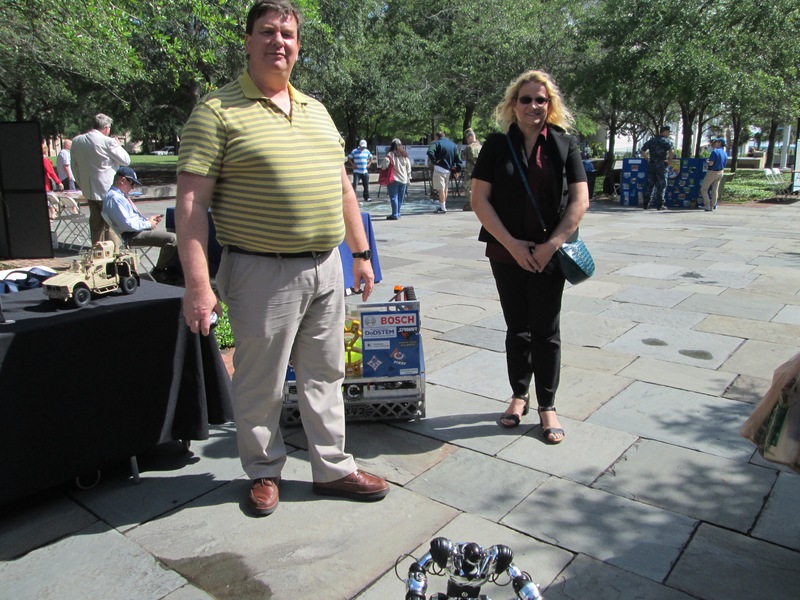 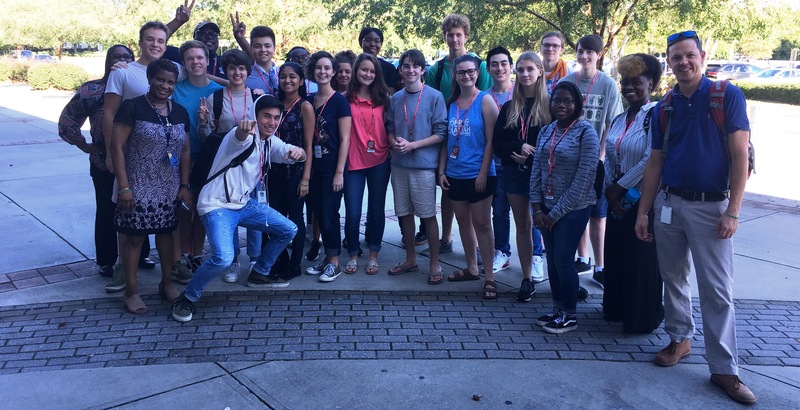 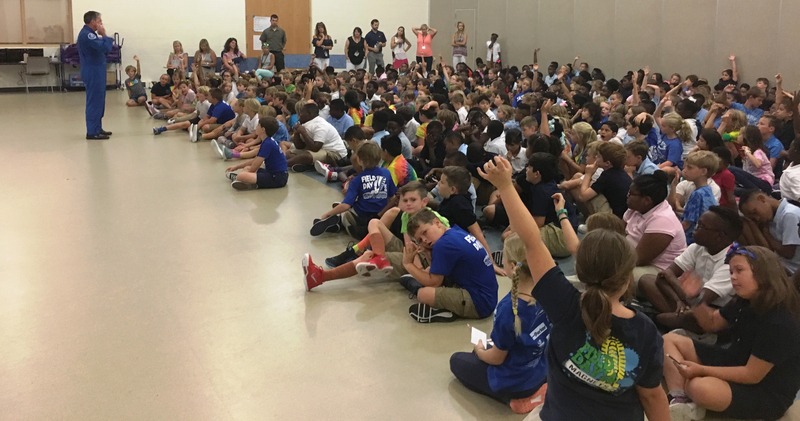 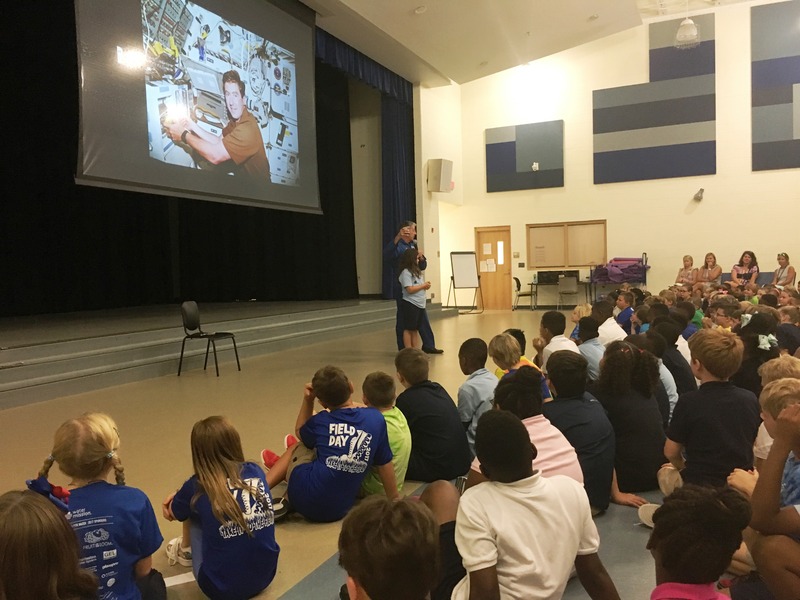 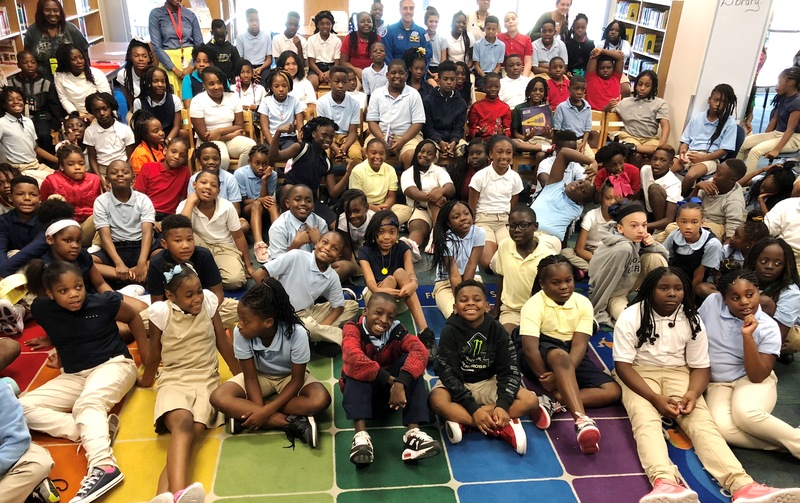 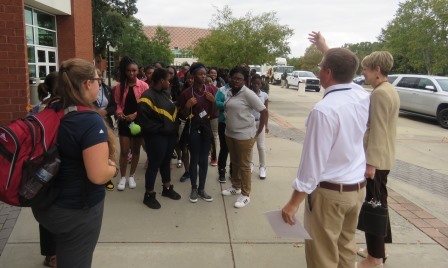 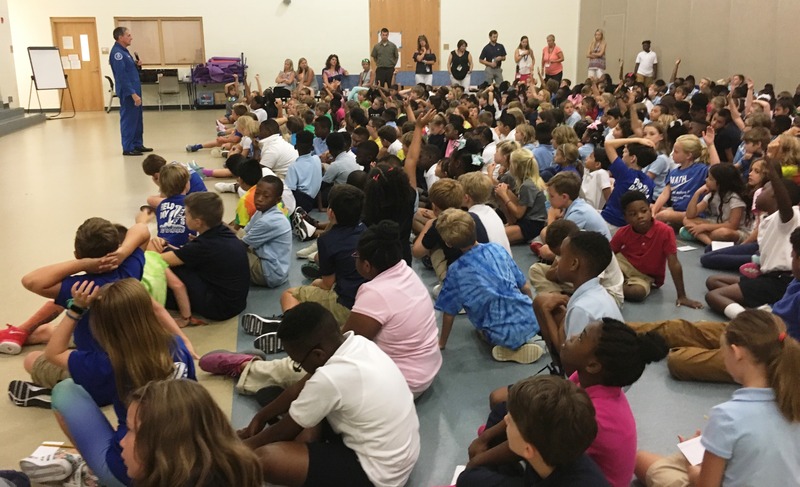 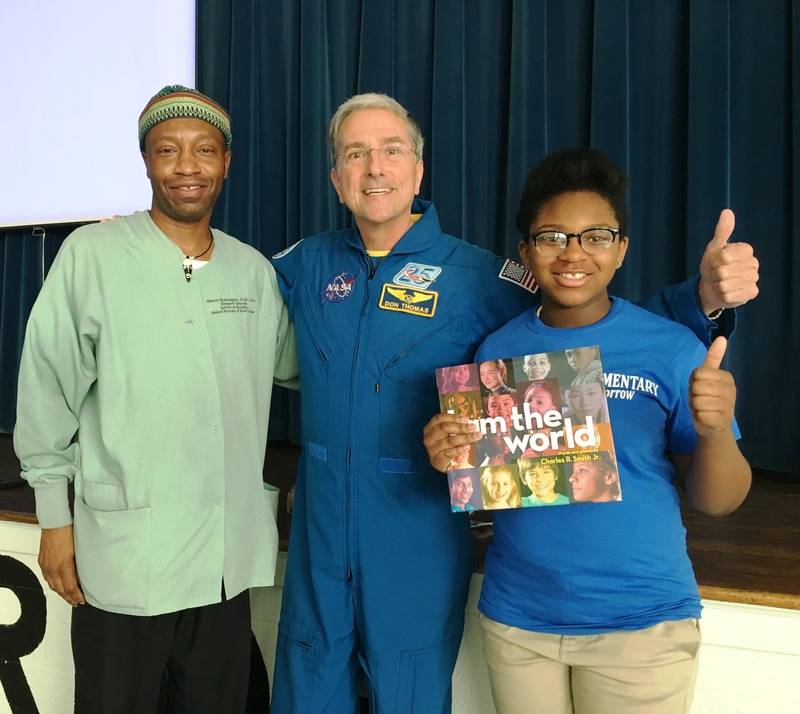 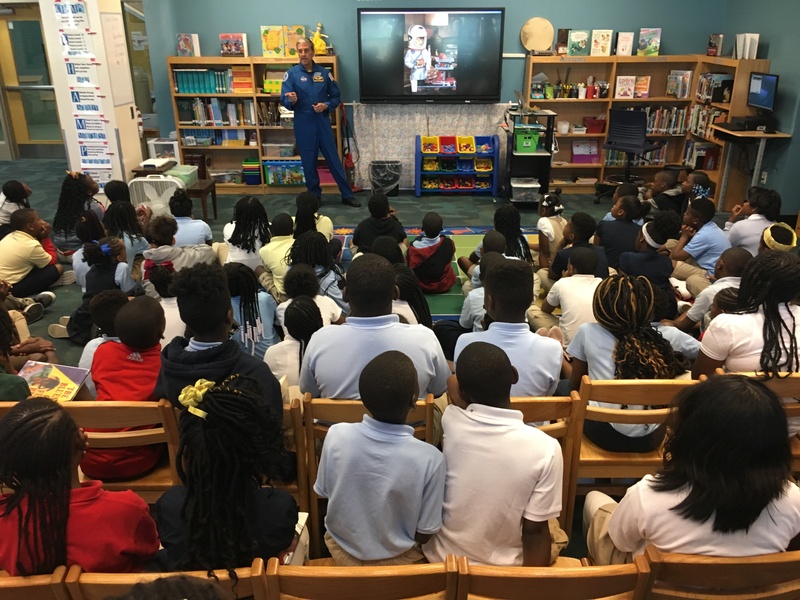 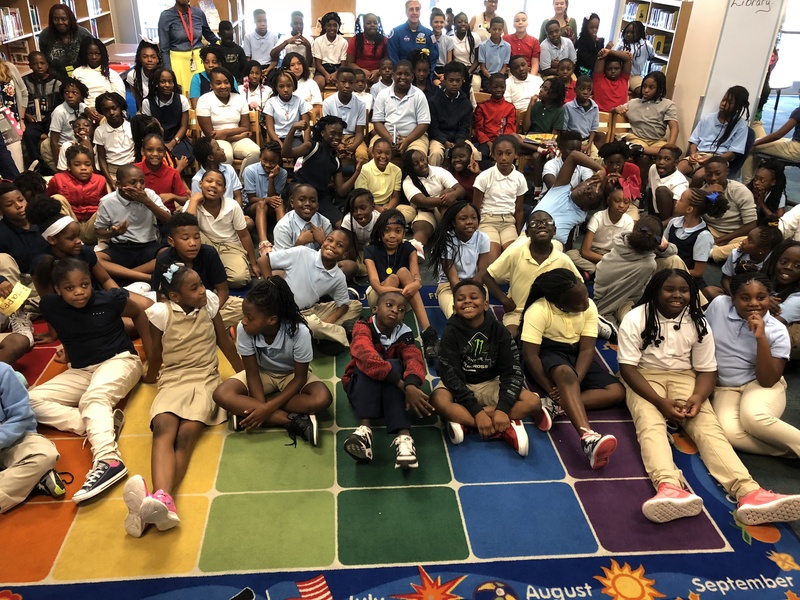 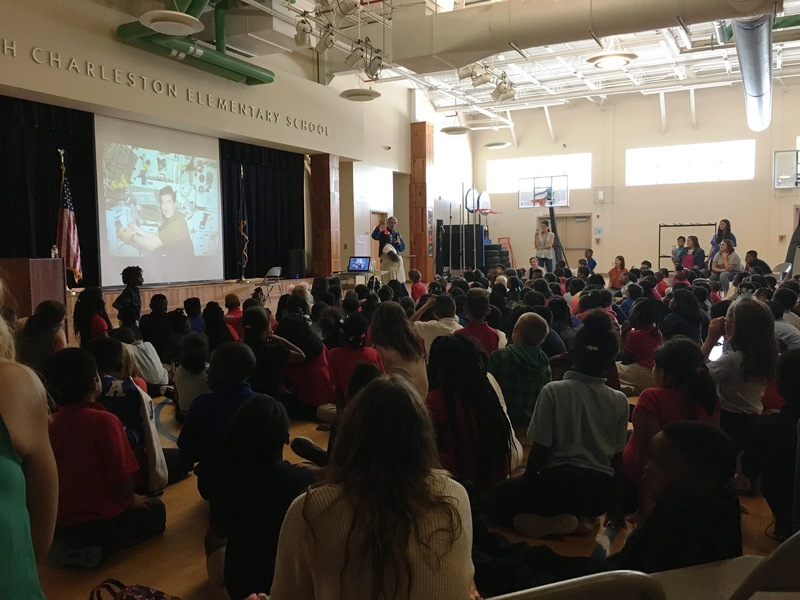 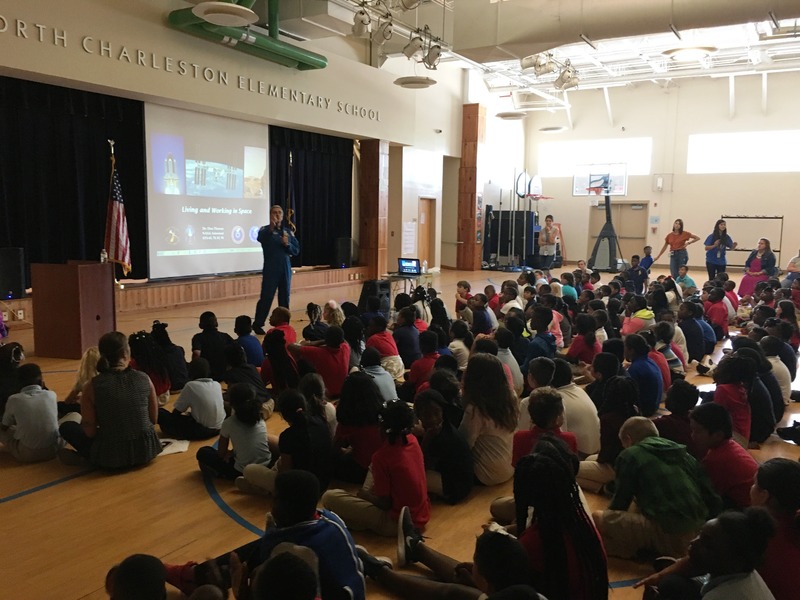 As the students entered, Mr. Wright highlighted a special collection of historic artifacts found on the site during the construction process; “It’s hard to dig in Charleston without unearthing a part of history,” he explained. Students got to see their formal board room available for special meetings – Mr. Wright highlighted to audio and visual capabilities were hidden behind luxuriously appointed walls, but assured the students that all the tools needed for a modern meeting were present for their guests. 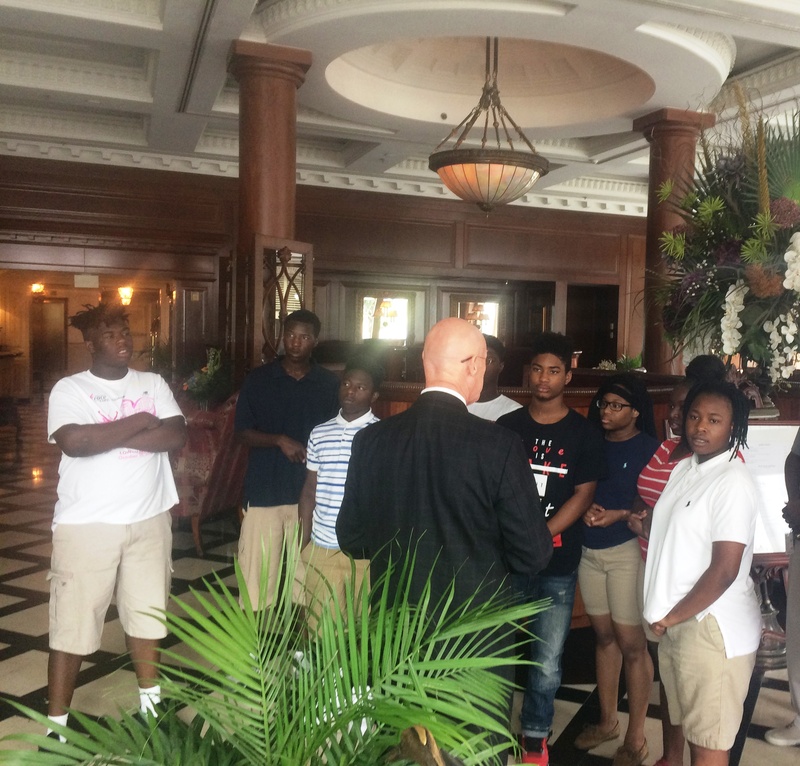 Next, the students got to visit the large ballroom and meet with several members of the hotel’s staff including leadership from the Bell Staff, Concierge, and Event Planning teams. 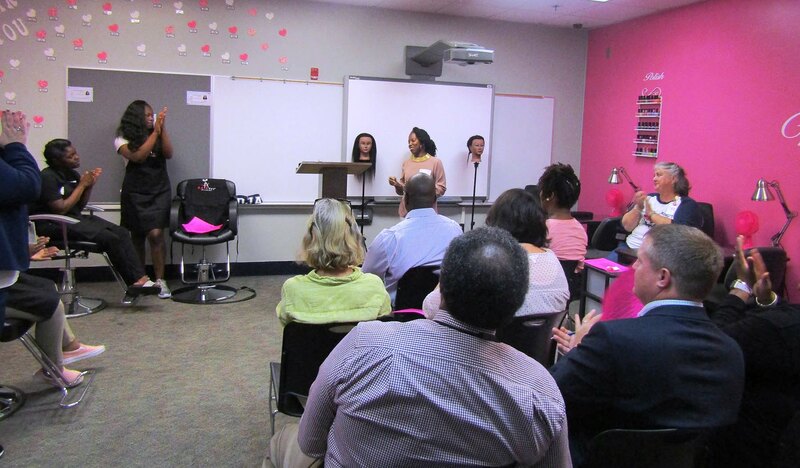 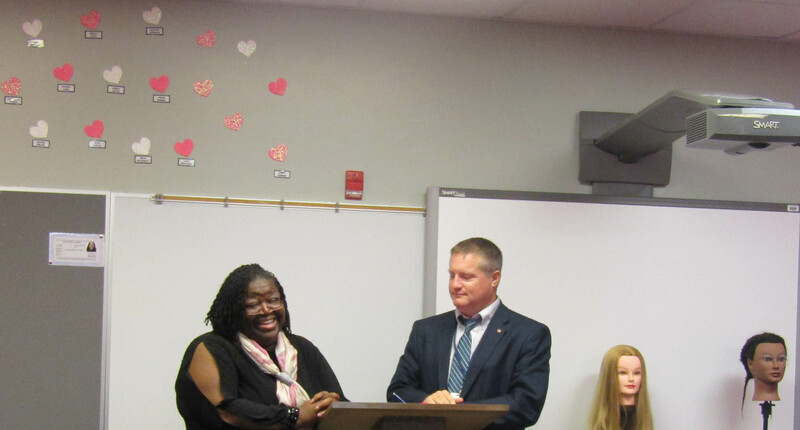 A highlight for the students and staff alike was when one of the students’ family members joined the discussion. 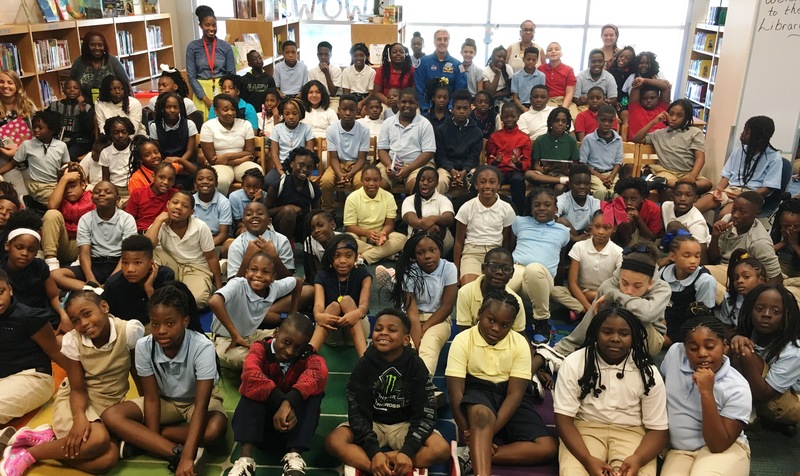 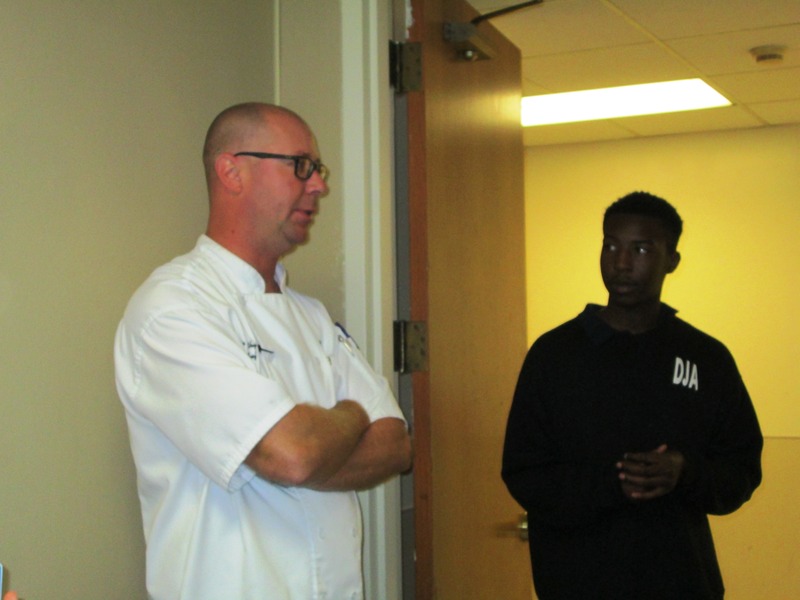 Mr. Wright recognized the student’s uncle as a leader and sous chef for the world renowned restaurant at the hotel, Grill 225. 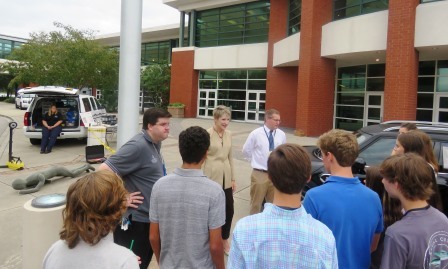 Students then got to see a working car lift in the garage, a rarity in Charleston, added to allow as many cars to be parked as possible for guests on multiple garage floors. 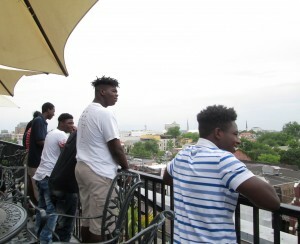 An elevator ride to the top floor was next for a visit to the famous roof top pool area with panoramic views of the city. The last stop on the tour was the property’s Presidential Suite, which has been uitlized by two US Presidents and numerous other dignitaries and celebrities during their visit to Charleston. 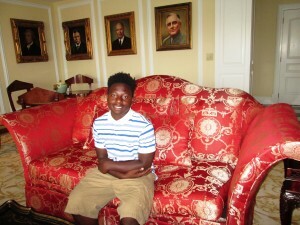 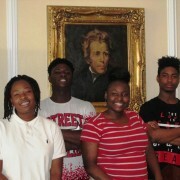 The students were impressed with the large suite complete with presidential portraits. 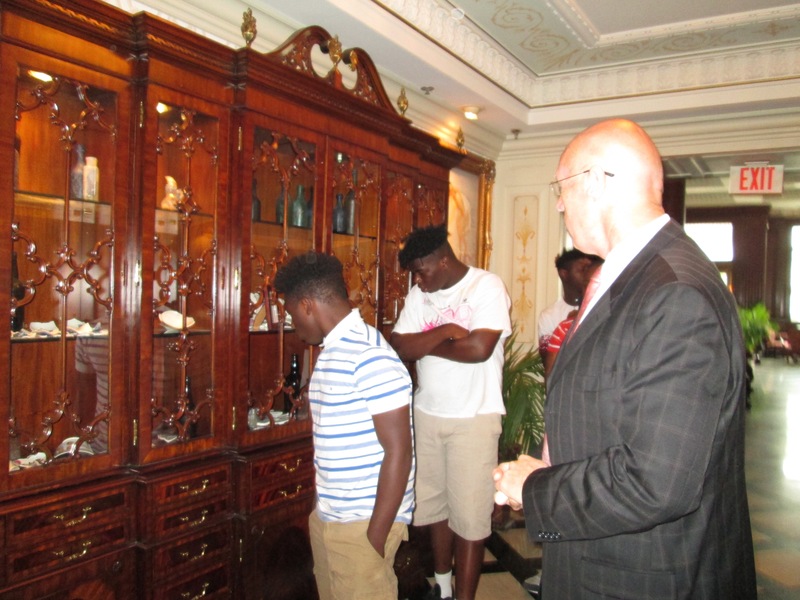 Very special thanks to Mr. Peter Wright and his team for hosting these lucky students, and for allowing them to see first-hand the level of quality and dedication it takes to operate an award winning hotel. 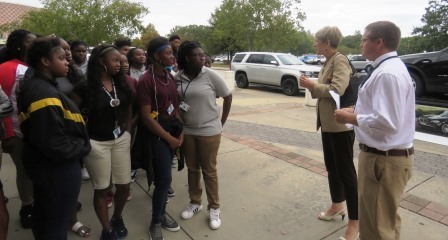 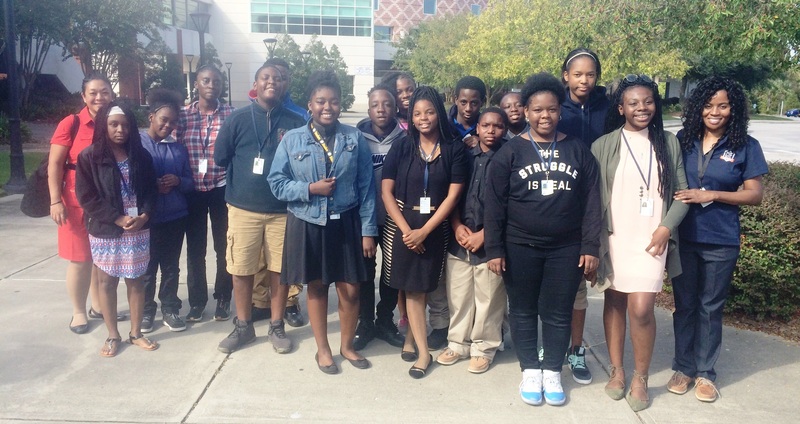 April 6, 2017 – North Charleston, SC – Students in Ms. Shekema Hamm’s Career and Technology Education class at Daniel Jenkins Academy received an extensive behind the scenes tour of a working hotel and convention hall thanks to Hope Hudson, Director of Human Resources for North Charleston Embassy Suites Hotel and Convention Center. 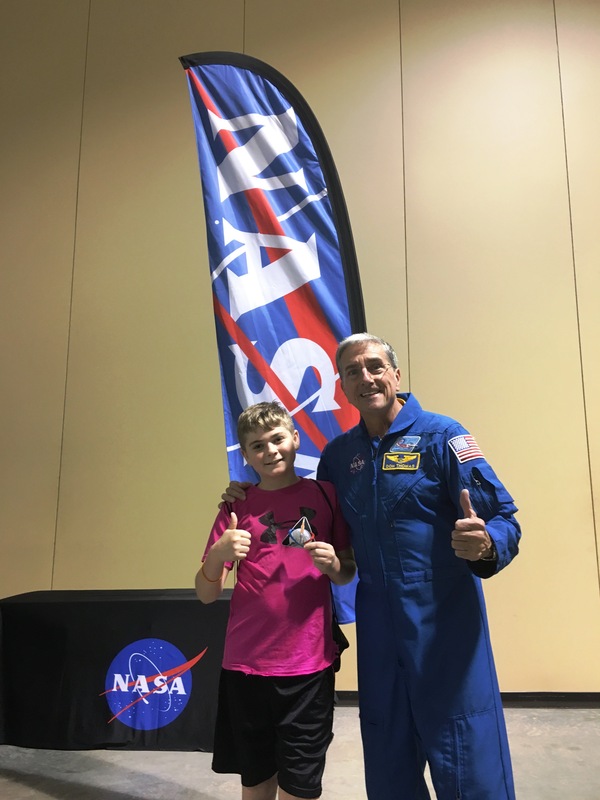 “Ms. 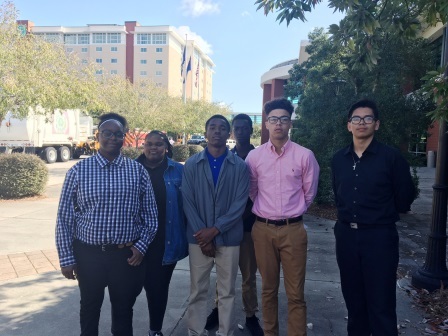 Hudson was a terrific tour guide for this interesting and thorough exploration of jobs available in our local hotel industry”, said Ms. Hamm. 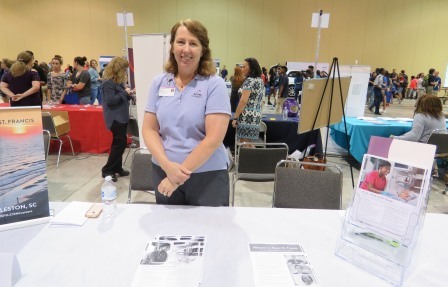 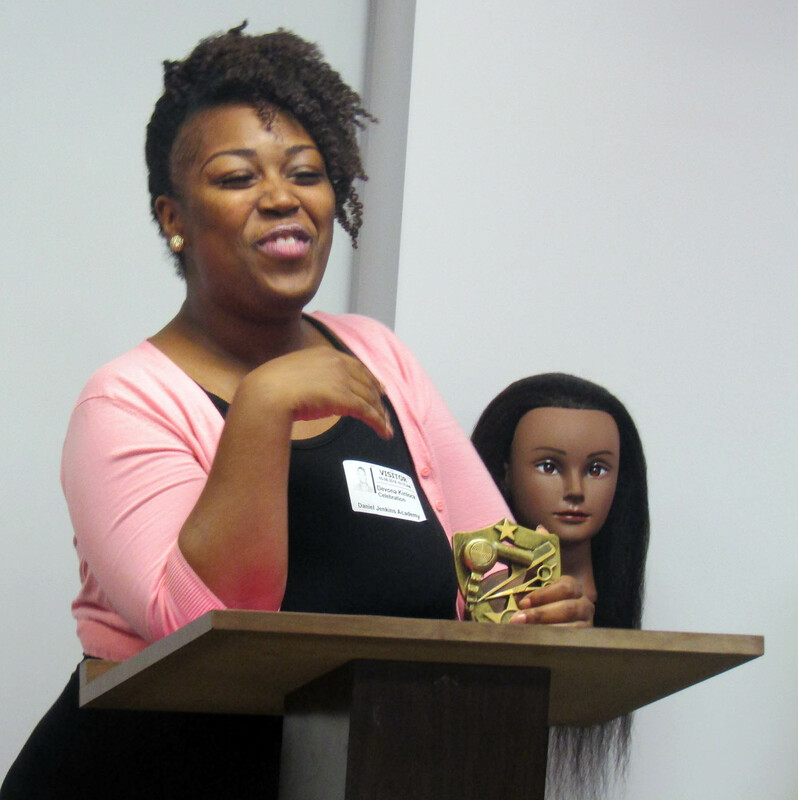 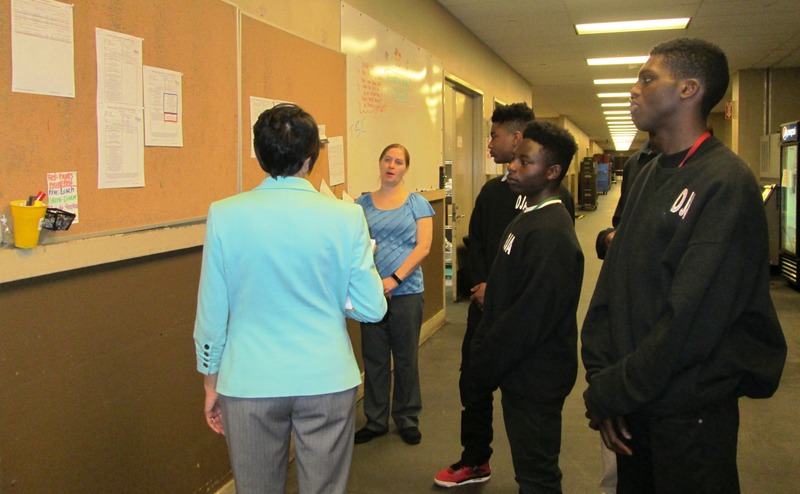 Ms. Hudson also provided timely career advice for the students. She discussed two common errors with submitted applications; not knowing the position applied for, and listing relatives as references instead of professional references. 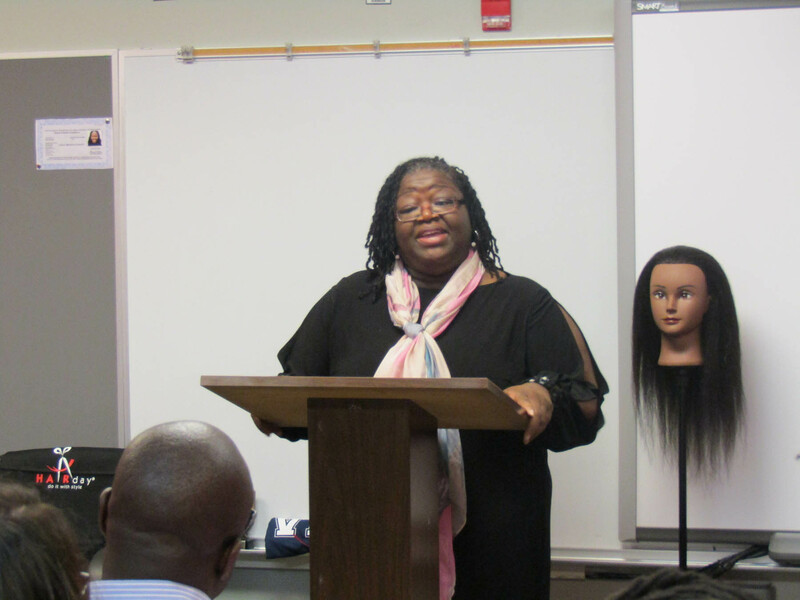 She said that students in school should list their teachers or pastors as professional references. 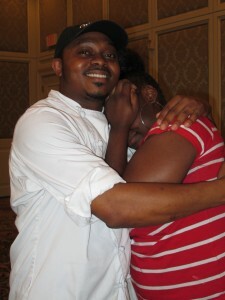 Most employees truly enjoy their jobs and have been employed at the property for 10+ years she said. 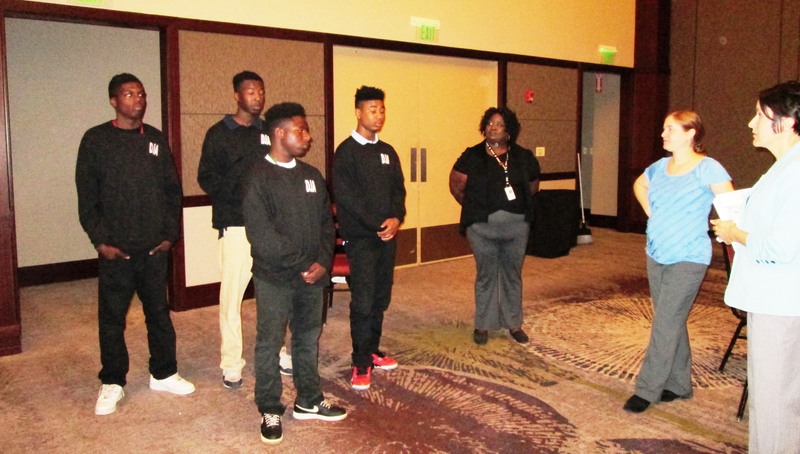 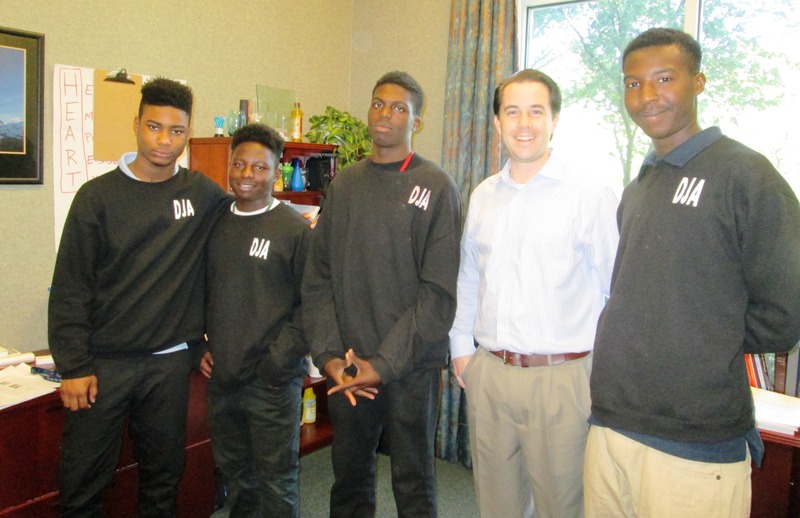 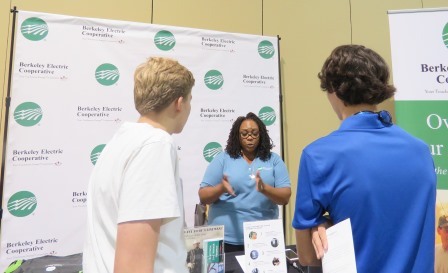 Delis Britton, Assistant General Manager, gave the students an inspirational speech on what it takes to be successful at Embassy Suites Hotel and Convention Center. 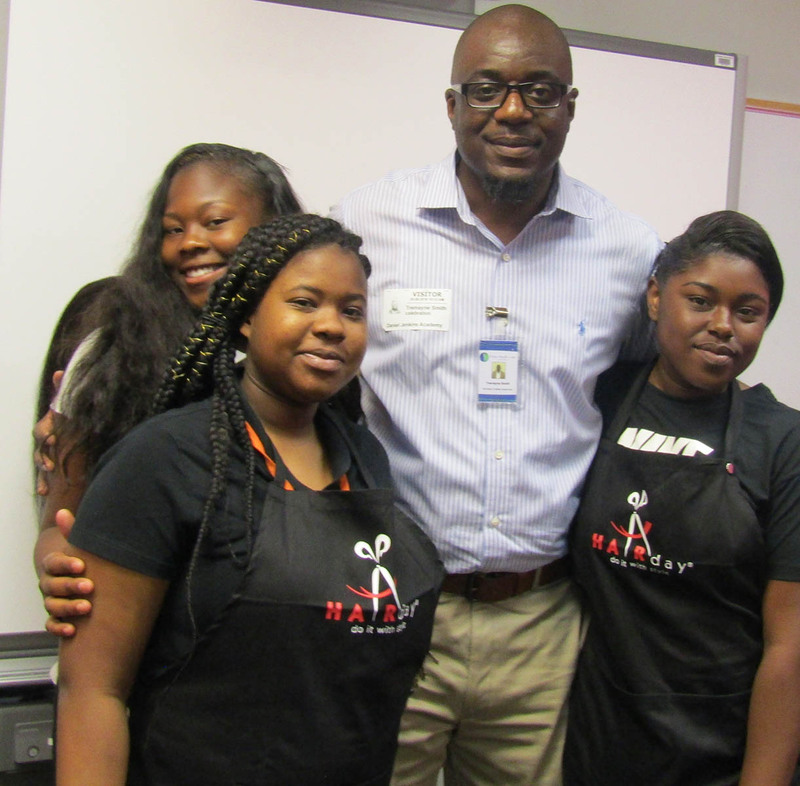 Mr. Britton worked his way up from the front desk to his current position in management in 8 years. 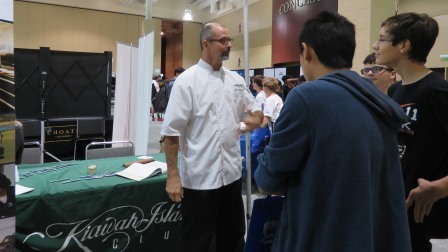 The students learned it only takes about 15-20 minutes to serve 100-200 people in a banquet room and about 10 wait staff, if done by experienced professionals like the pros at Embassy Suites. The prep work for banquets is always done a day ahead, and all fresh ingredients are used. 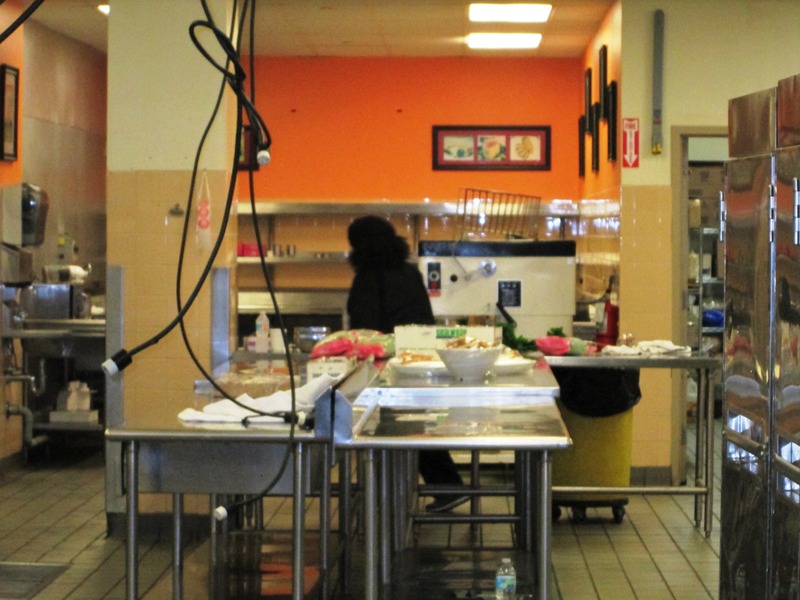 No food is wasted. 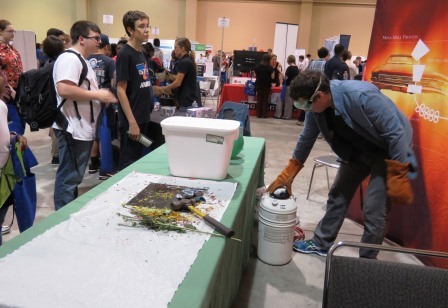 Leftovers go to the local food bank and any waste goes into the compost bin to be recycled. The students enjoyed an appetizer, entree, and dessert. 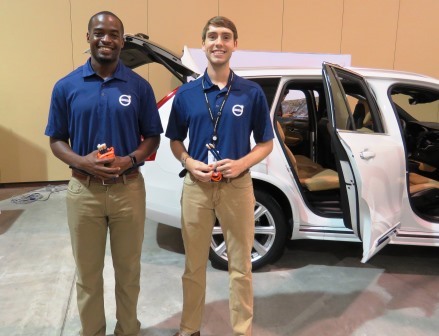 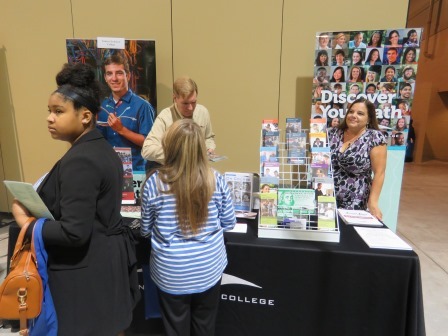 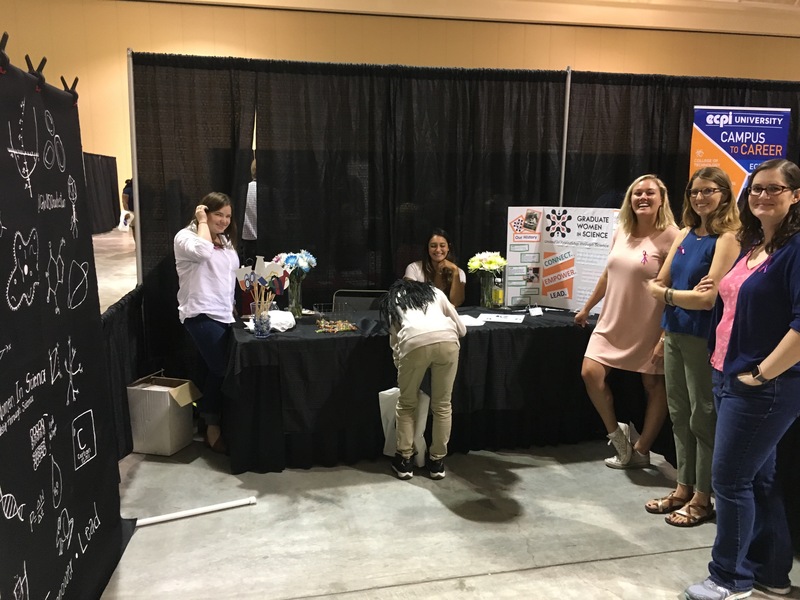 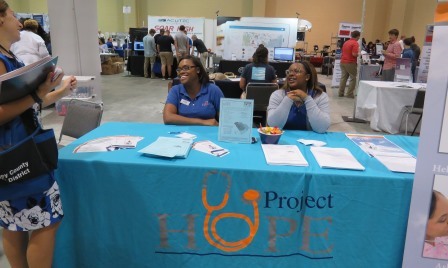 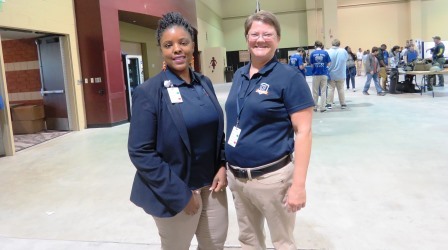 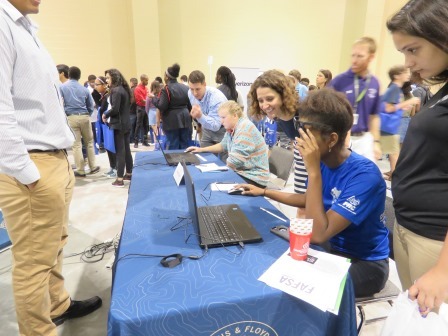 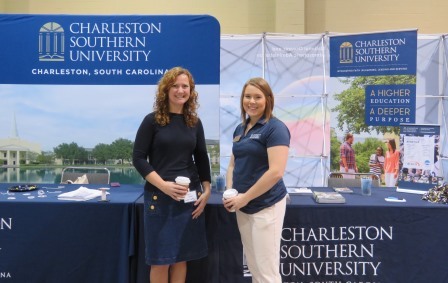 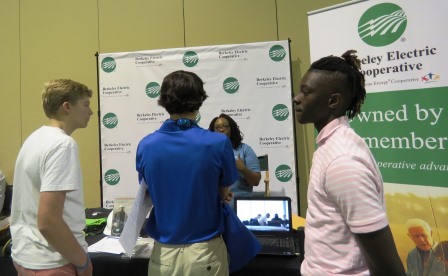 Two students want a career in the local hospitality industry and are applying to work at North Charleston Embassy Suites Hotel and Convention Center this summer! 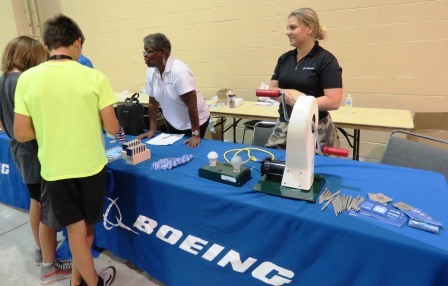 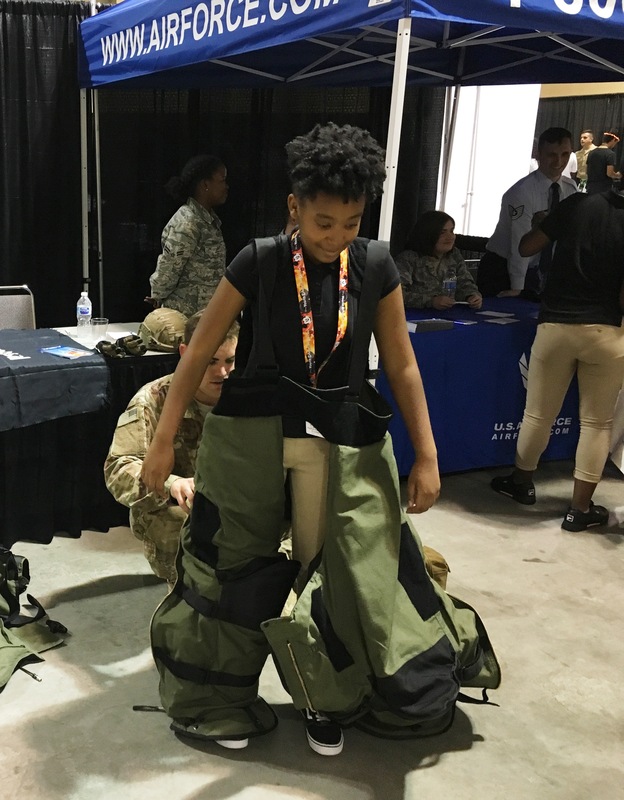 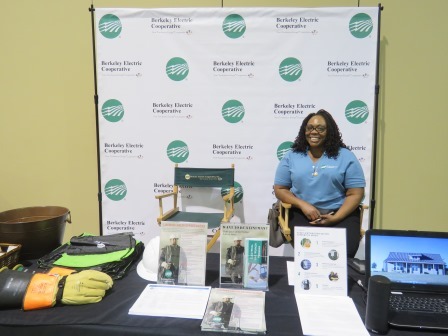 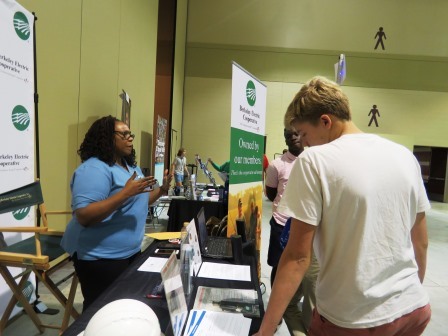 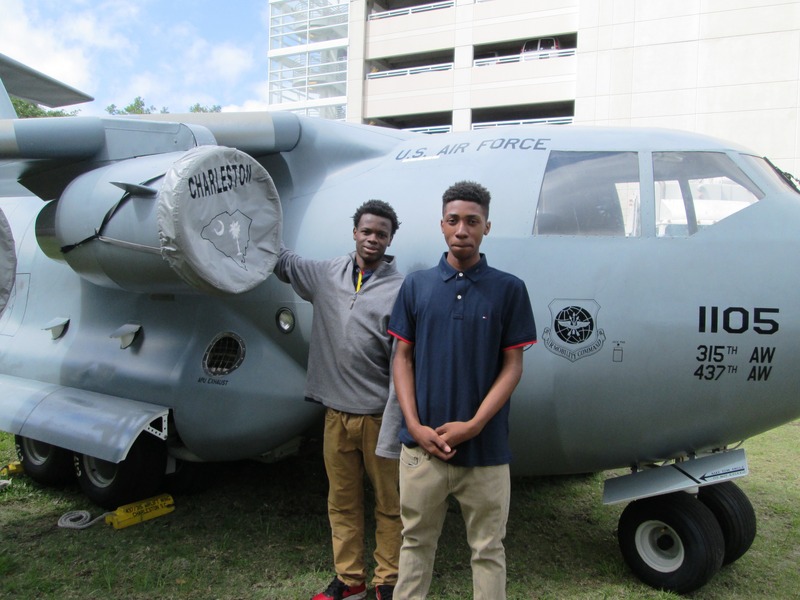 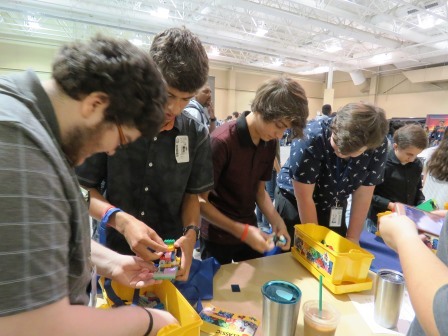 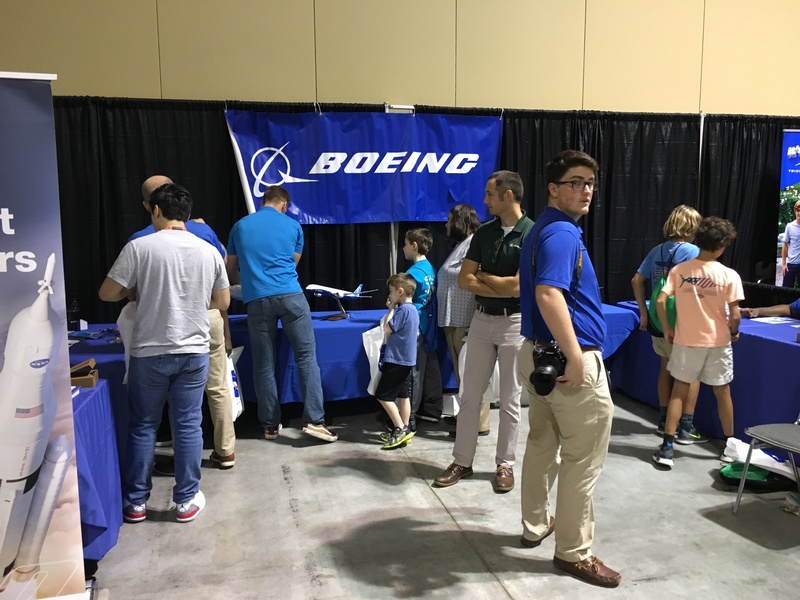 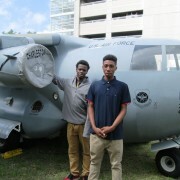 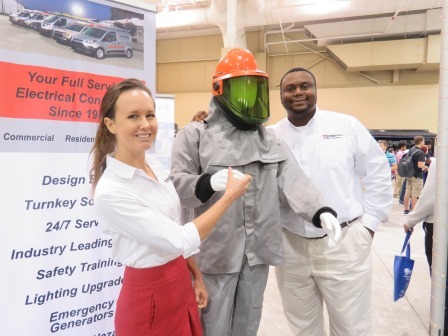 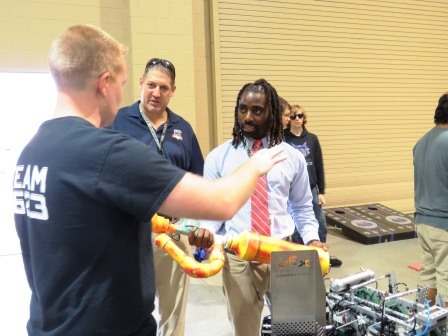 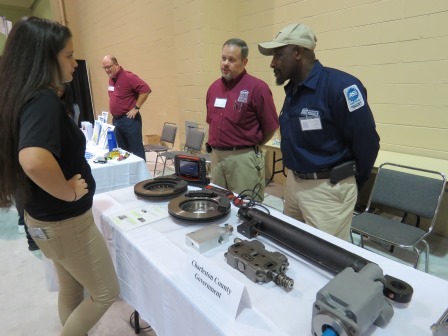 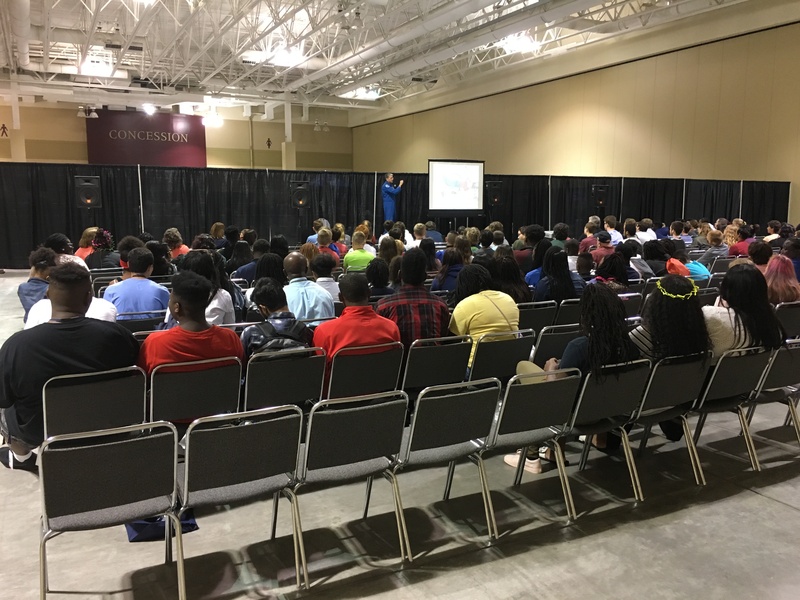 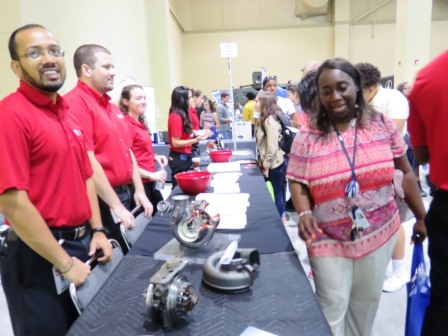 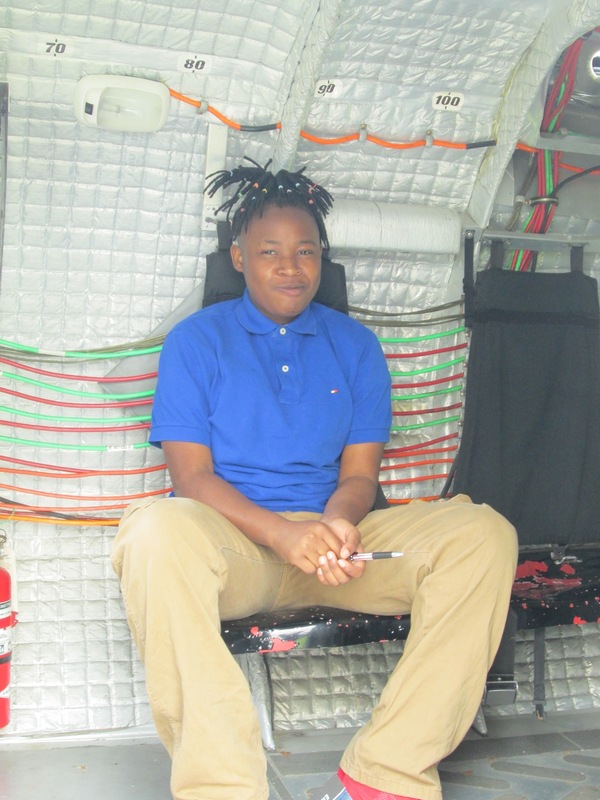 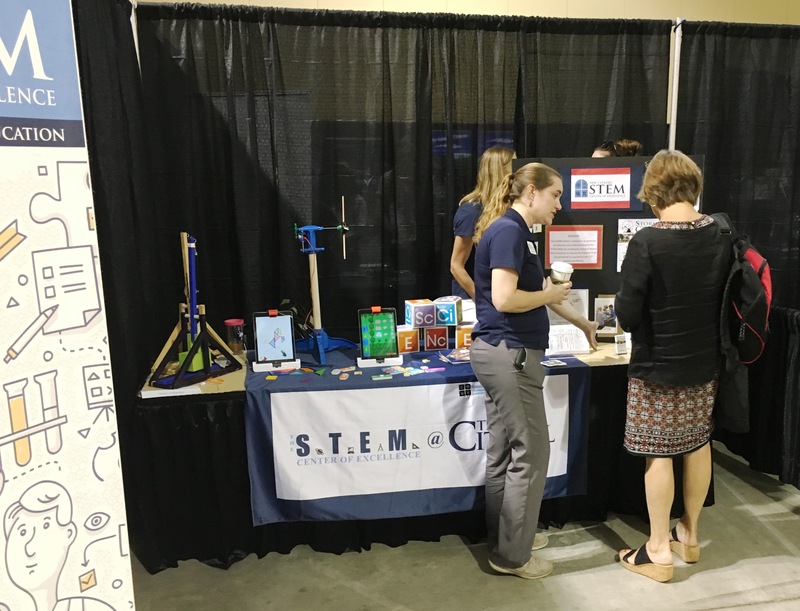 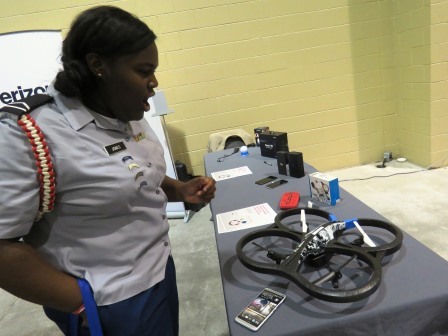 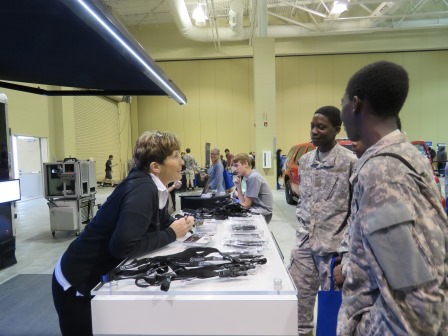 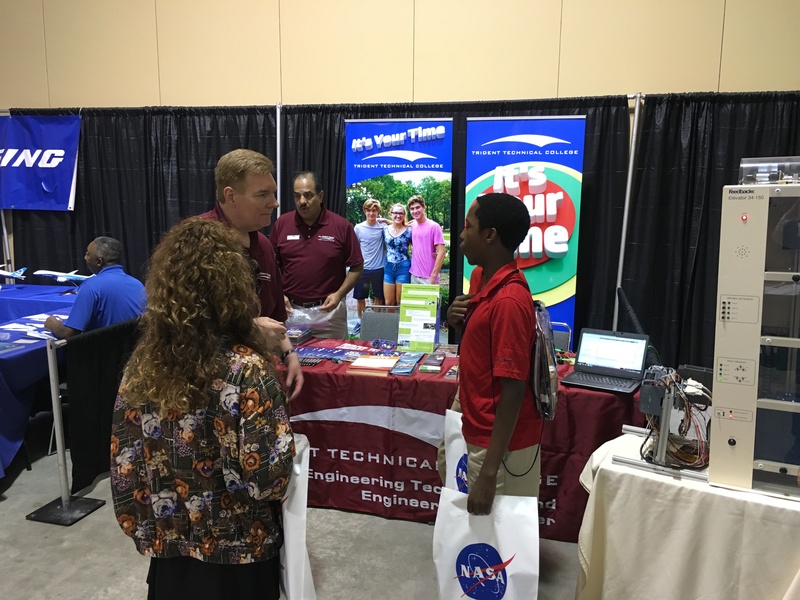 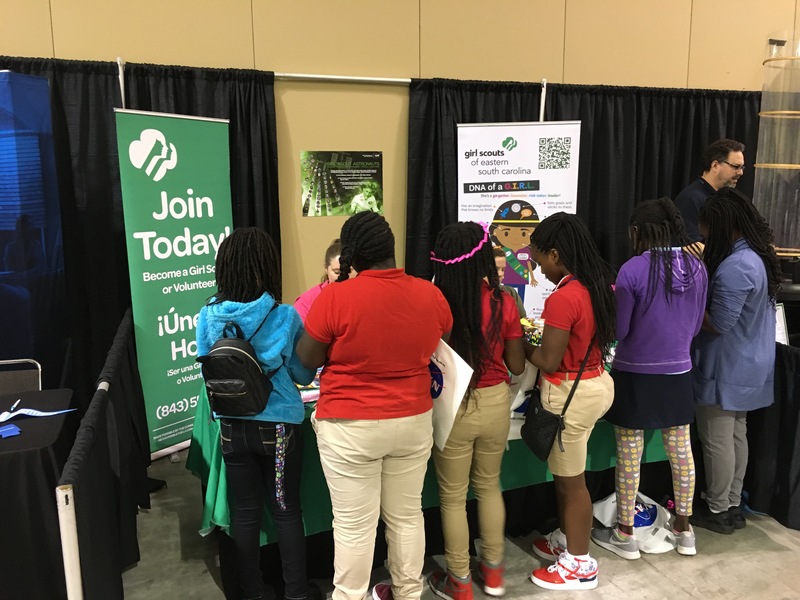 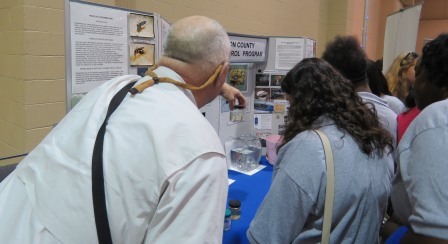 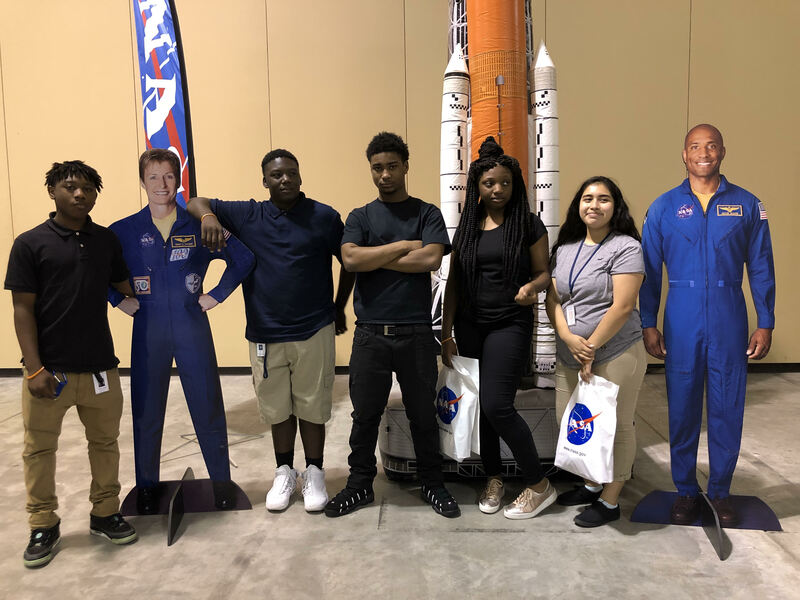 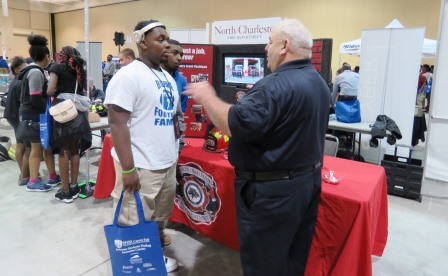 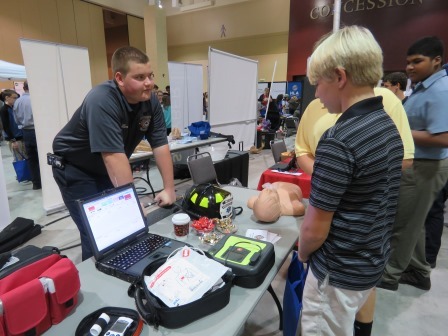 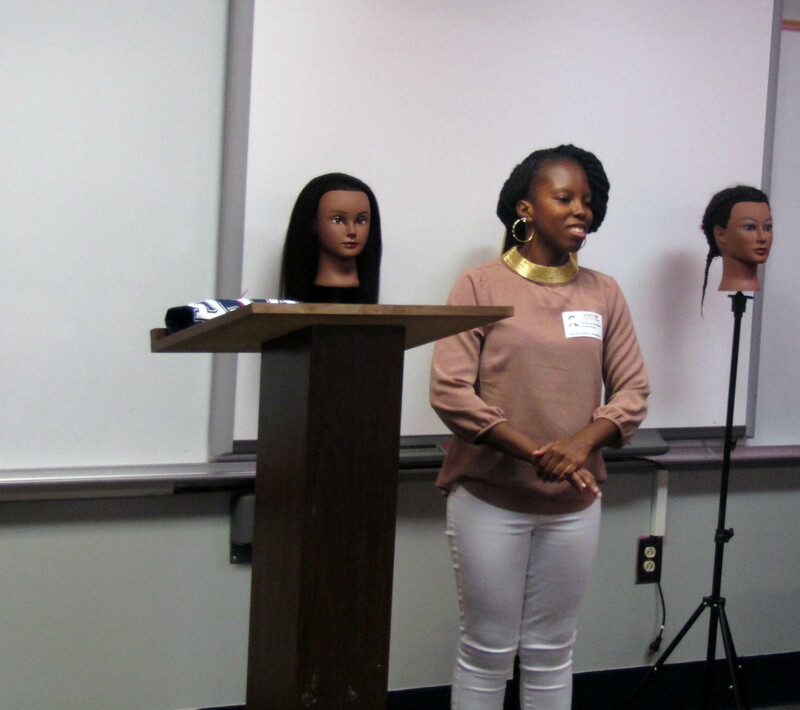 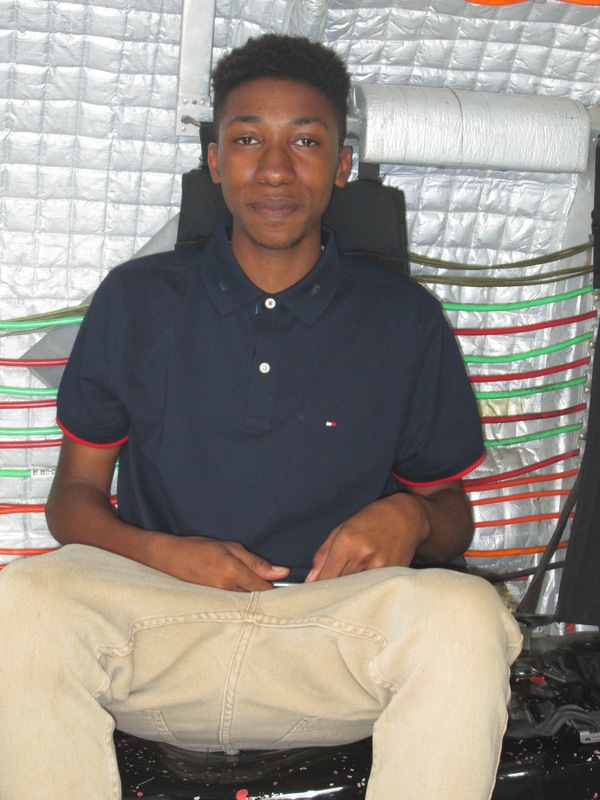 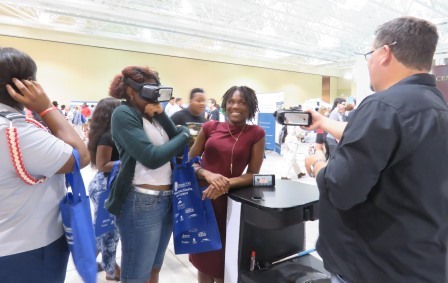 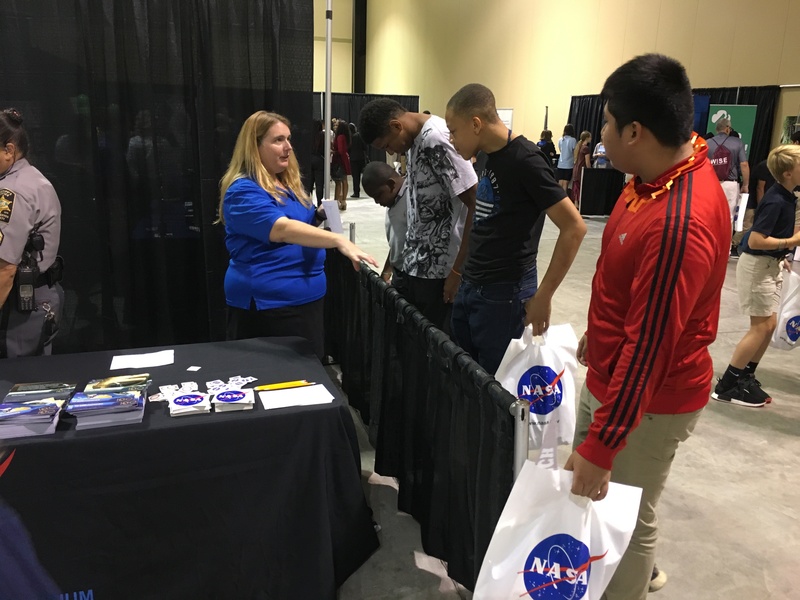 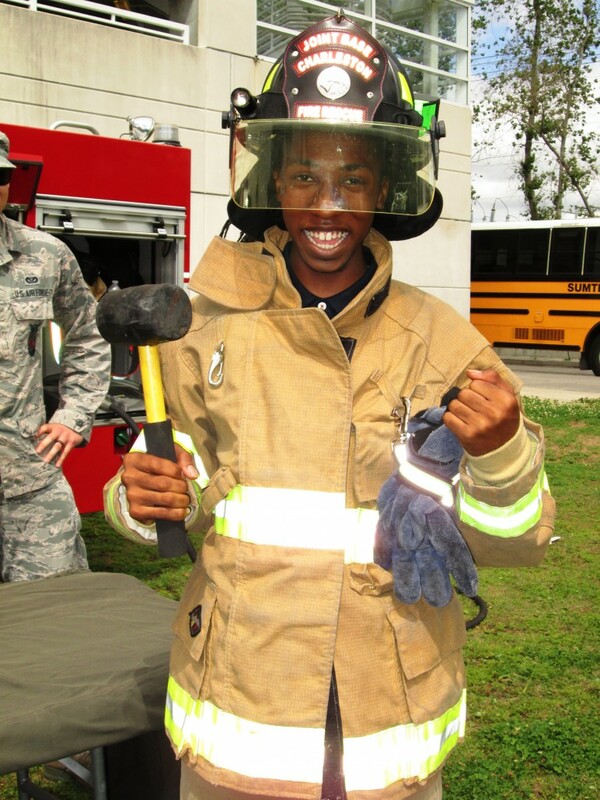 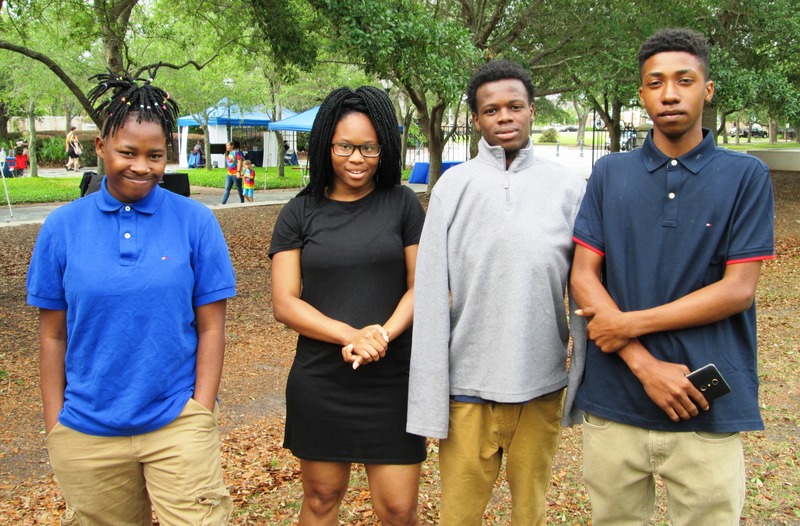 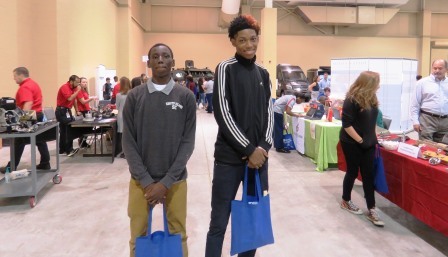 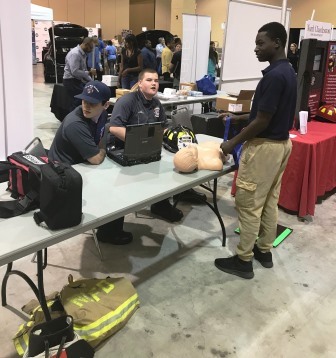 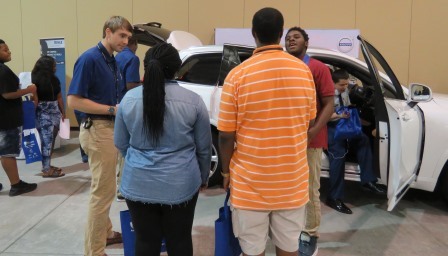 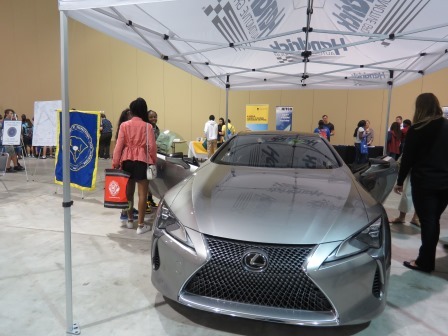 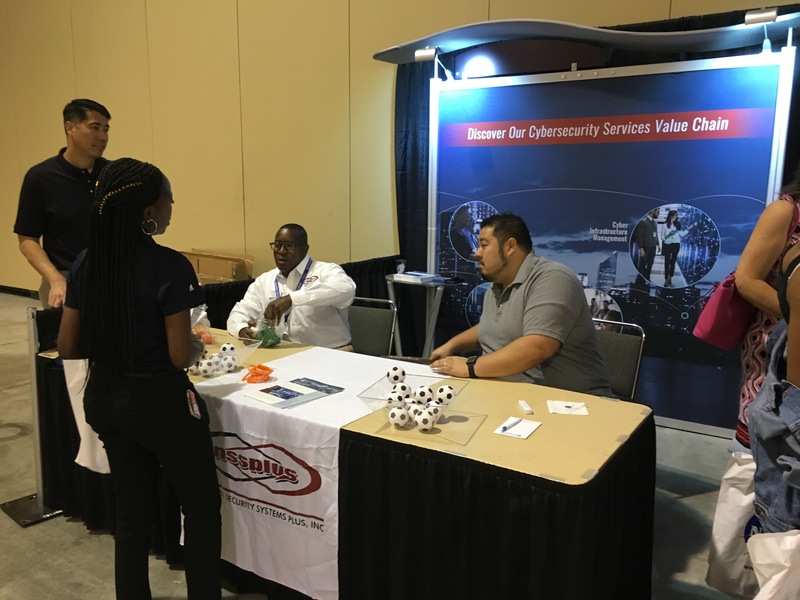 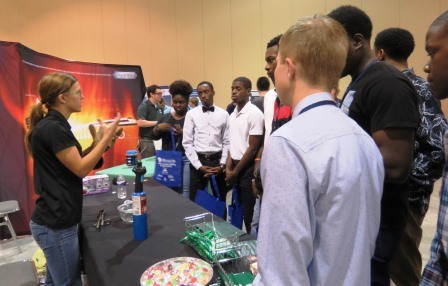 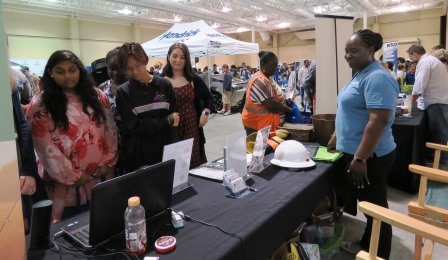 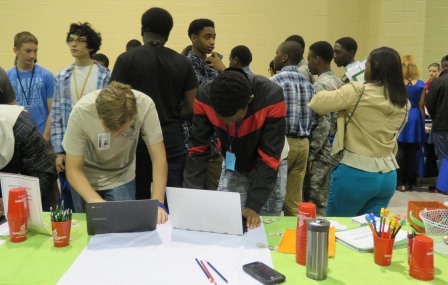 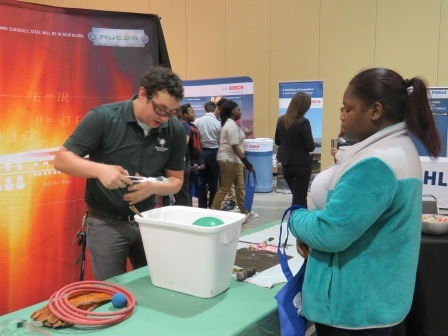 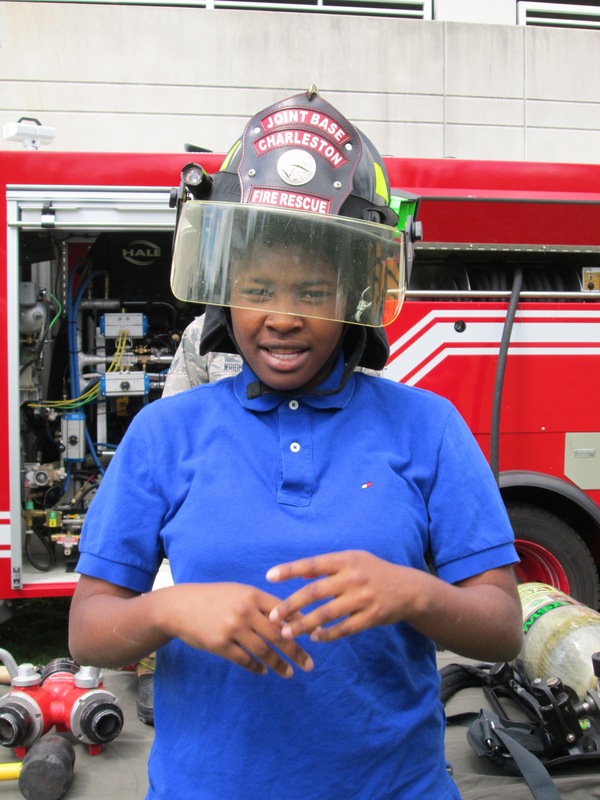 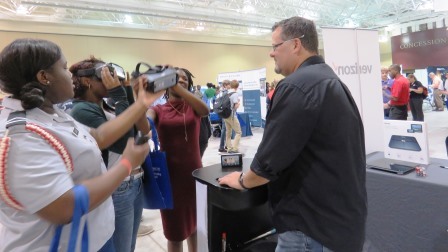 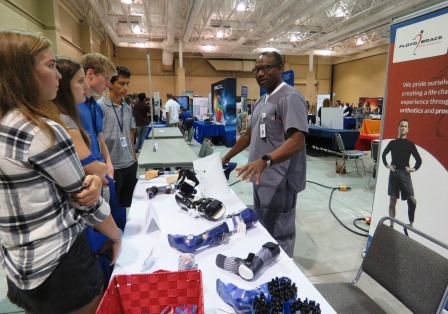 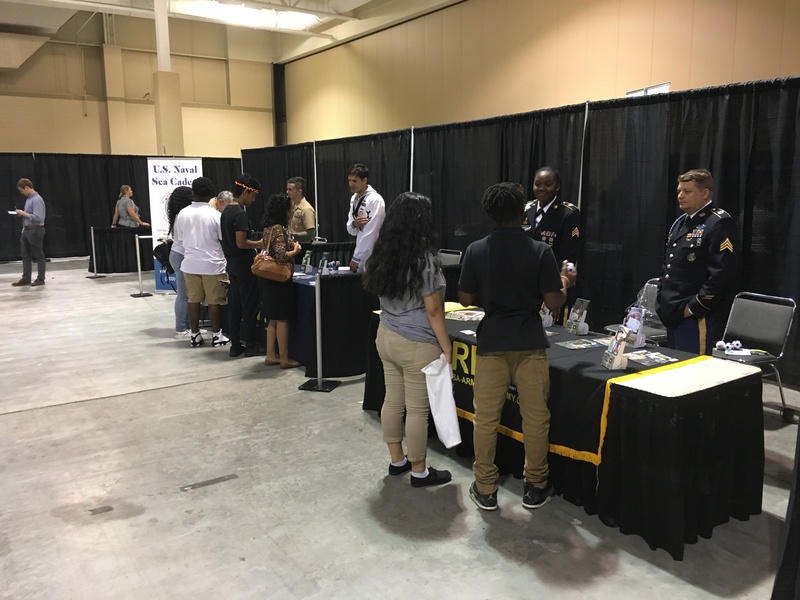 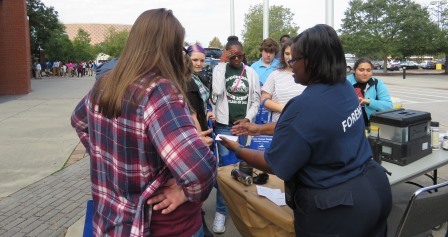 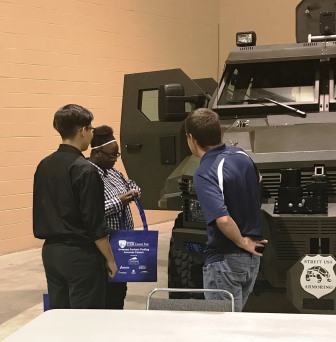 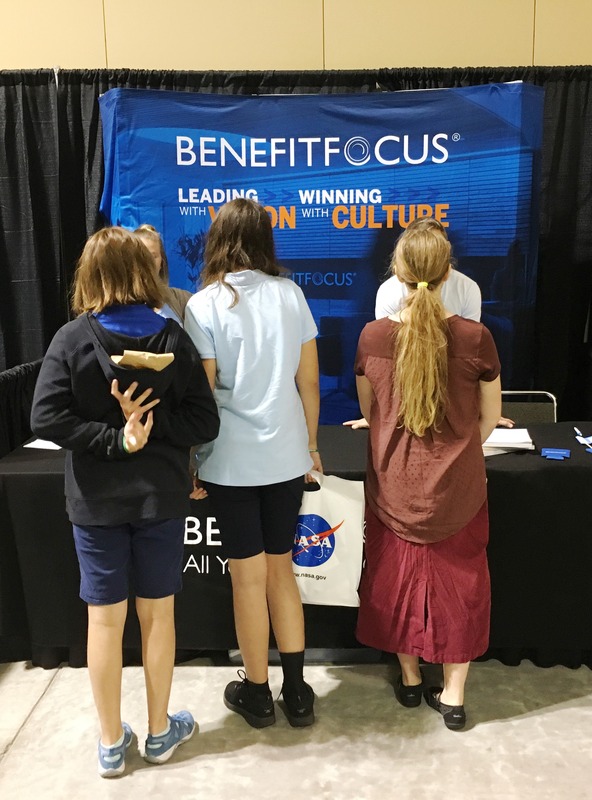 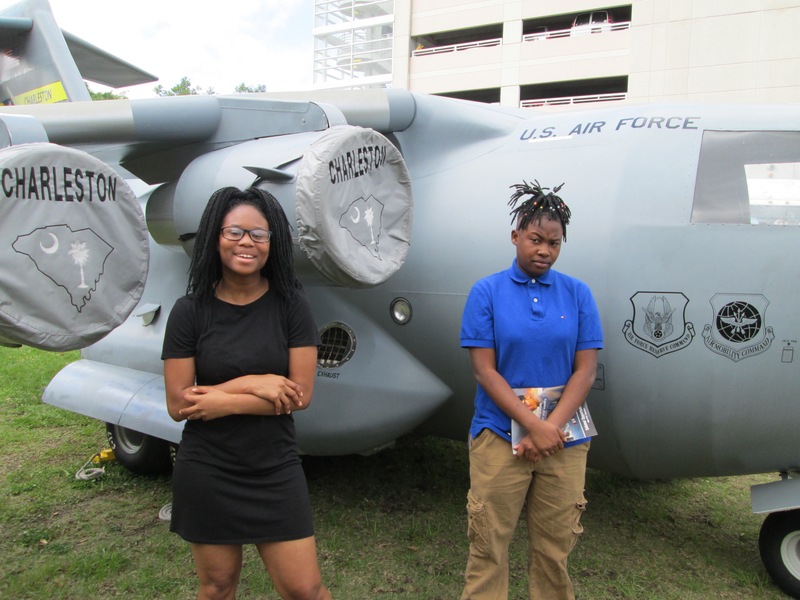 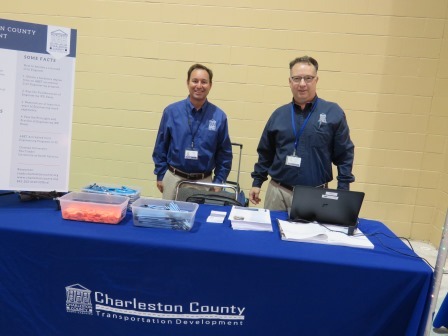 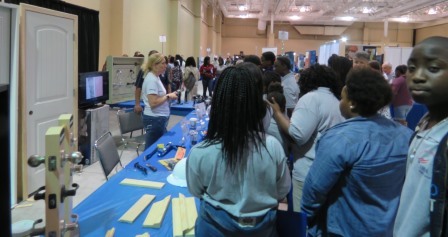 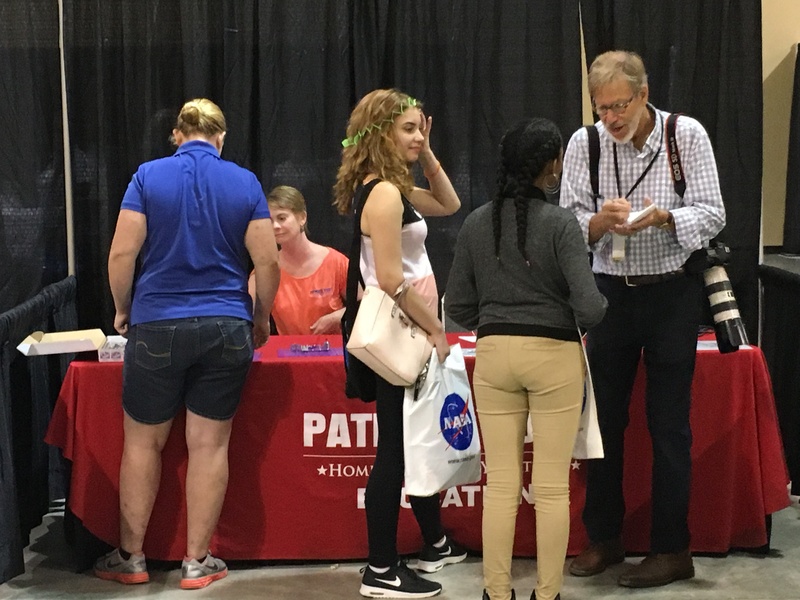 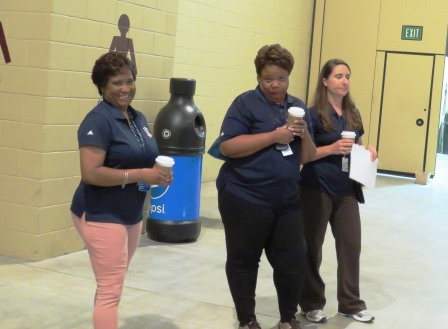 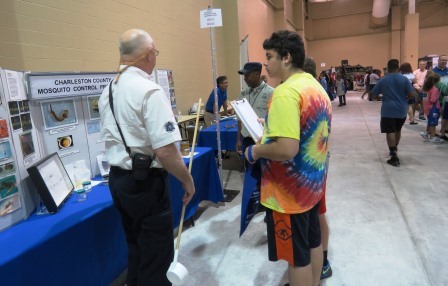 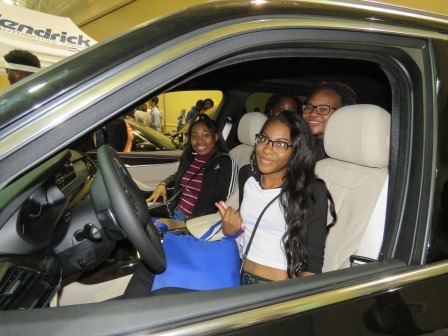 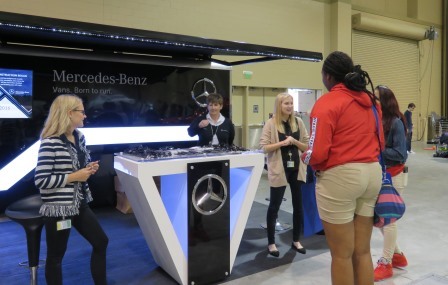 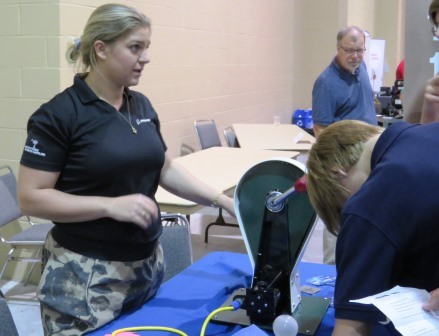 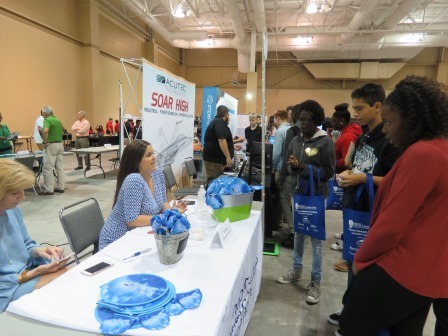 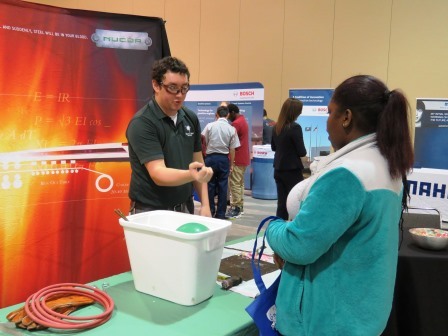 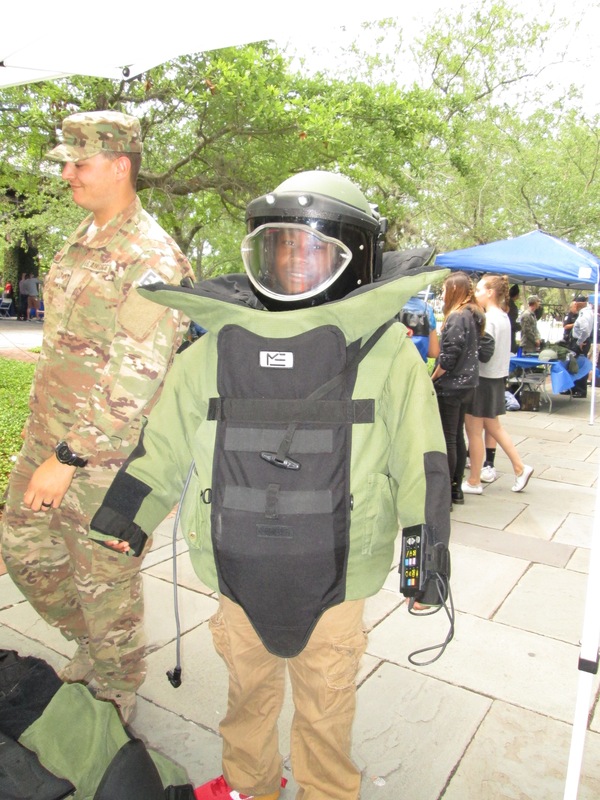 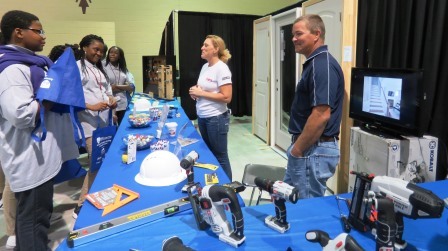 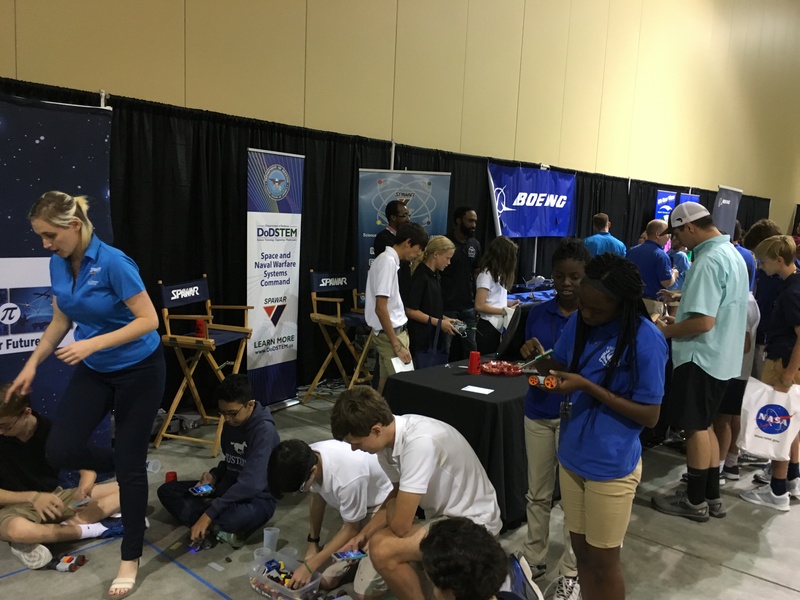 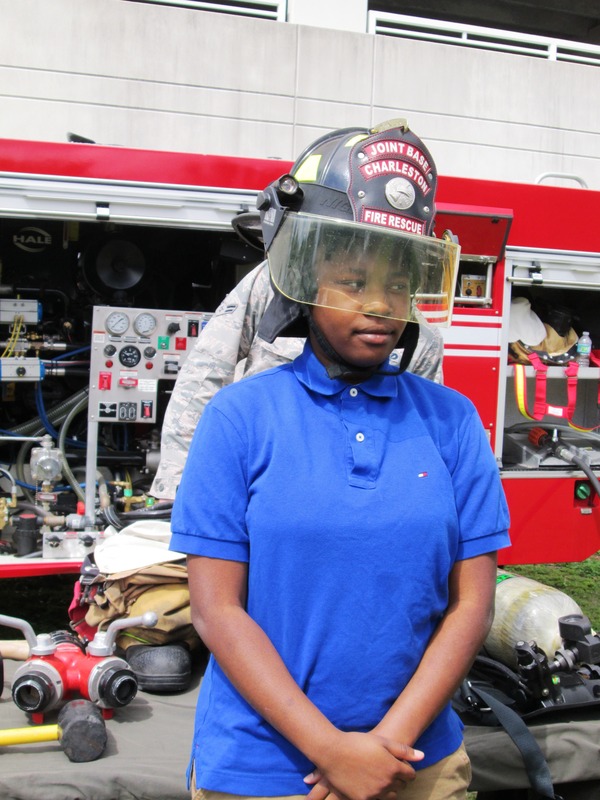 Students from Ms. Shekema Hamm’s CTE class at Daniel Jenkins Academy were among the attendees for the 3rd Annual Federal Agencies Informational Exhibition on May 5, 2017, hosted by FEA of Greater Charleston. 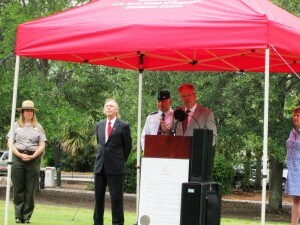 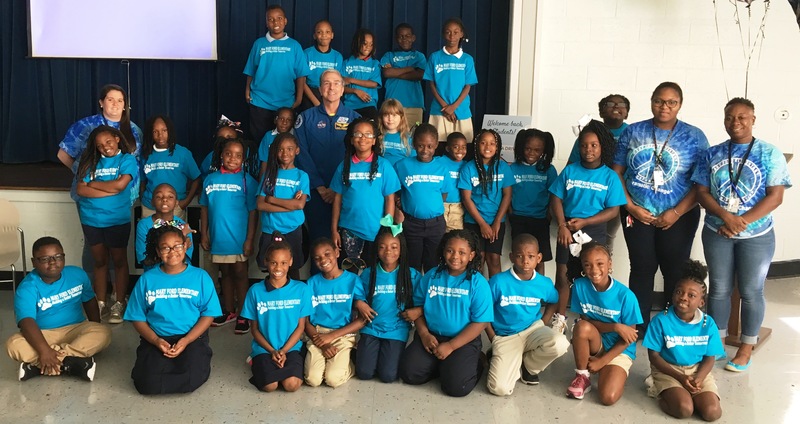 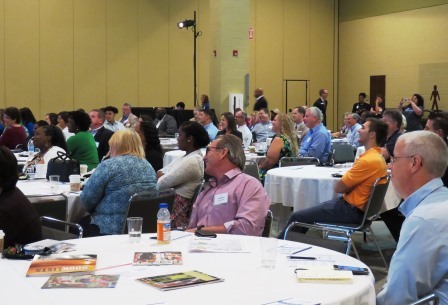 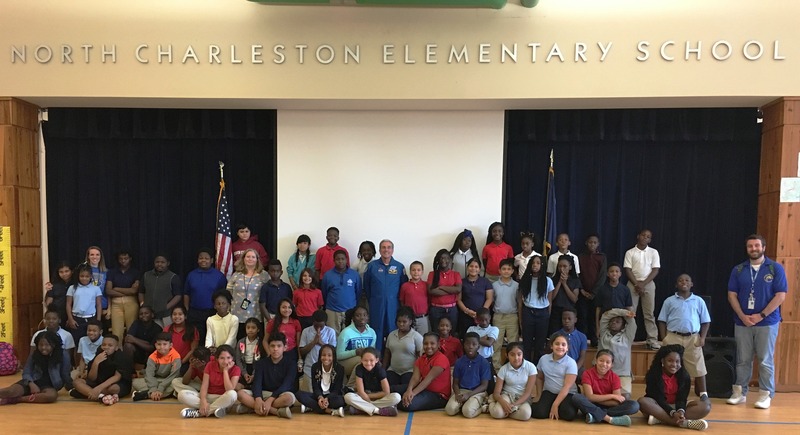 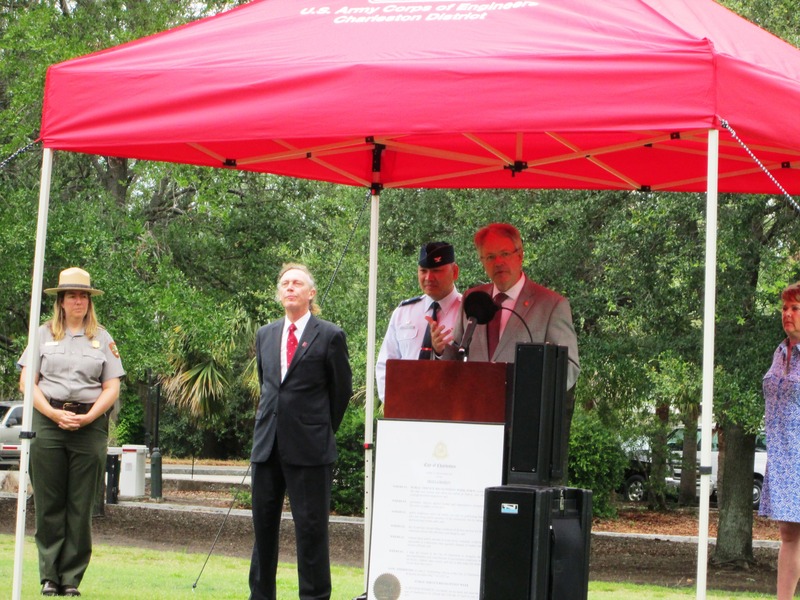 City of Charleston Mayor John Tecklenburg was the keynote speaker for the event’s opening ceremony. 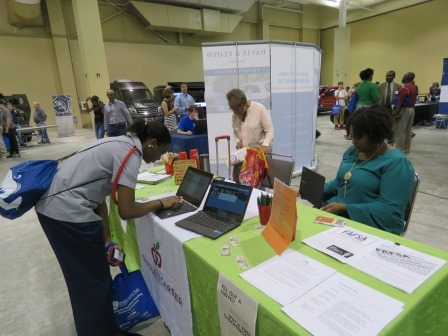 R epresentatives from various federal agencies educated the public about the many ways the federal government serves the community and makes life better for Lowcountry citizens. 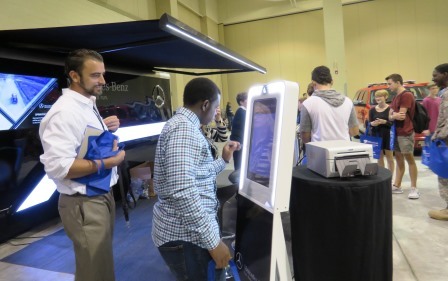 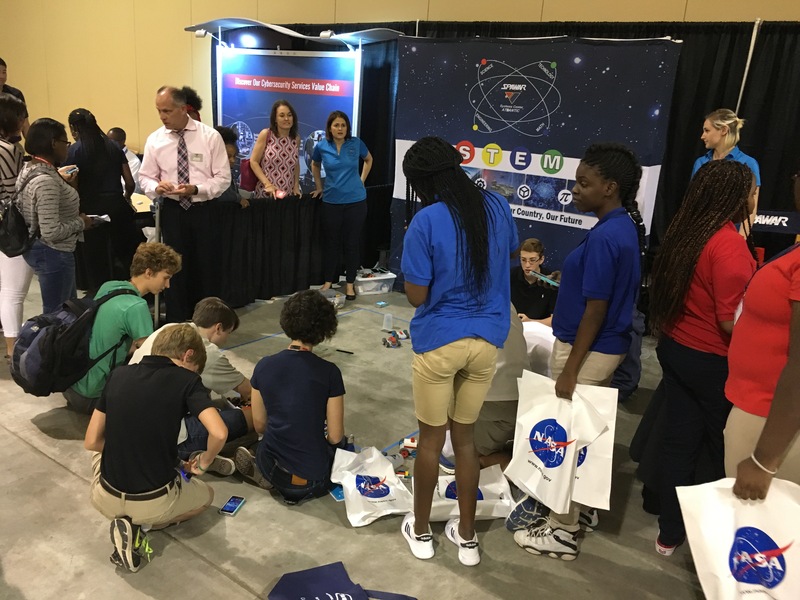 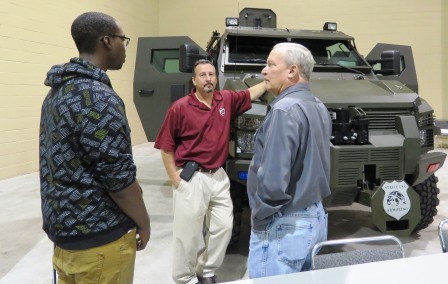 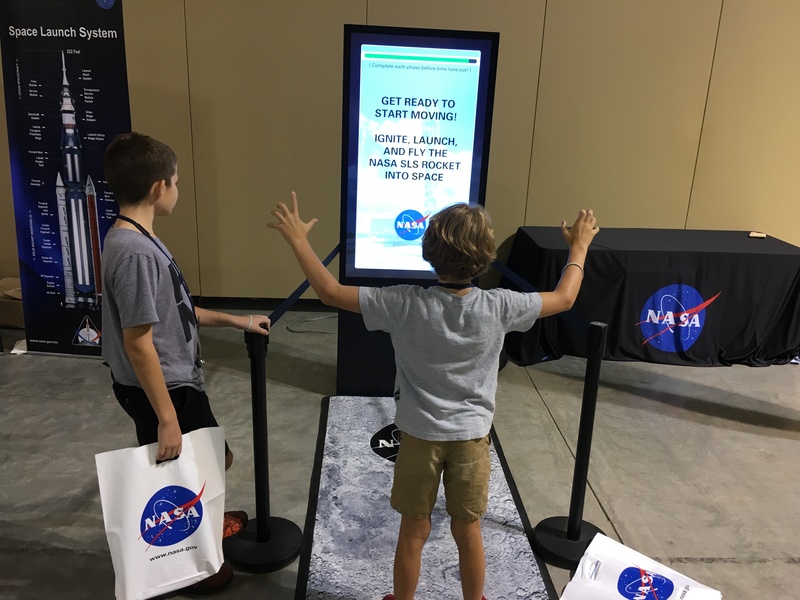 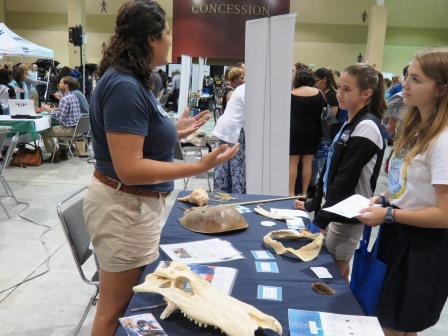 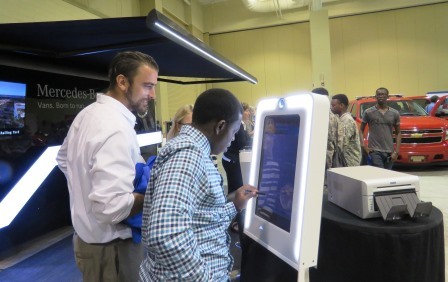 25 federal agencies and military organizations had displays highlighting their mission, programs and initiatives. 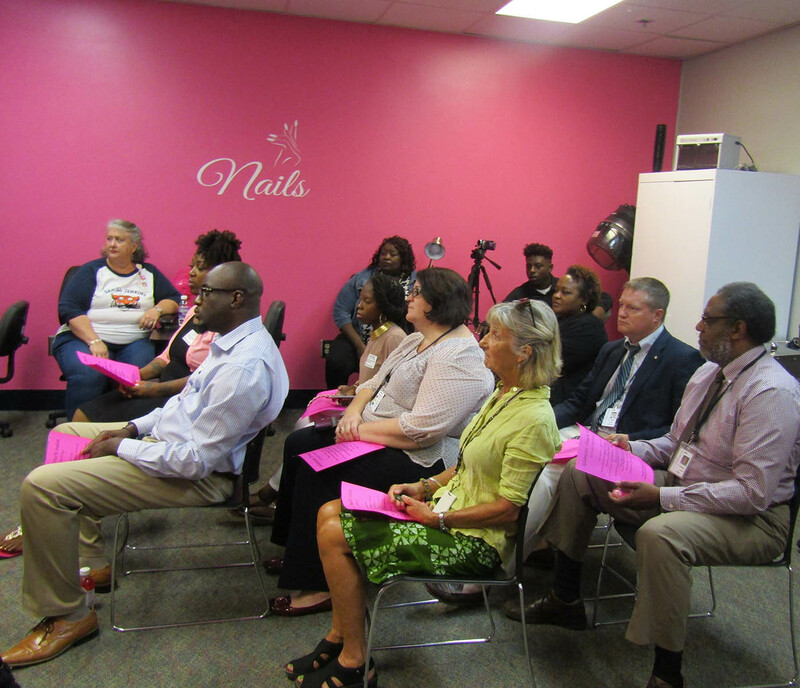 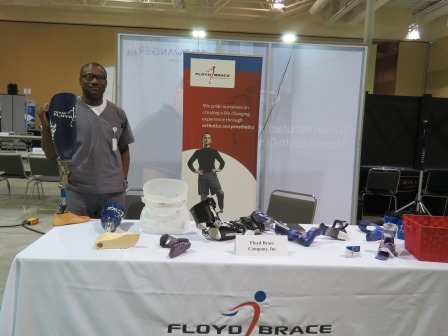 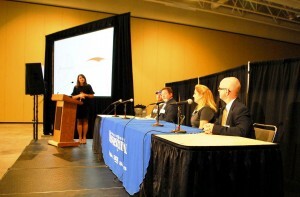 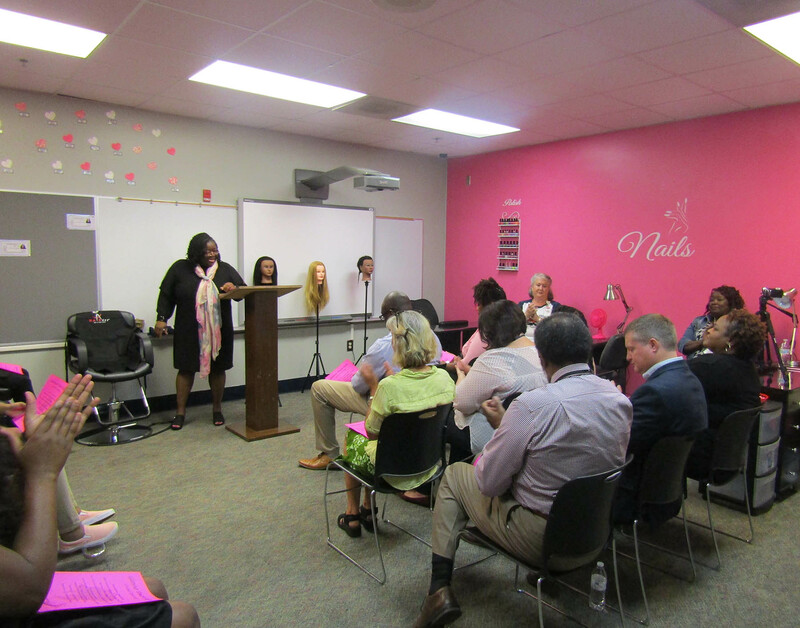 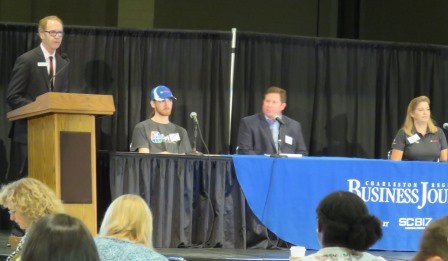 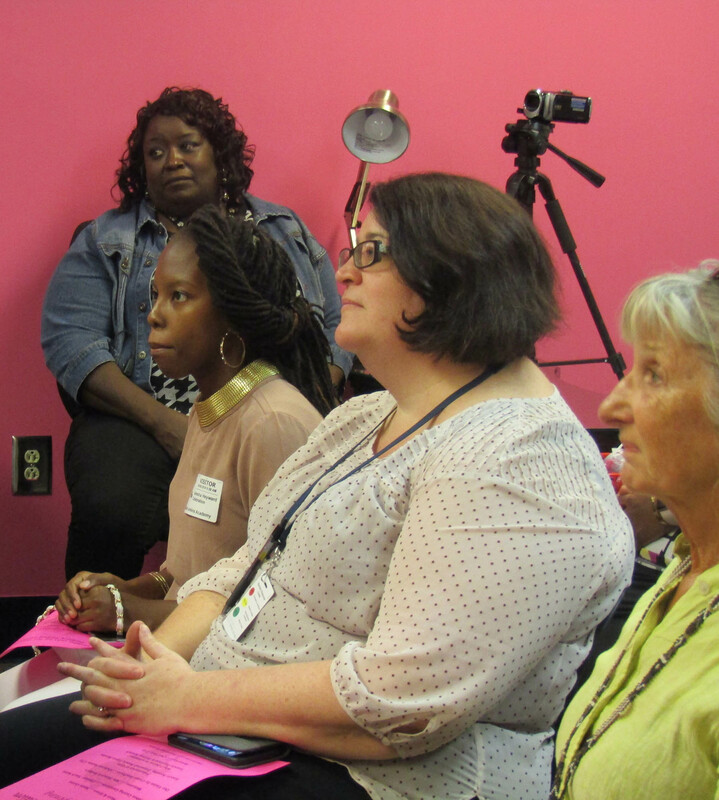 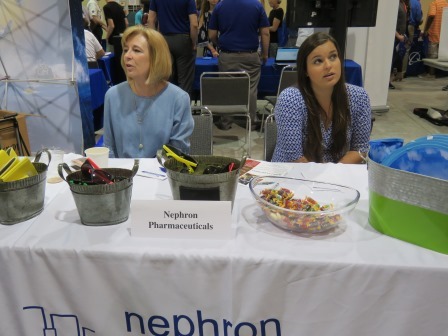 Professionals from each participating organization were available to answer questions. 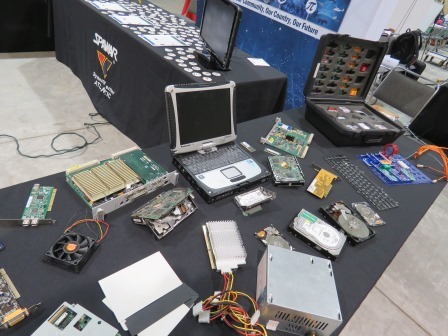 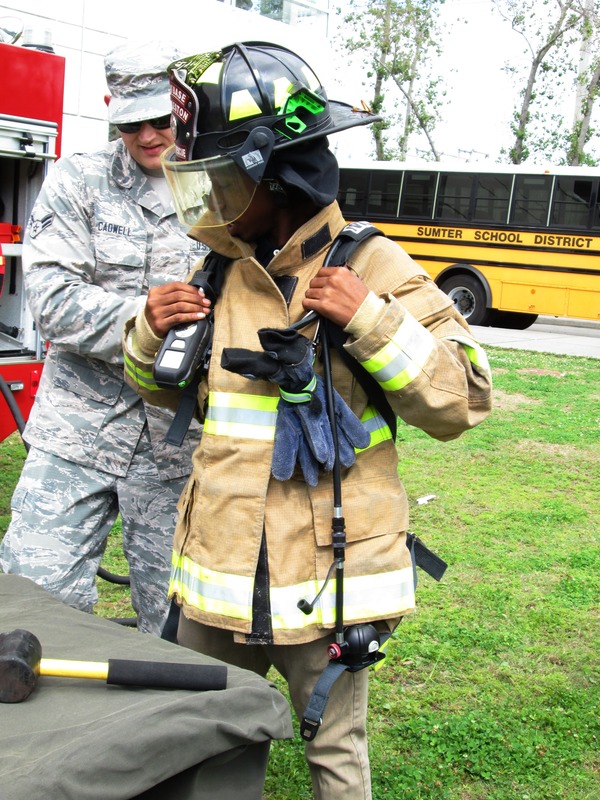 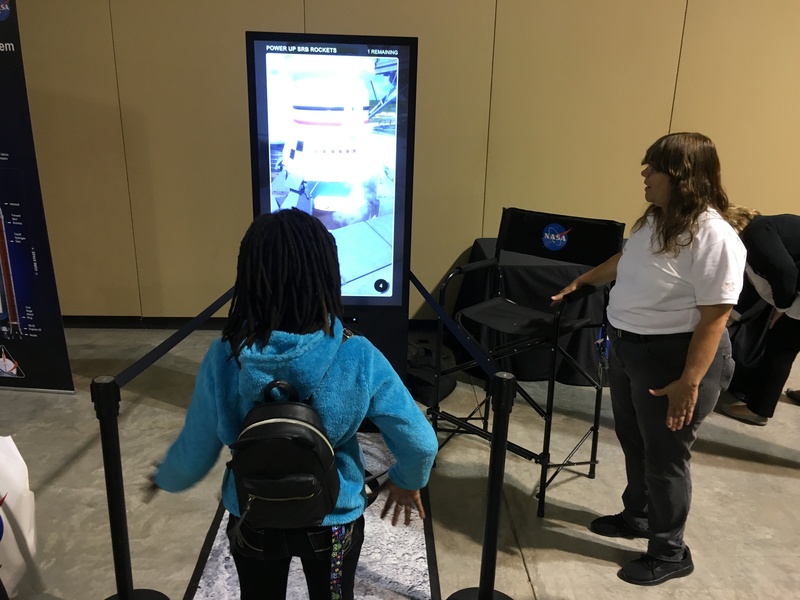 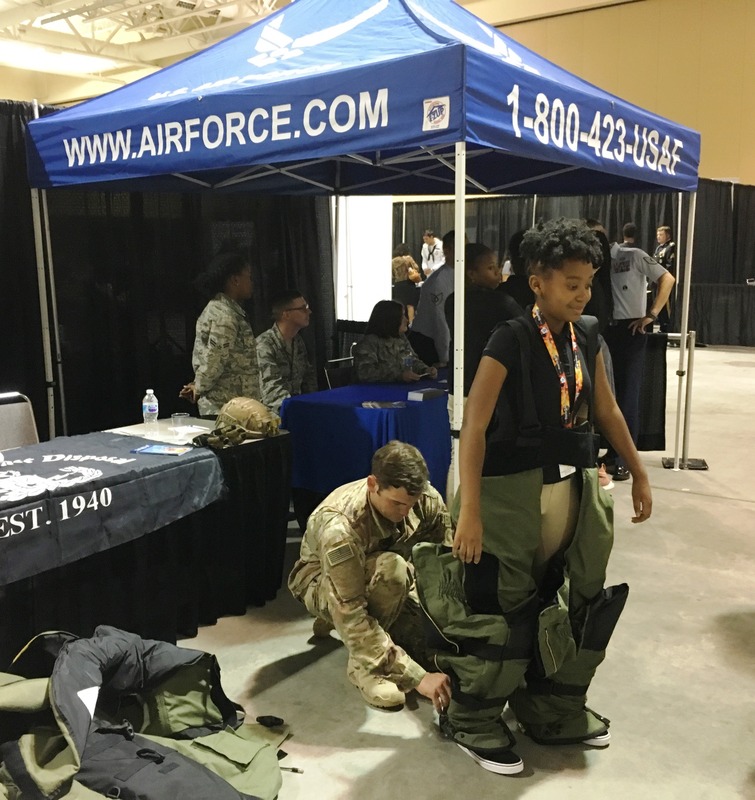 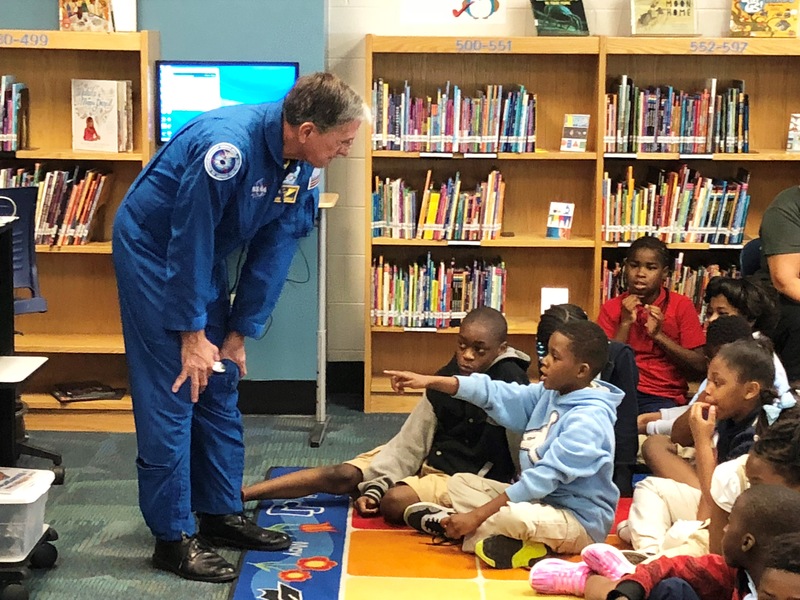 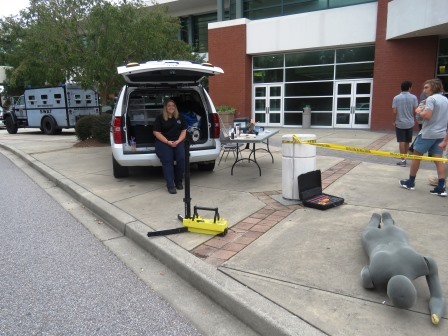 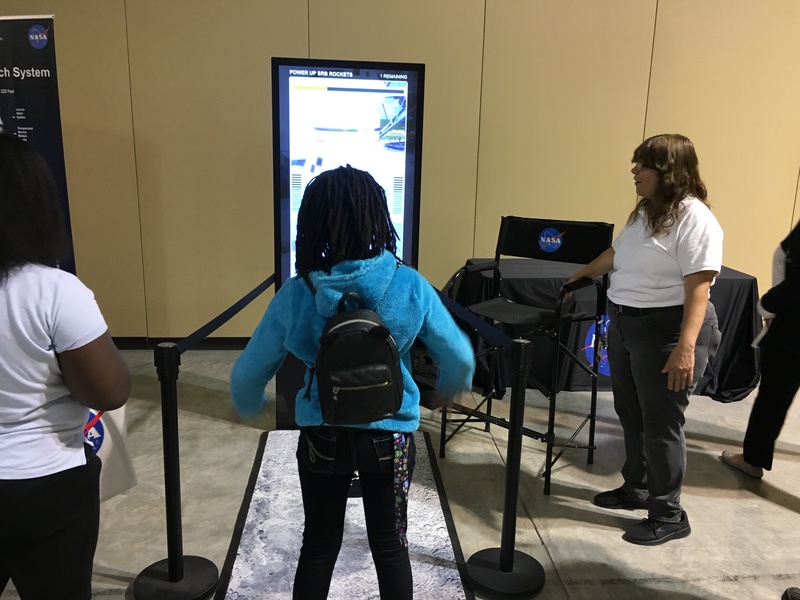 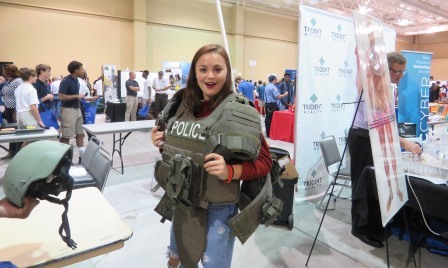 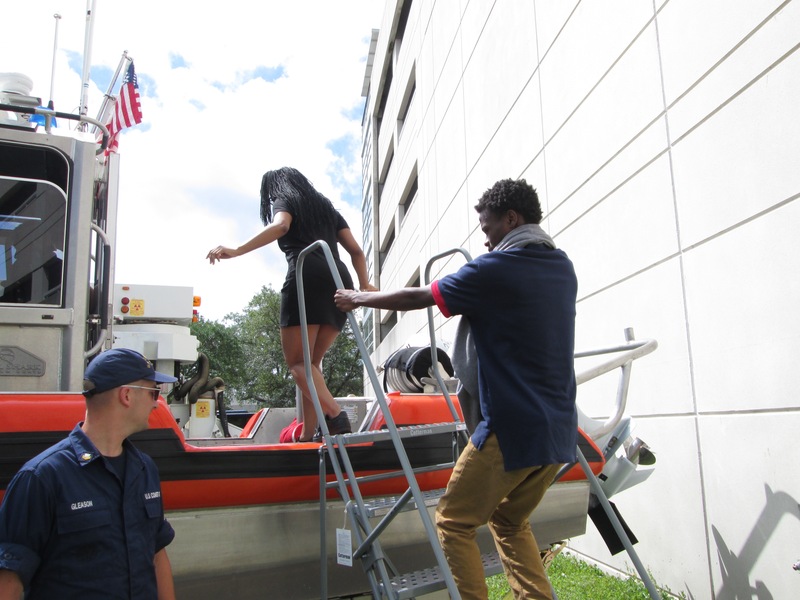 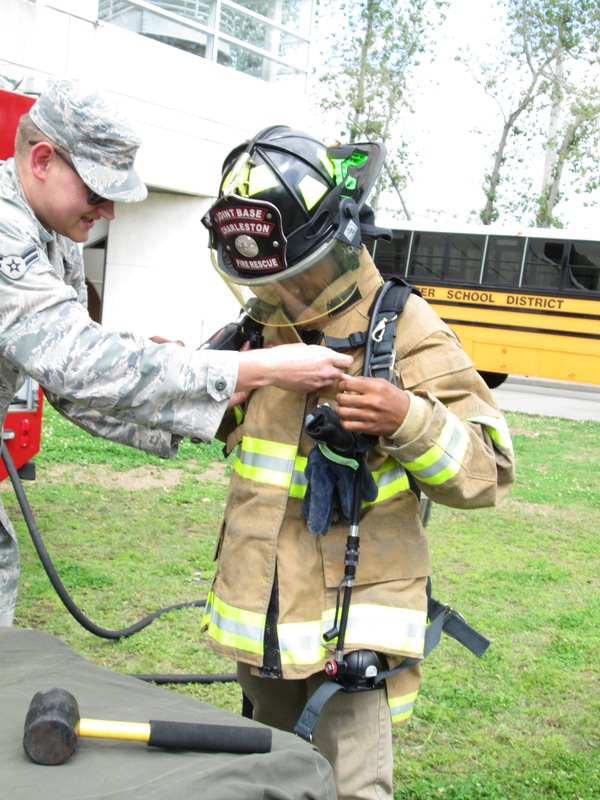 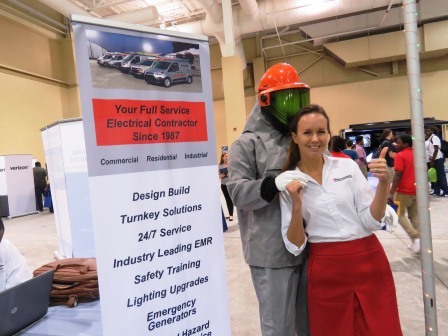 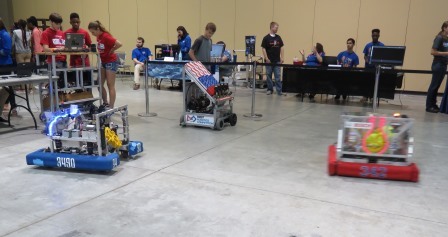 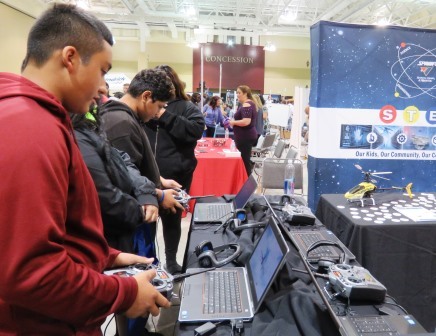 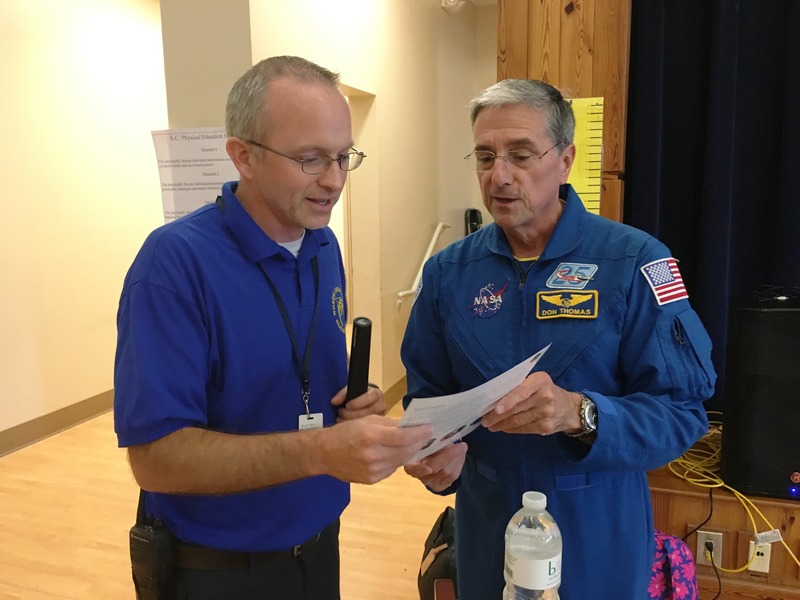 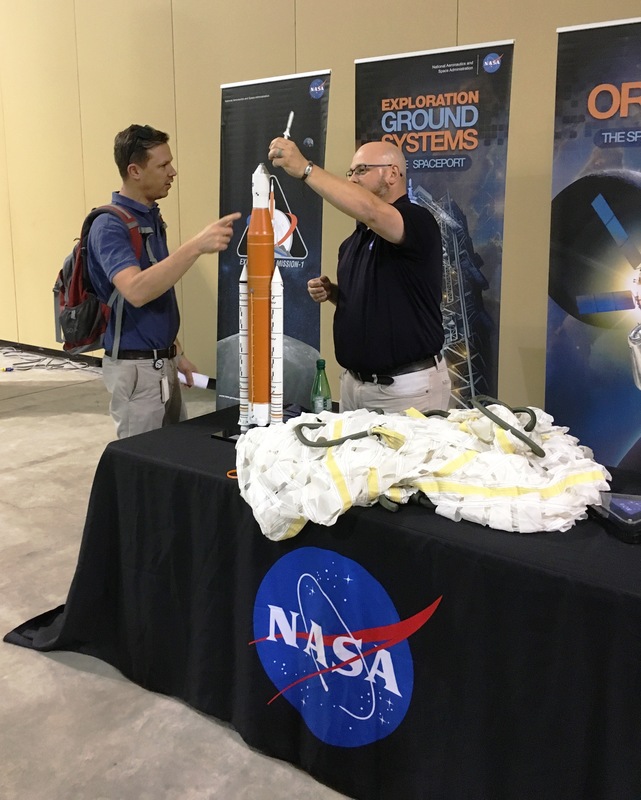 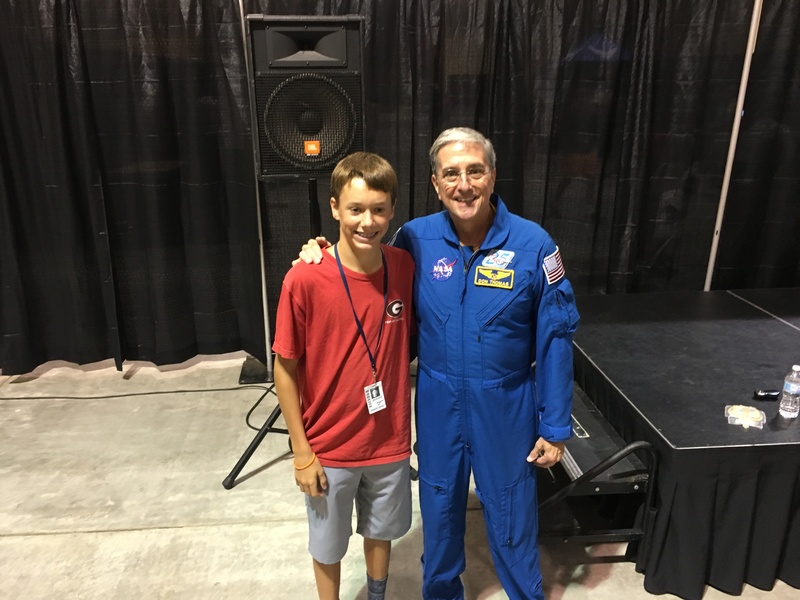 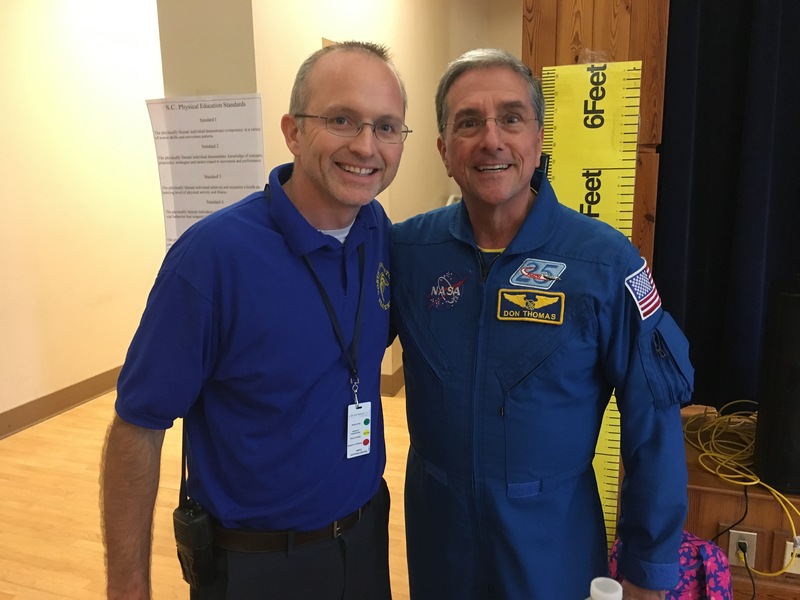 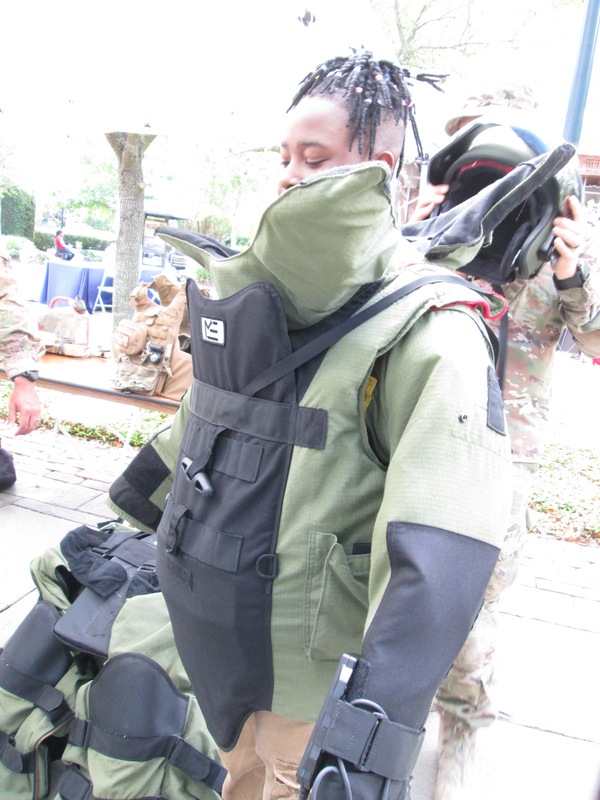 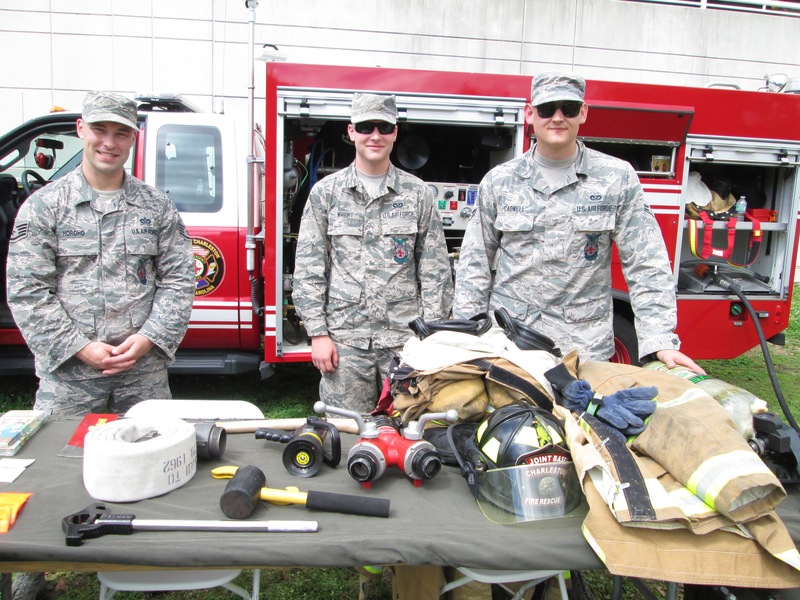 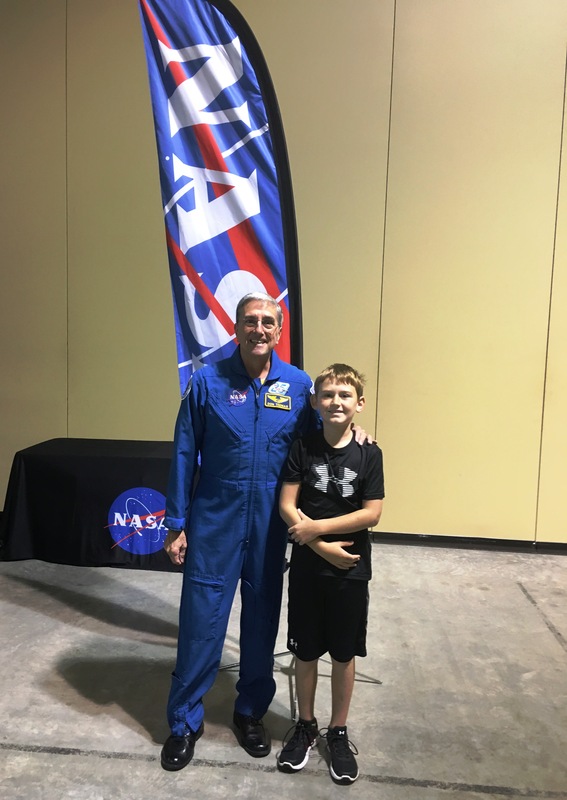 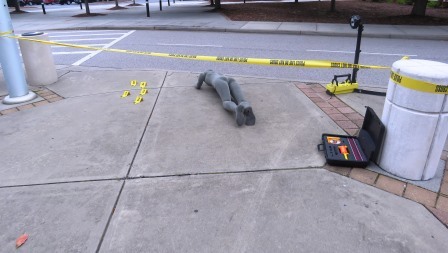 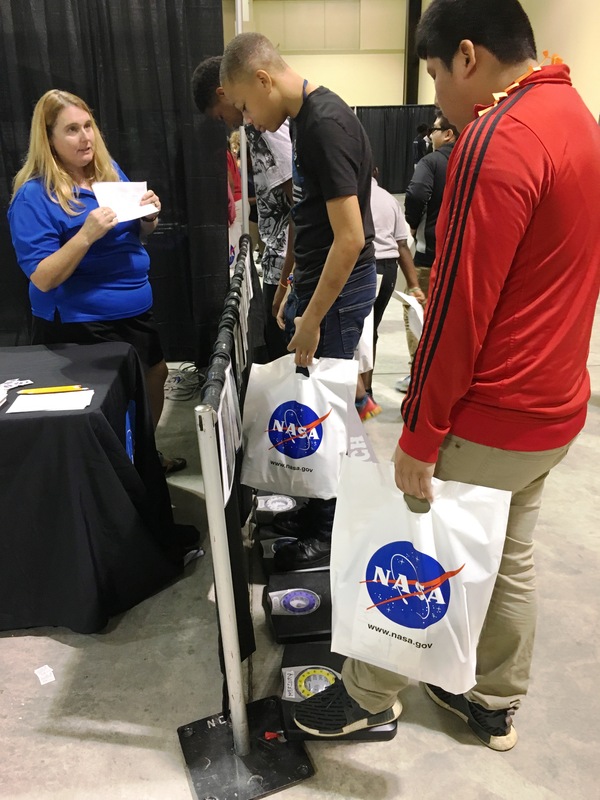 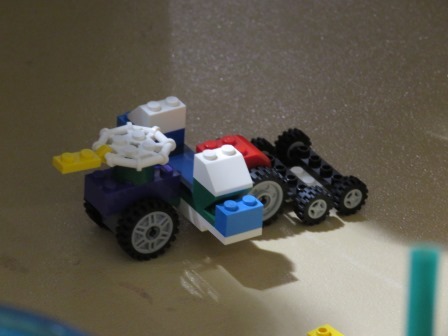 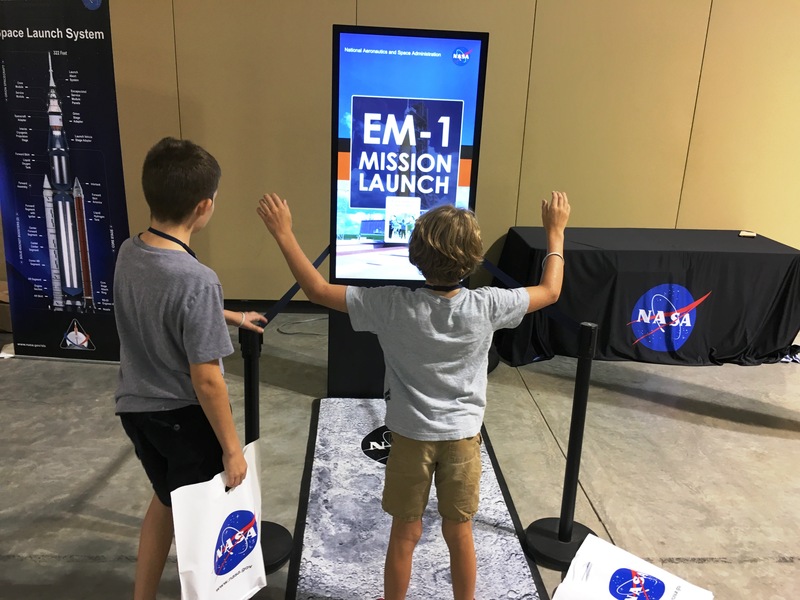 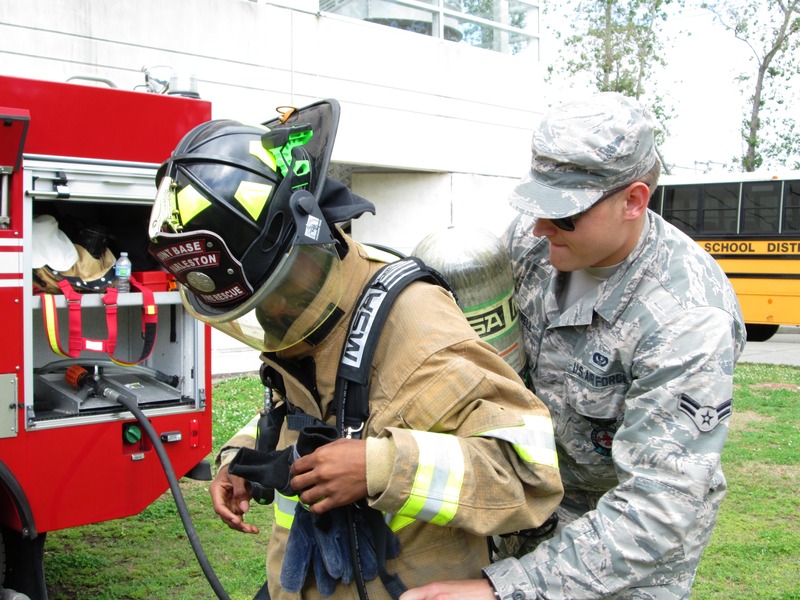 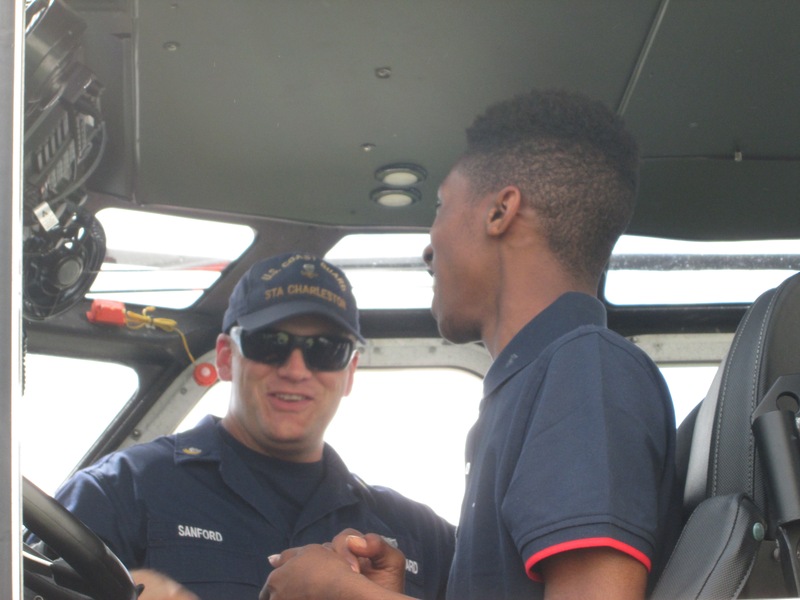 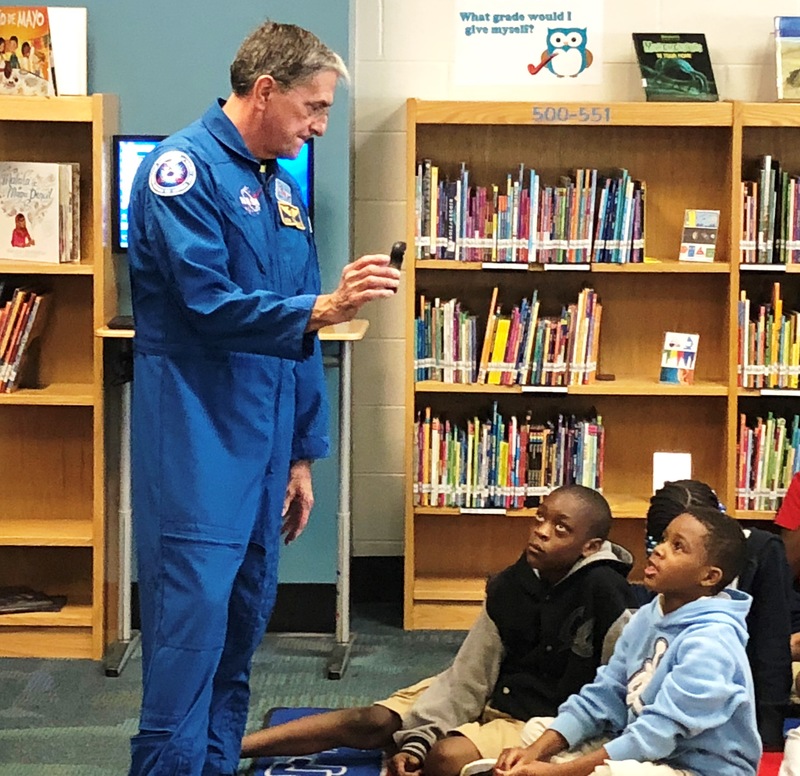 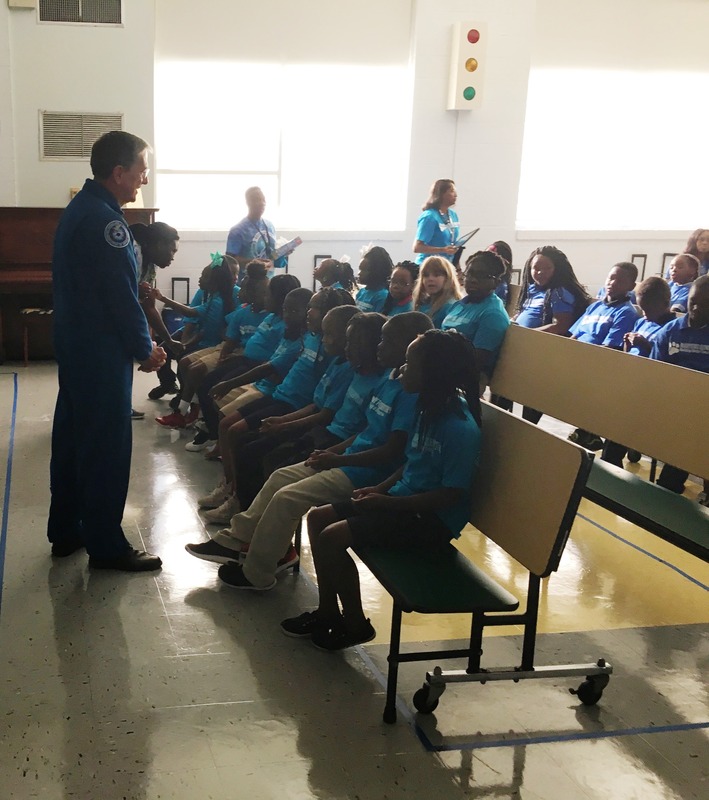 “Some of the displays included a mini C-17 airplane, passport fair, law enforcement dogs, survey boats, robots from SPAWAR, an authentic fire suit, transport vehicles, and much more”, said Ms. Hamm. 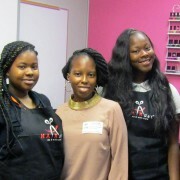 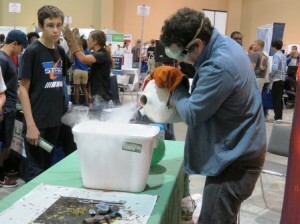 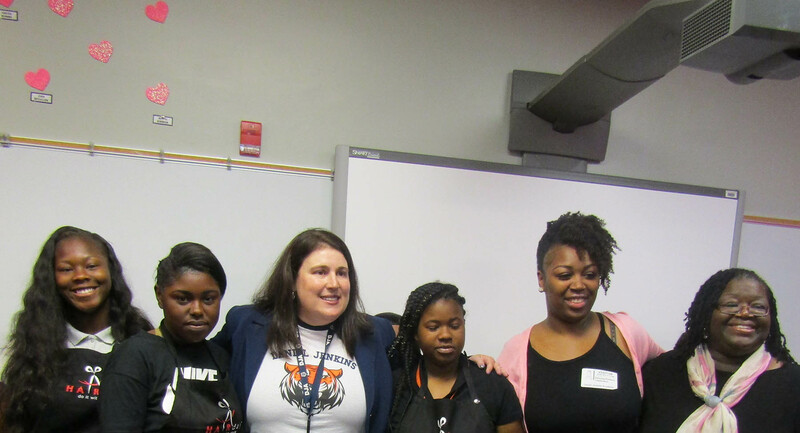 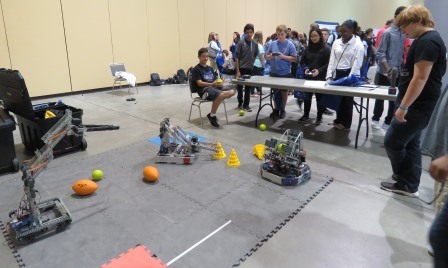 “I am so thankful my students had the opportunity to participate in this terrific event”, Ms. Hamm added. 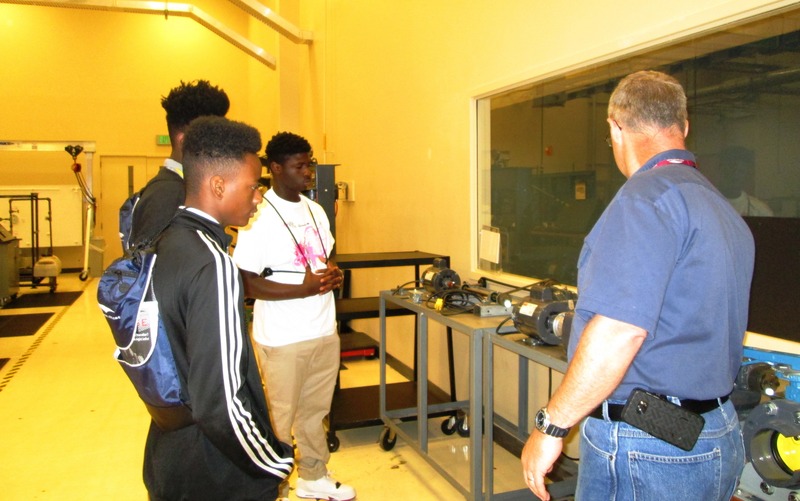 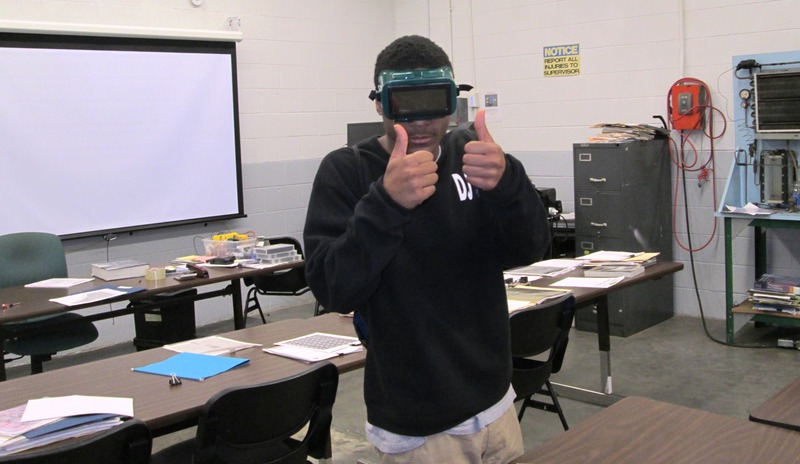 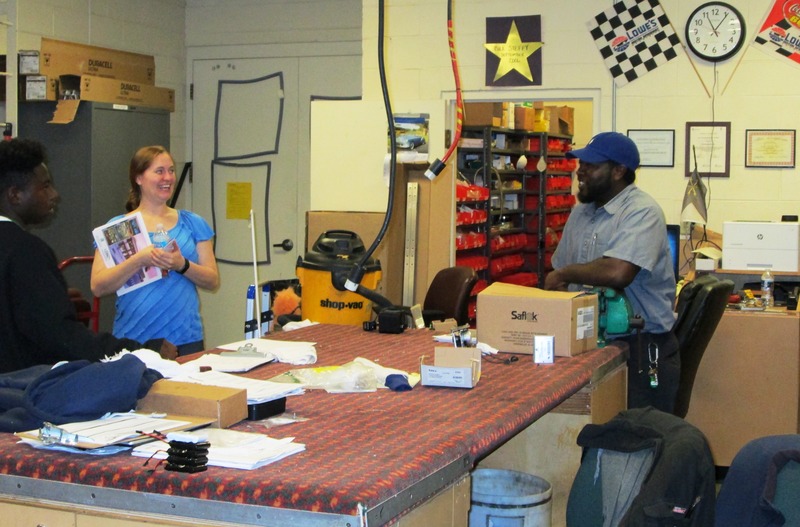 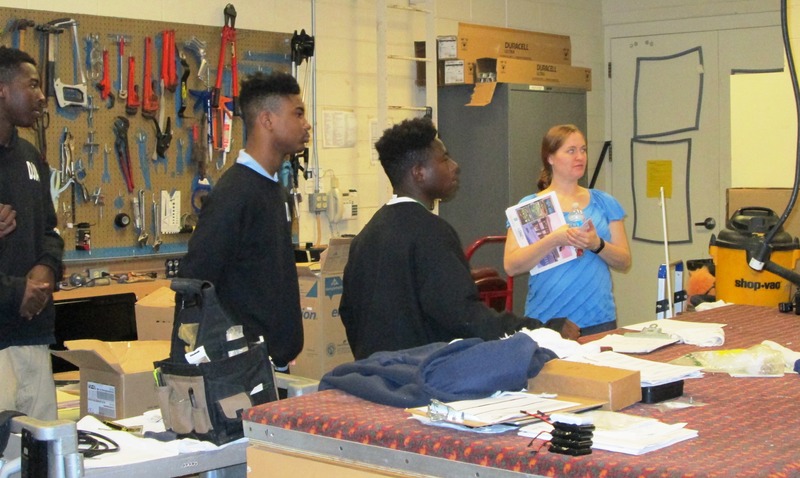 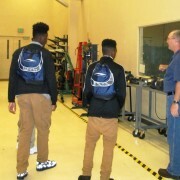 May 8, 2017 – Charleston, SC - Several students from Ms. Shekema Hamm’s CTE class at Daniel Jenkins Academy visited Trident Technical College’s Industrial Mechanics Department today. 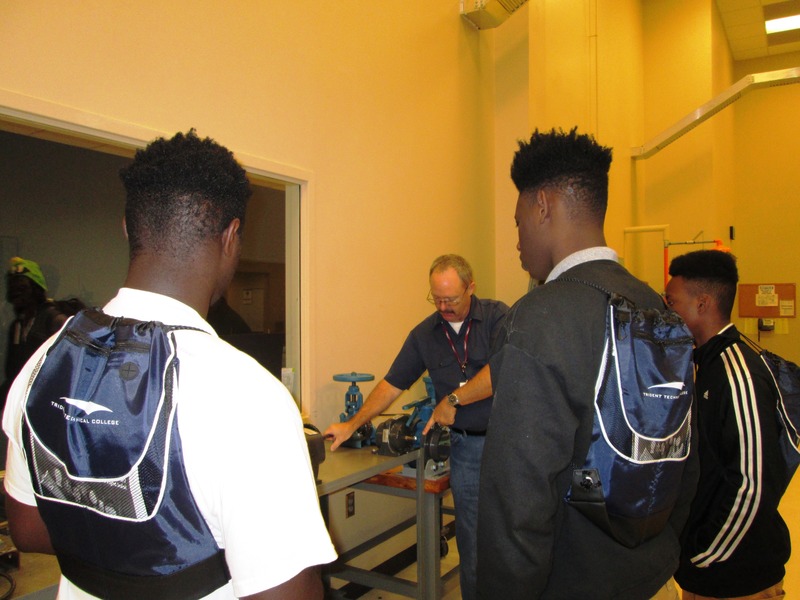 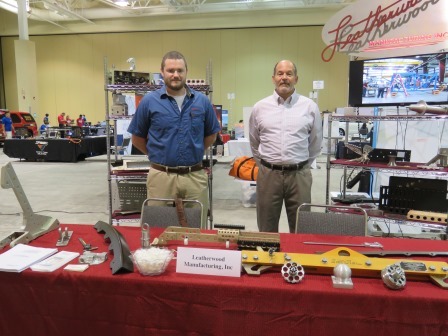 Each of the participating students completed a career assessment earlier in the semester that indicated a strong interest in Industrial Mechanics, and related career pathways. 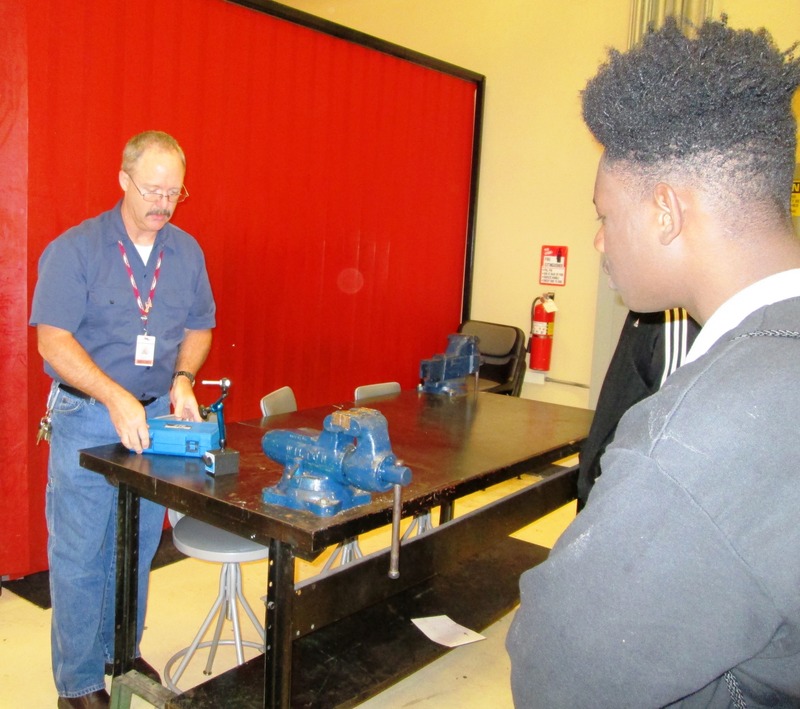 The students participated in a simple machine demonstration of how to produce torque. 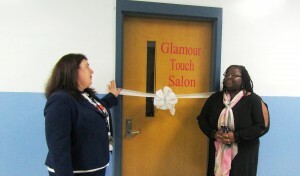 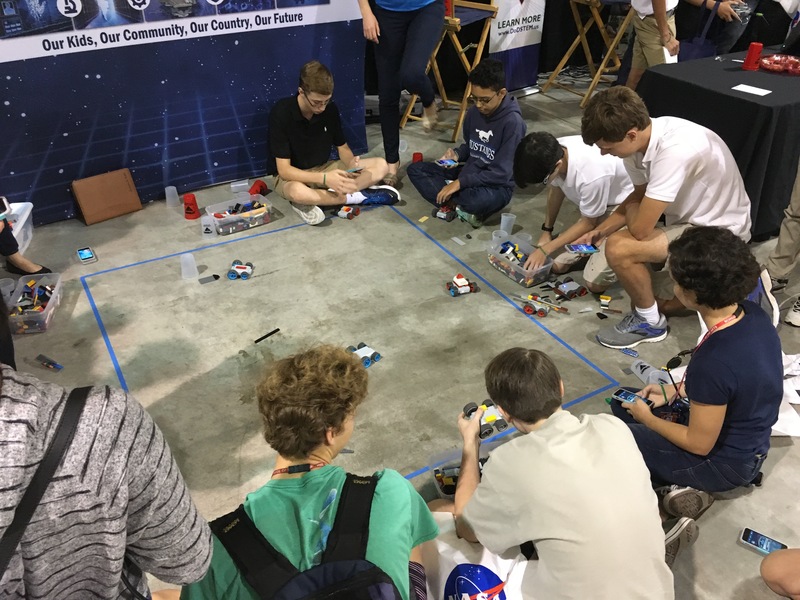 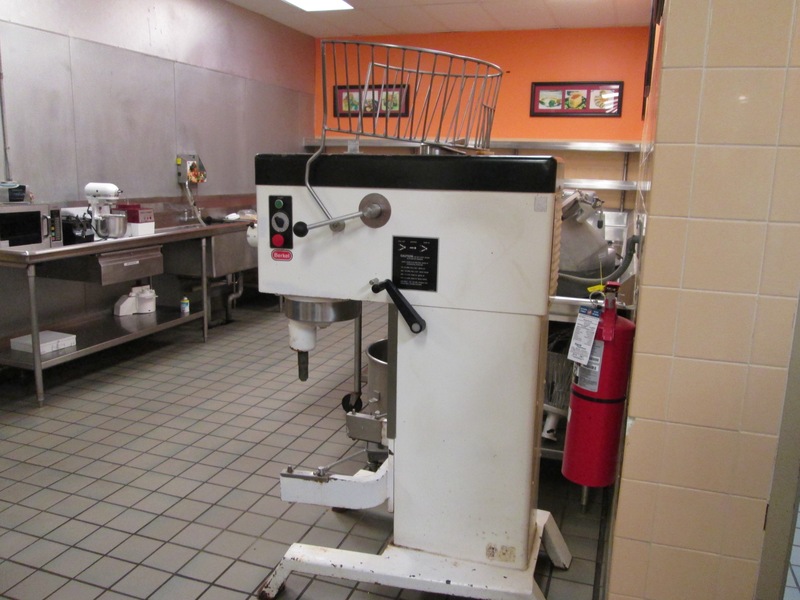 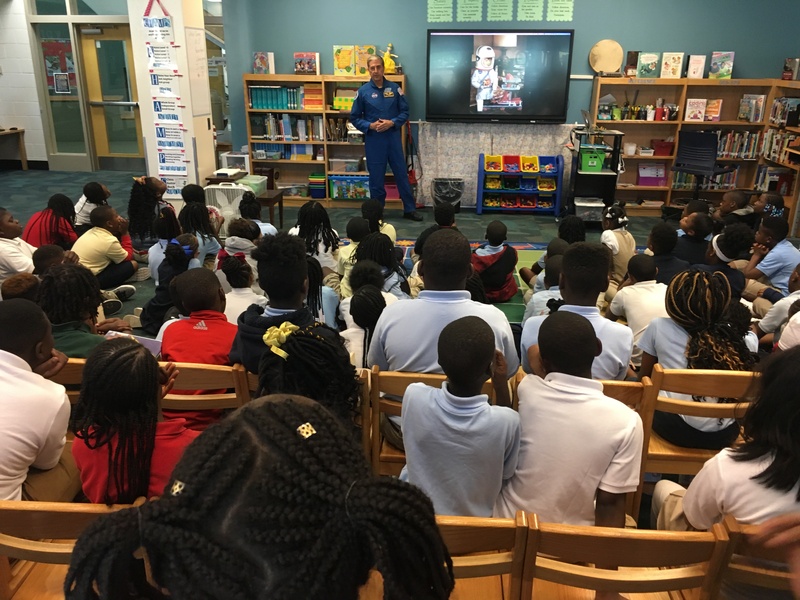 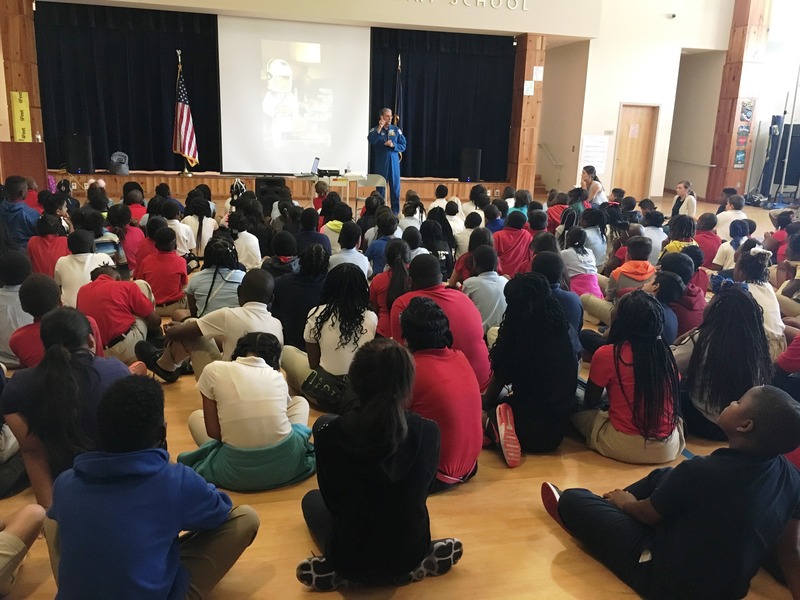 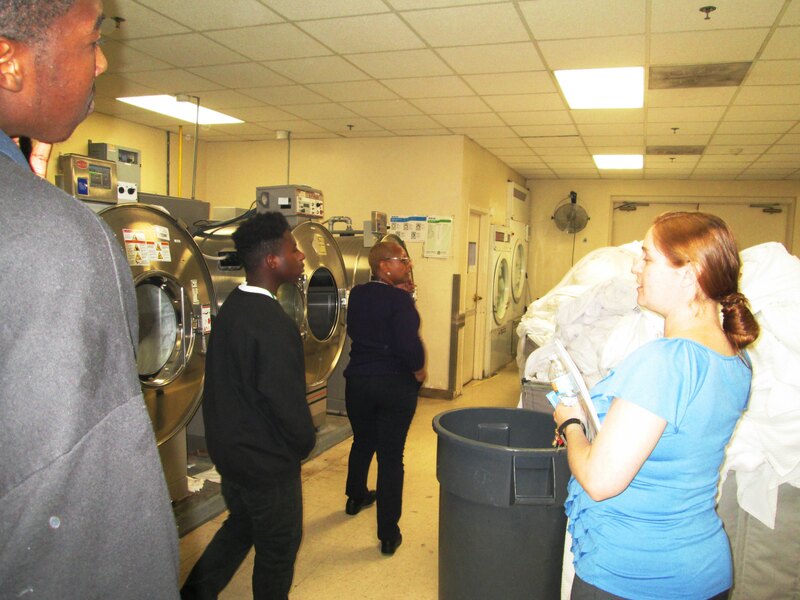 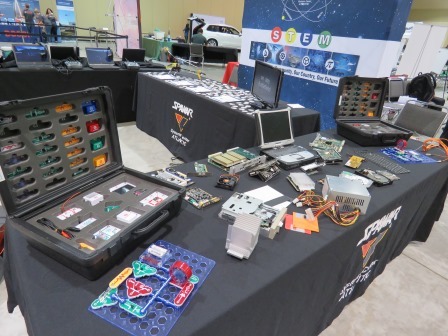 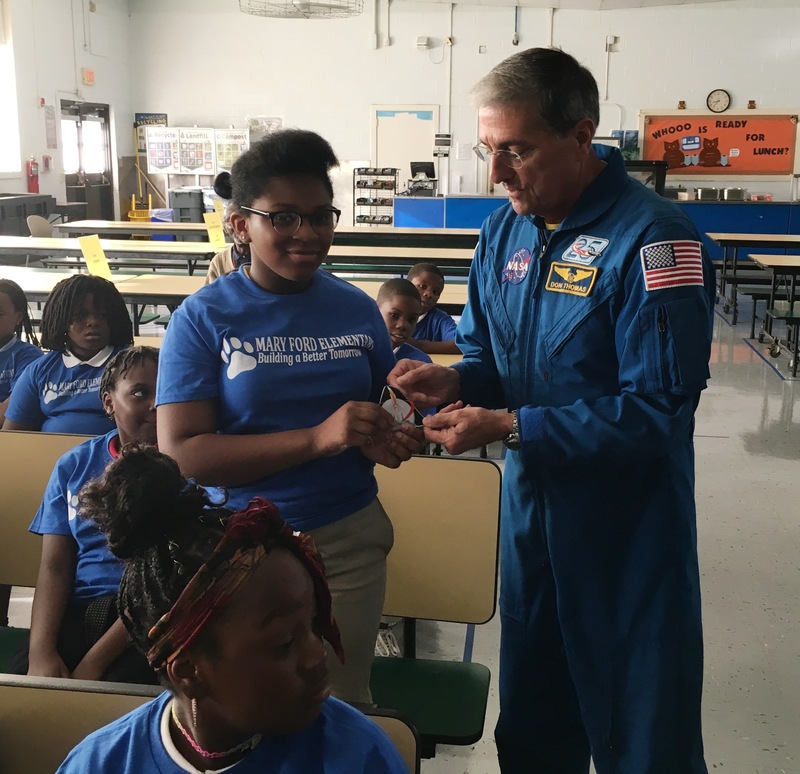 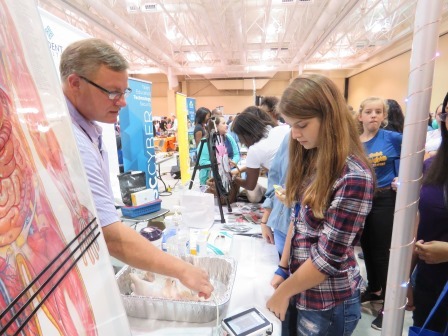 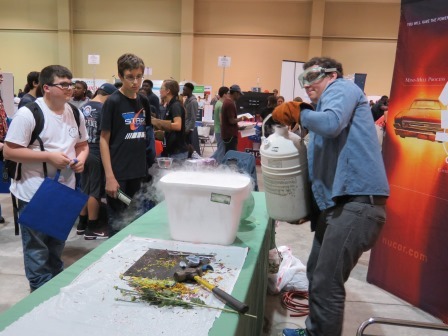 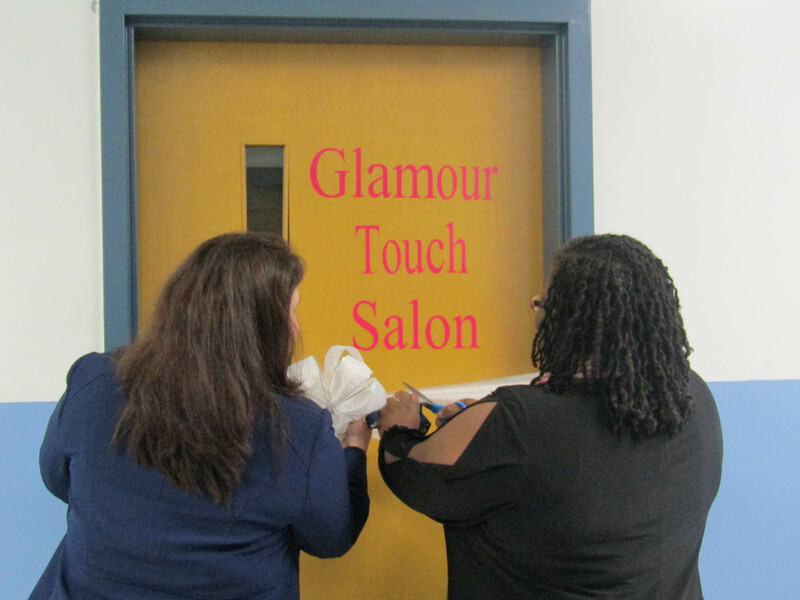 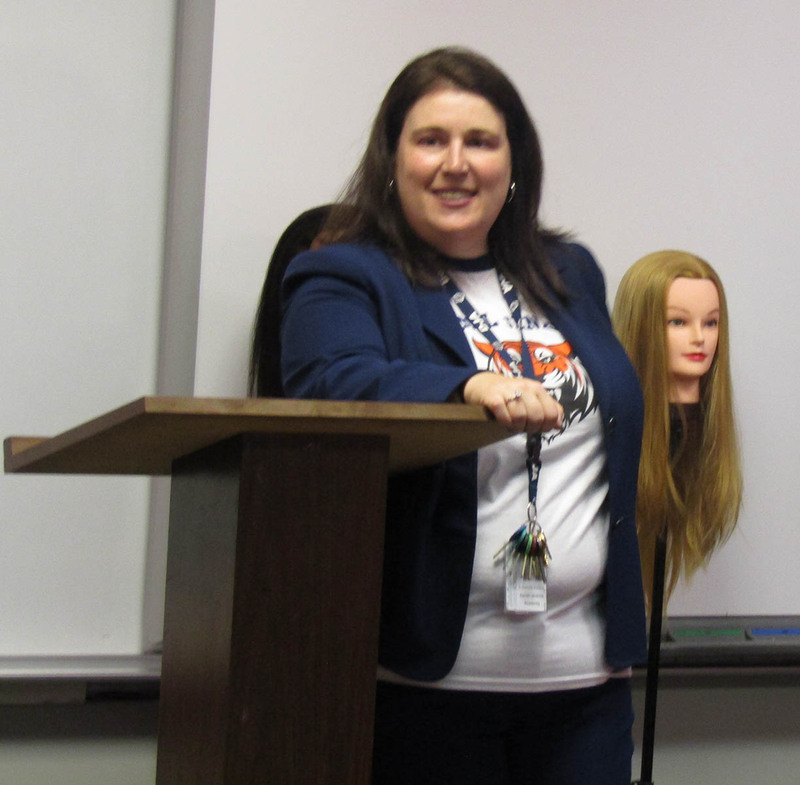 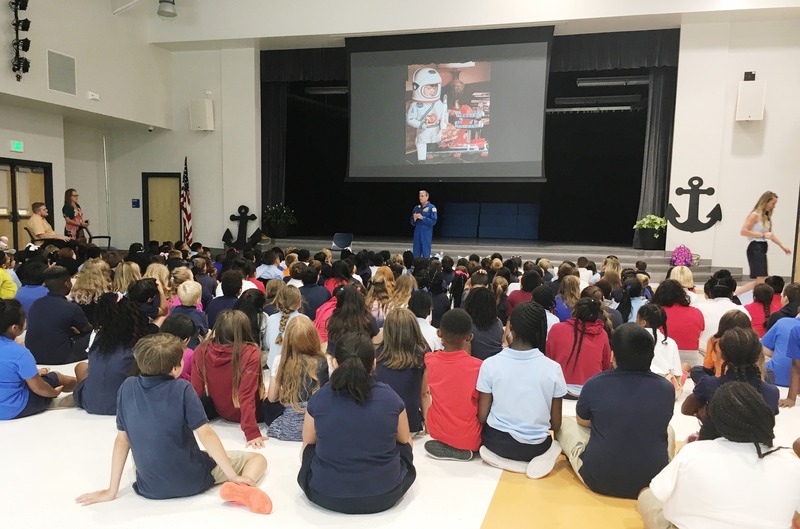 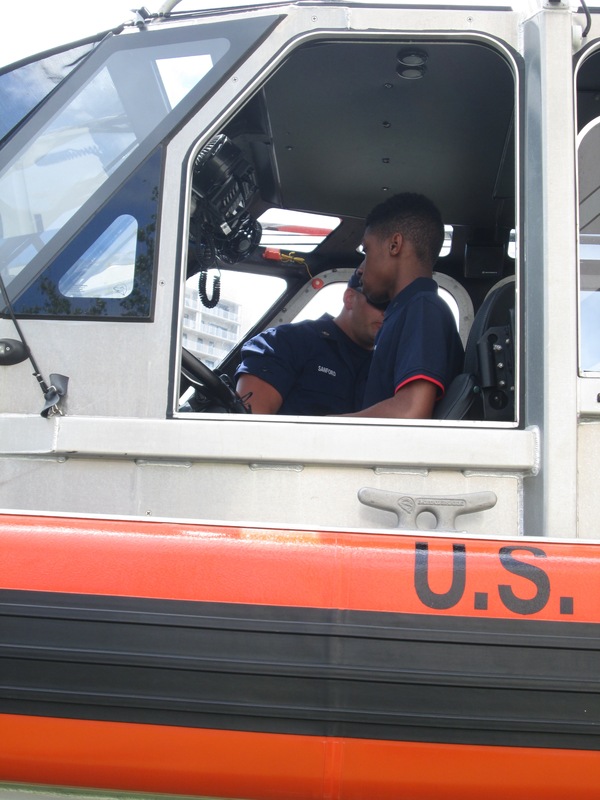 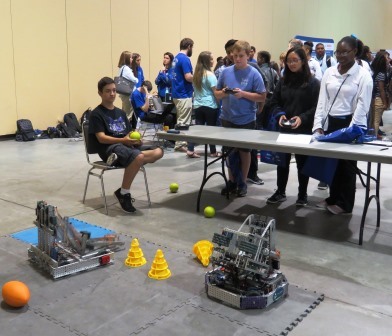 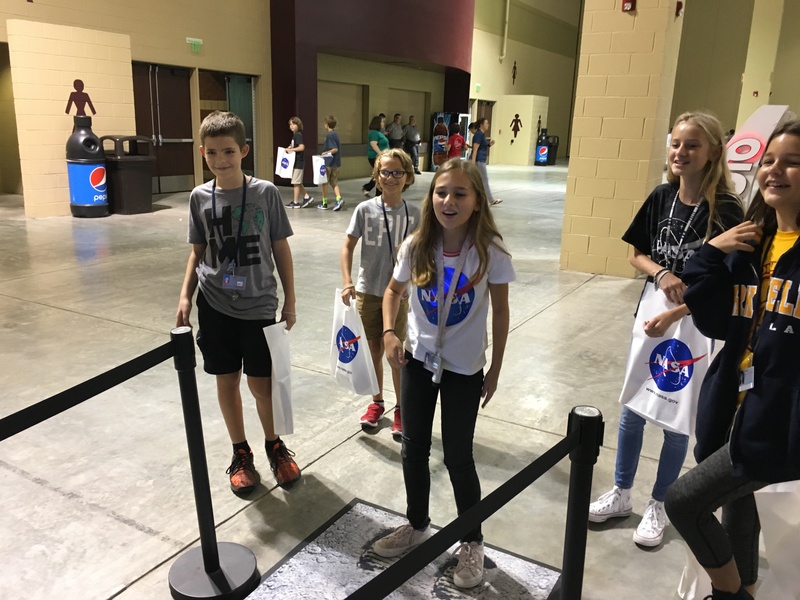 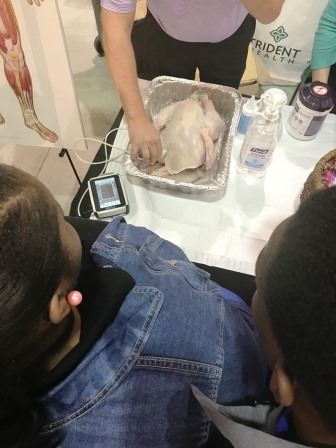 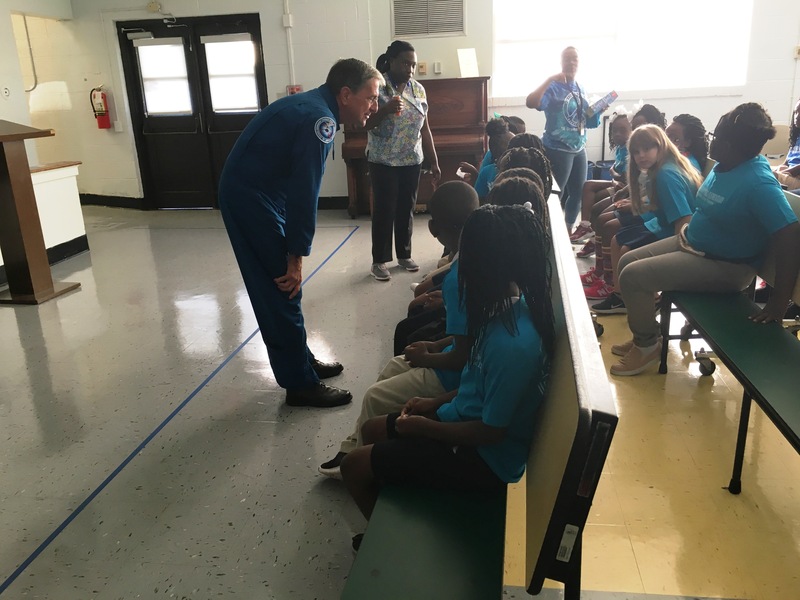 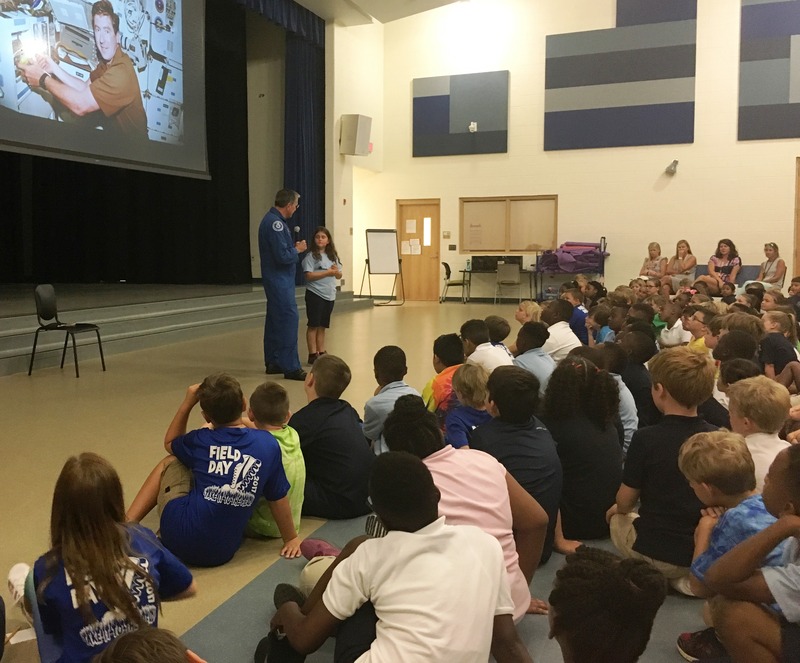 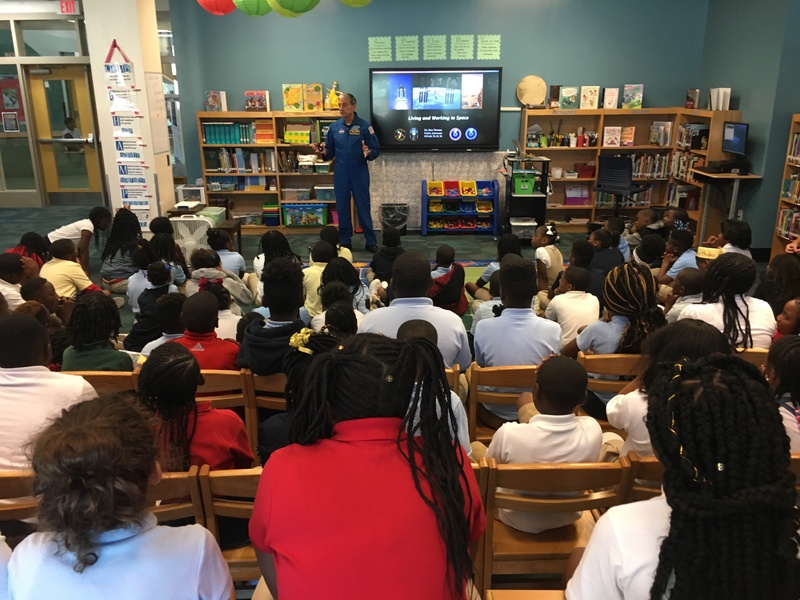 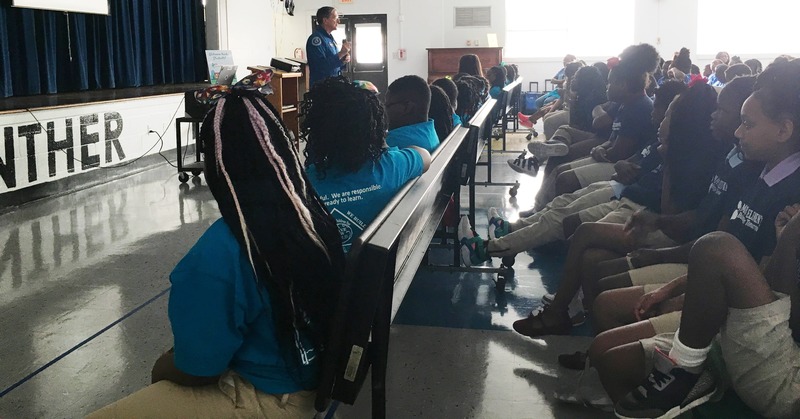 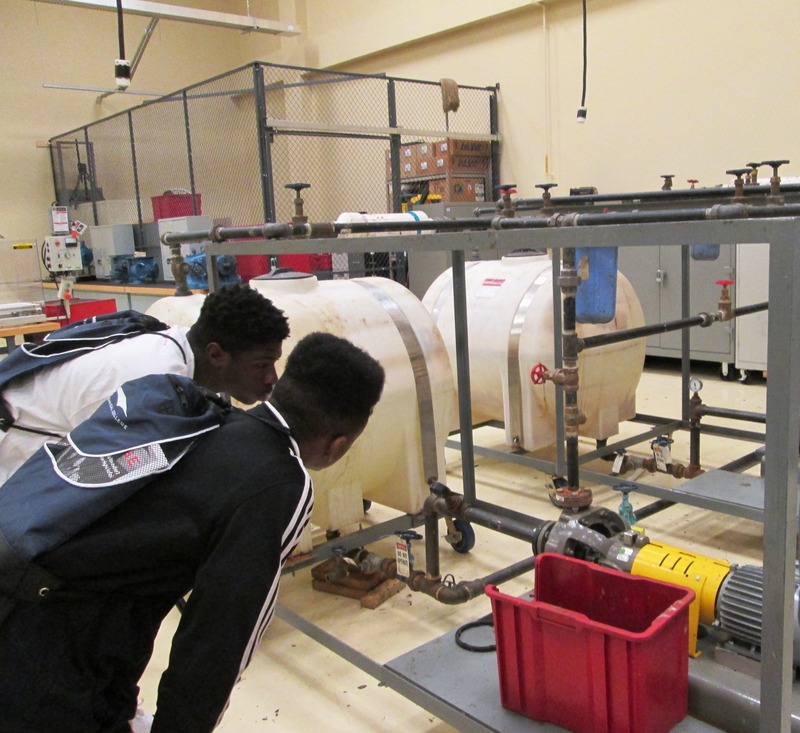 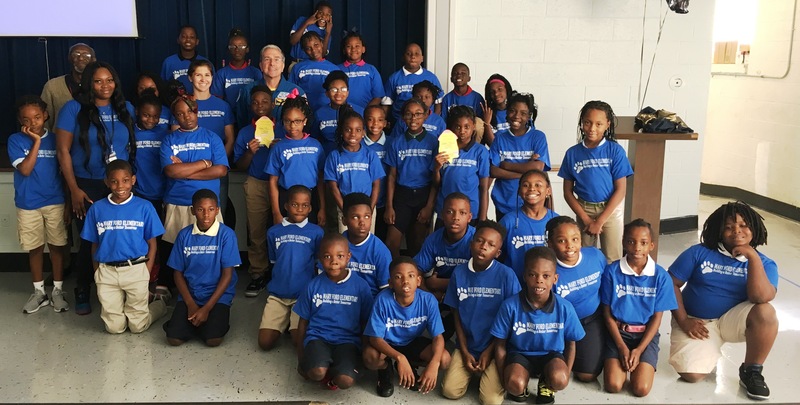 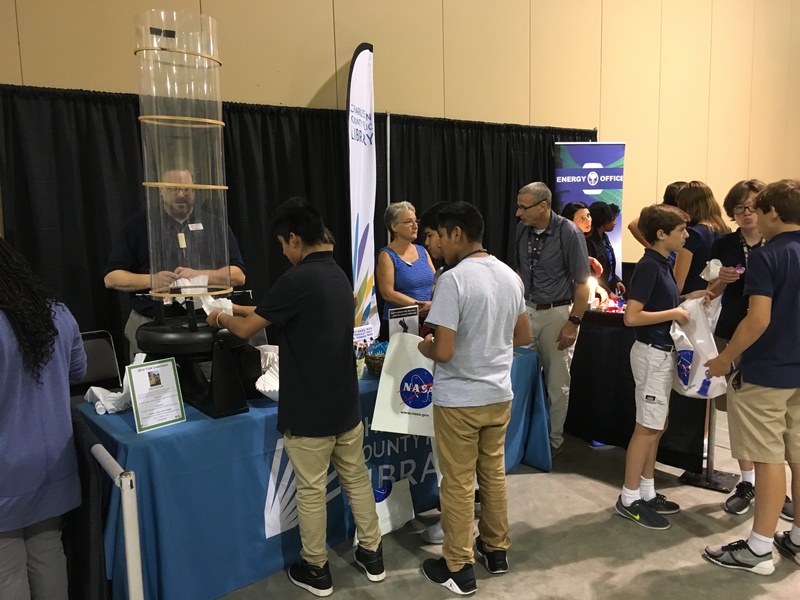 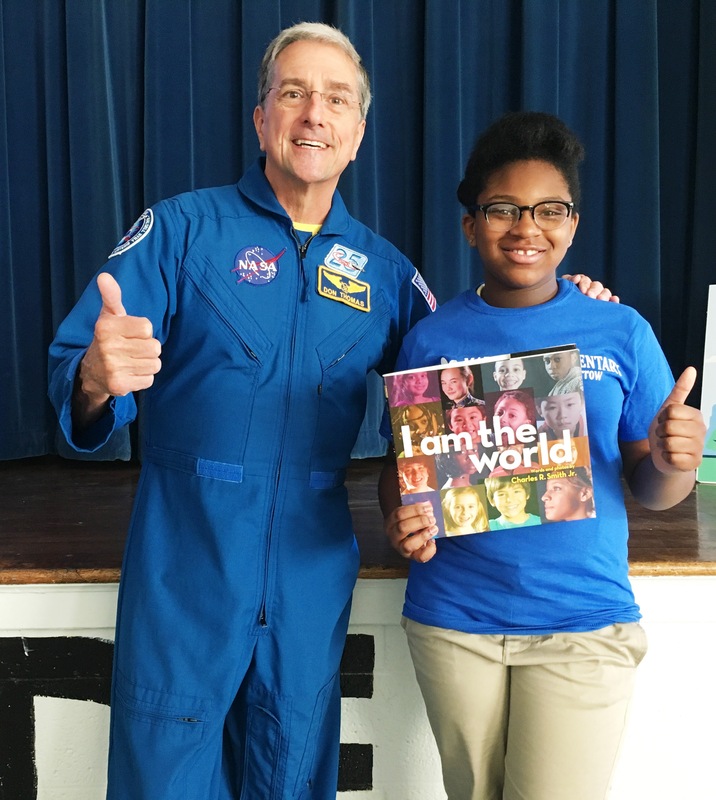 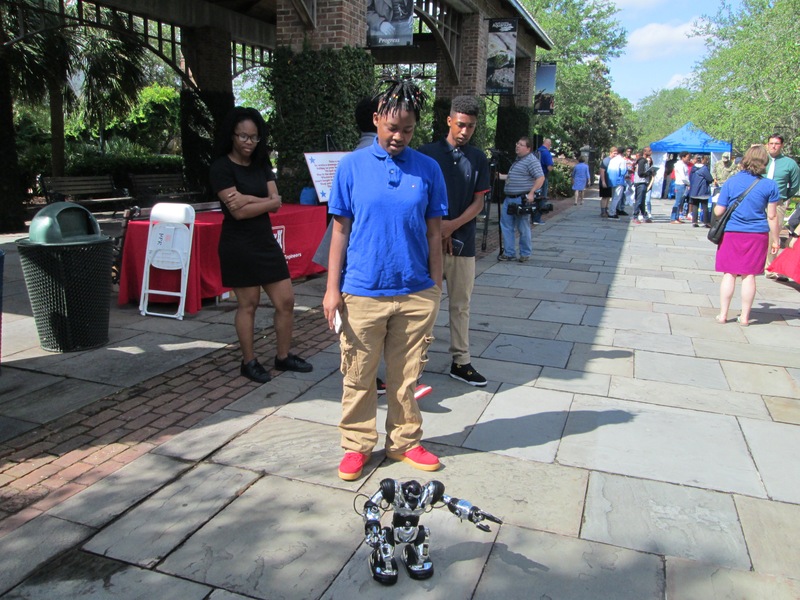 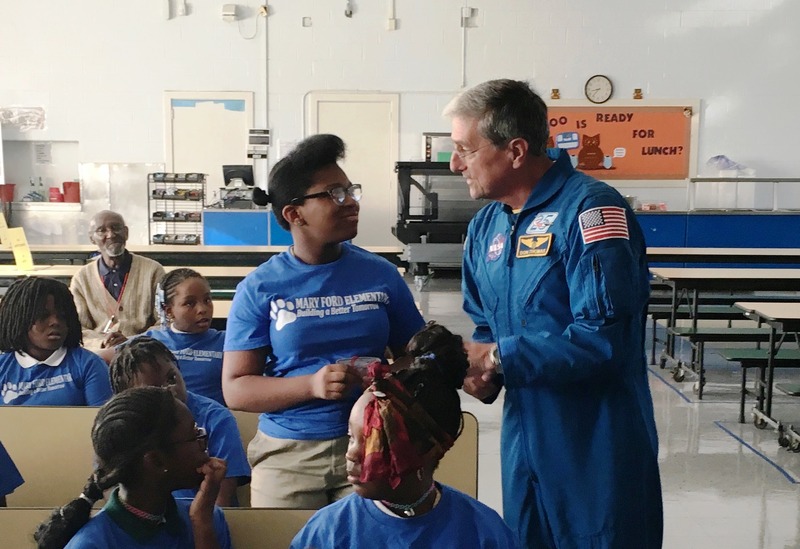 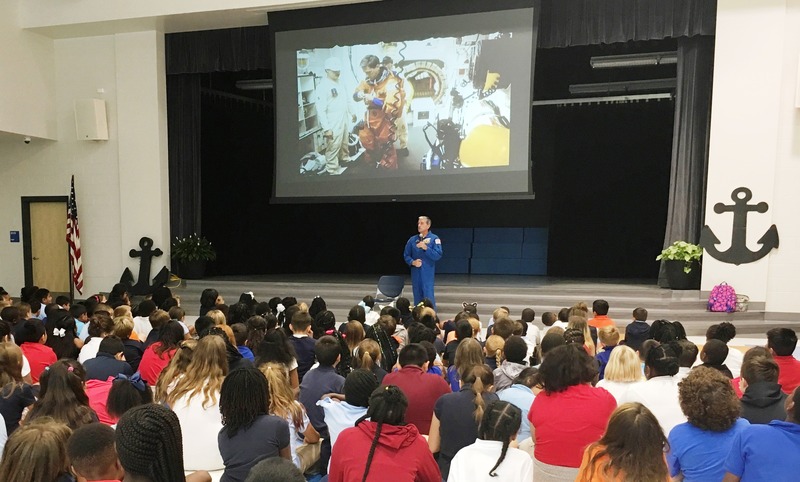 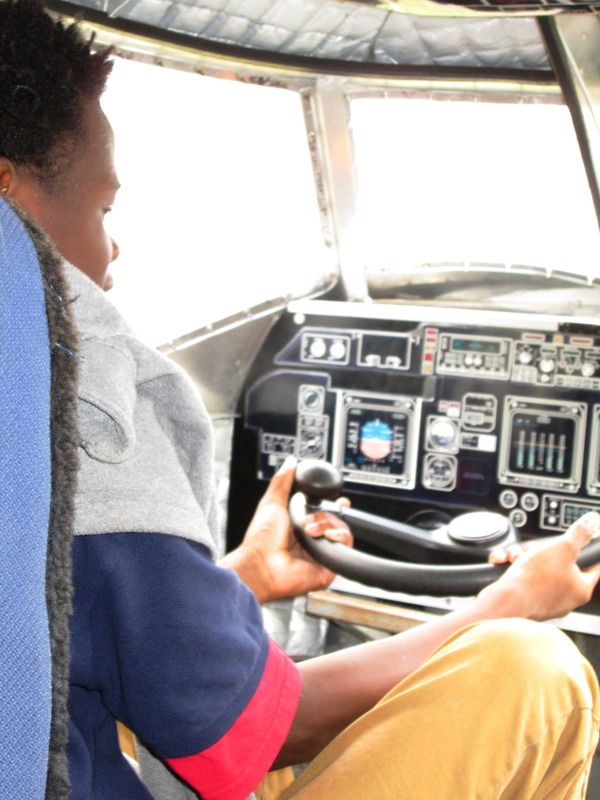 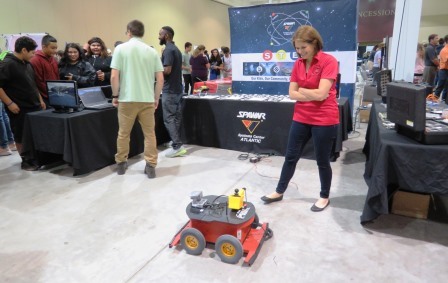 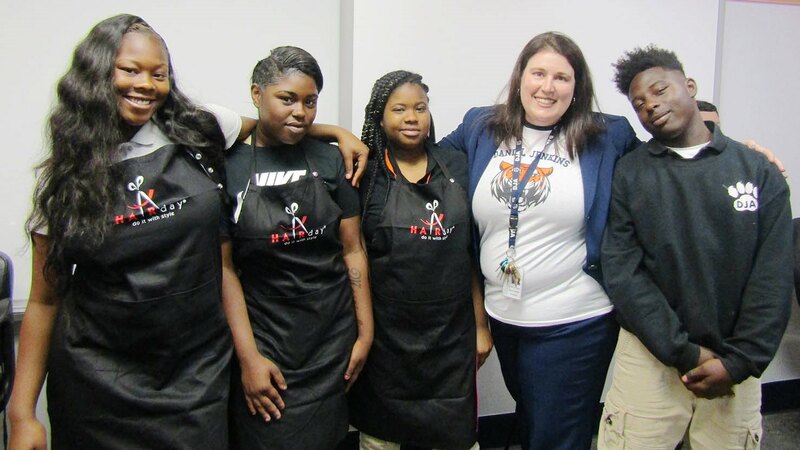 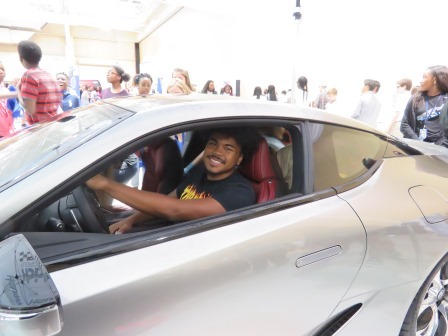 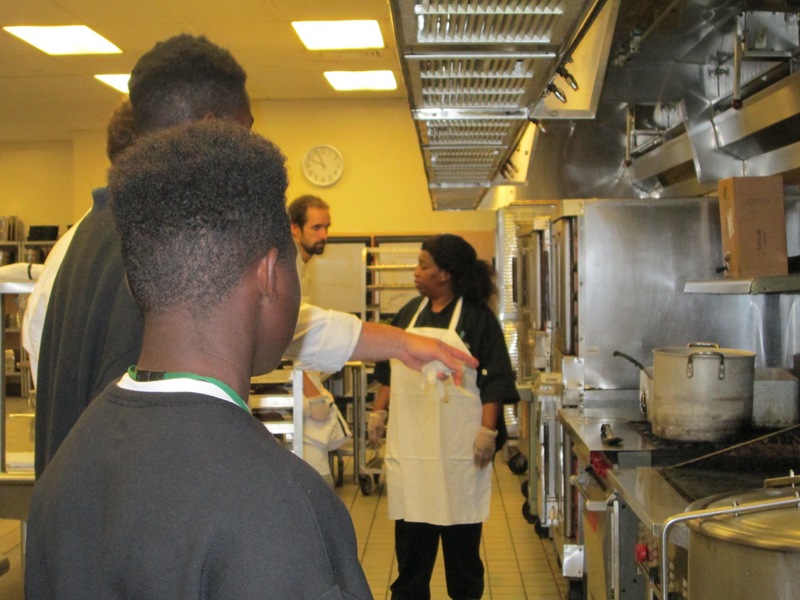 “The students remarked some of the equipment looked complicated, but they were confident they could learn how to properly use the equipment.” said Ms. Hamm. 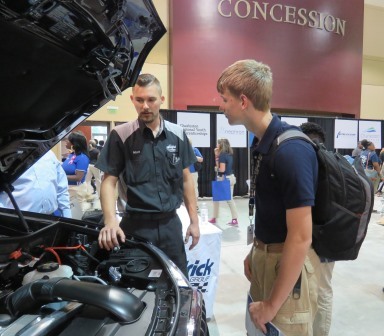 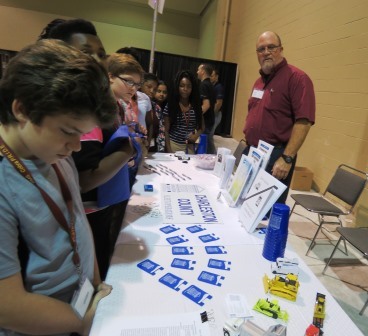 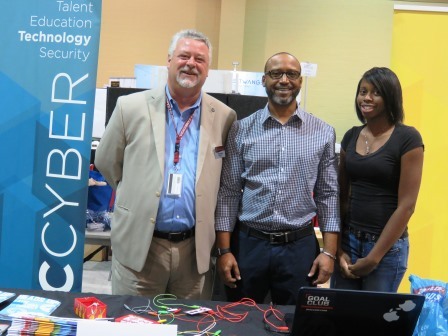 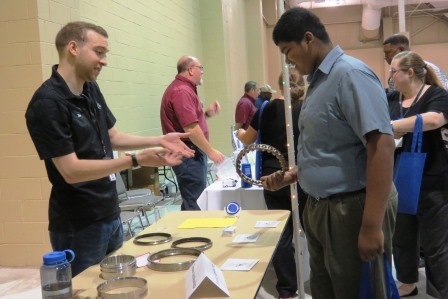 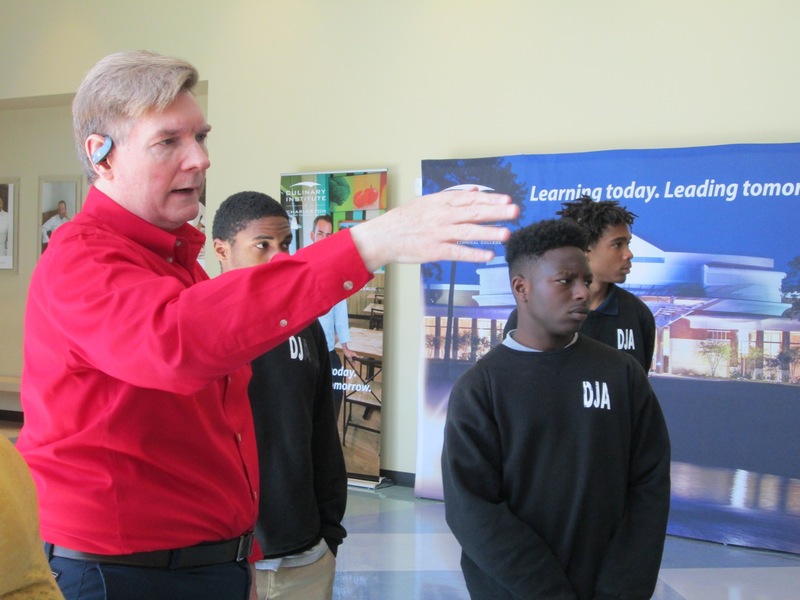 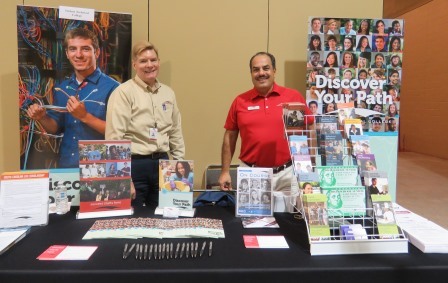 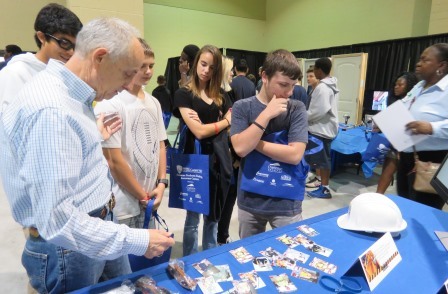 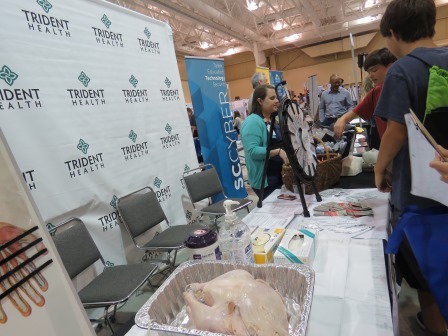 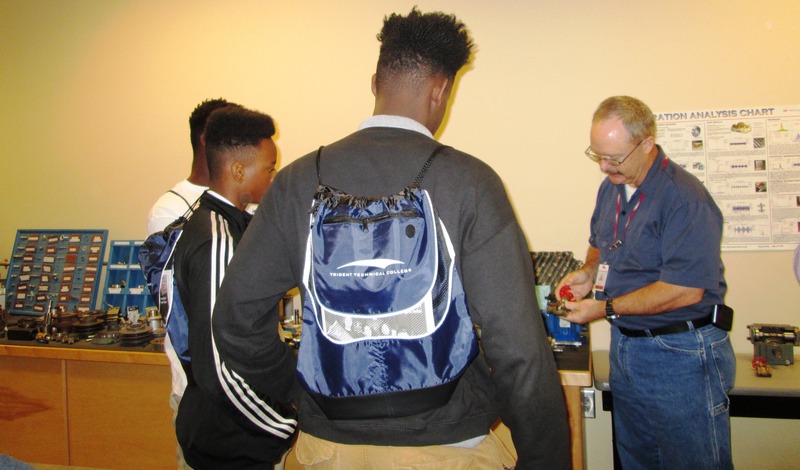 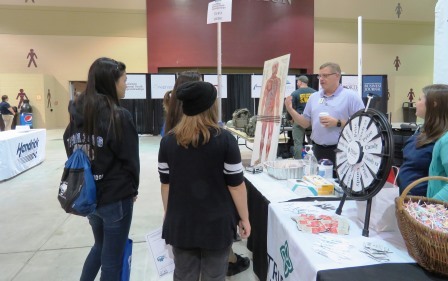 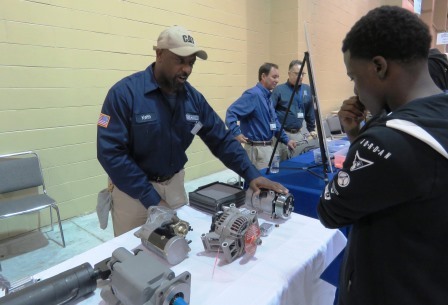 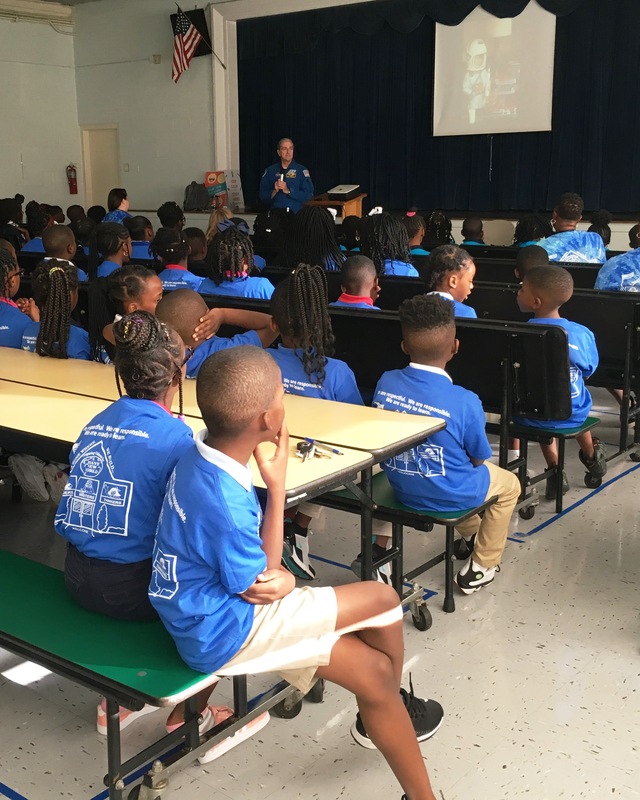 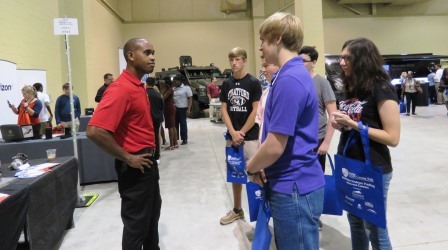 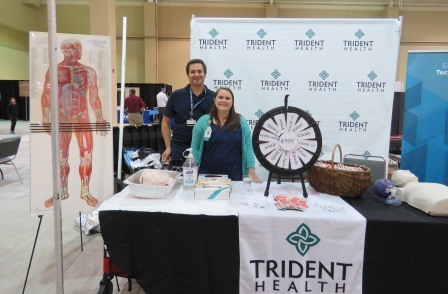 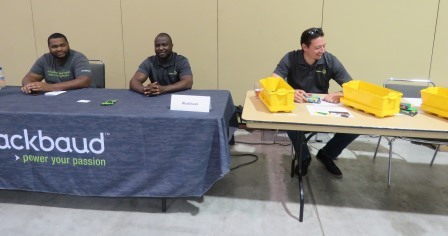 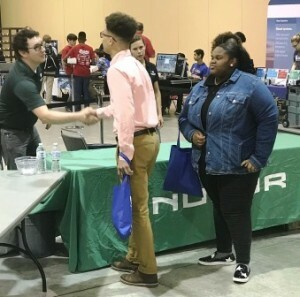 Mr. David Perkins, Program Coordinator for Industrial Mechanics at Trident Technical College, explained to the students that there are traits all employers are looking for in their employees. 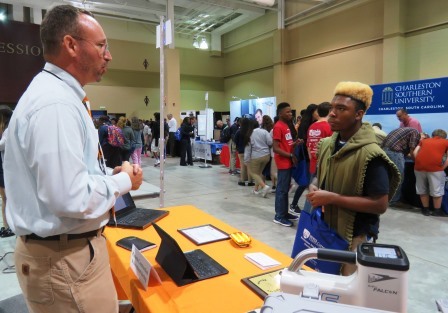 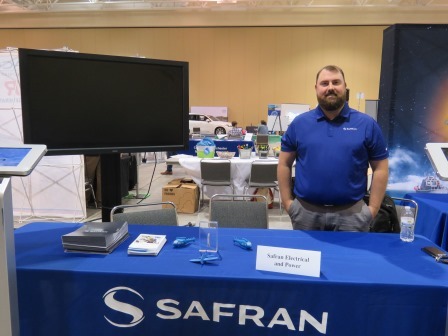 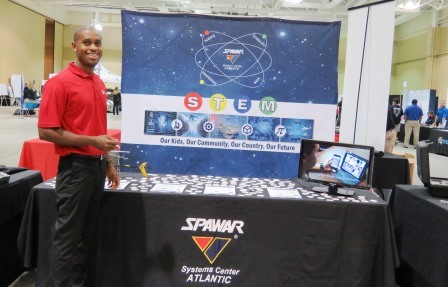 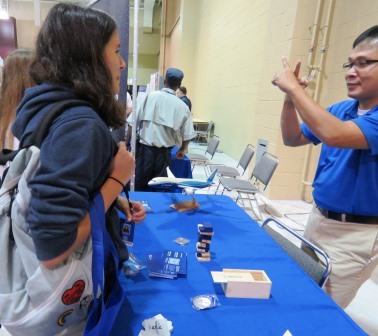 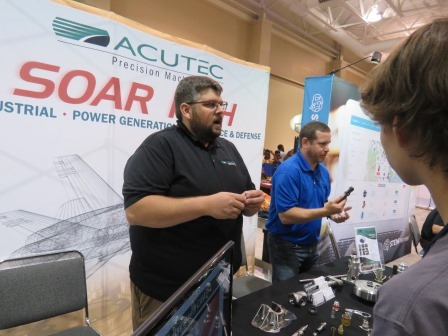 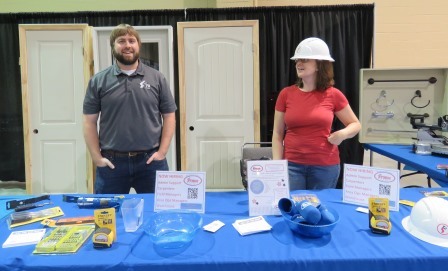 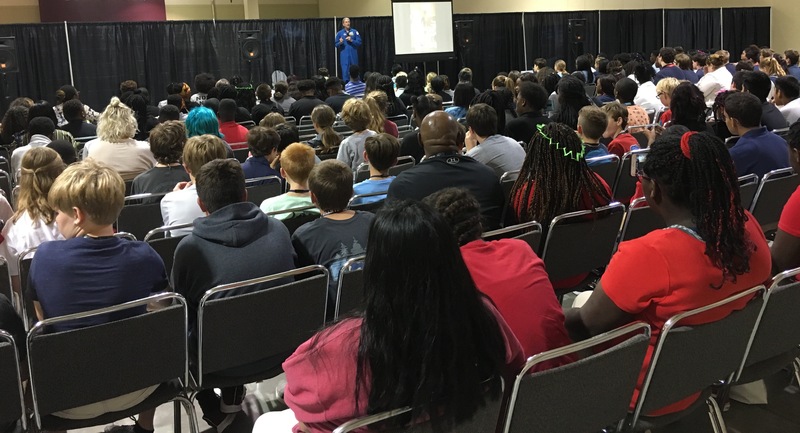 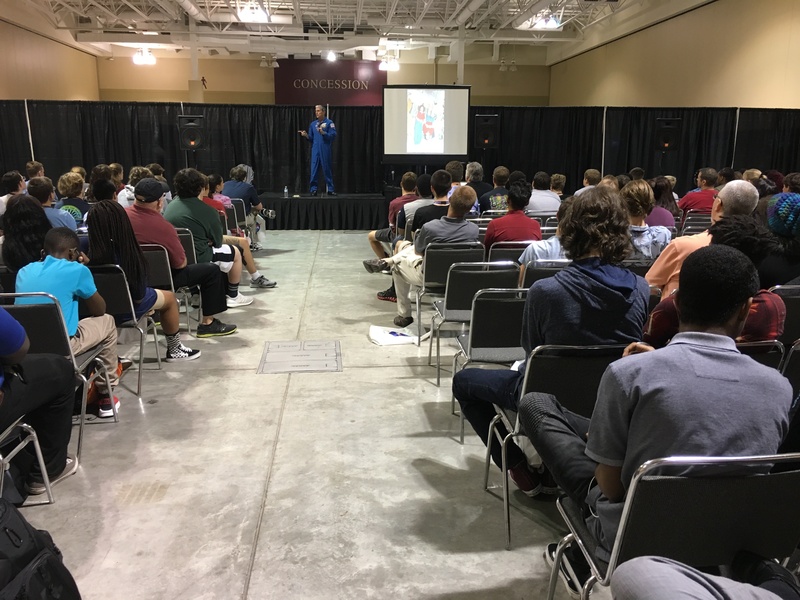 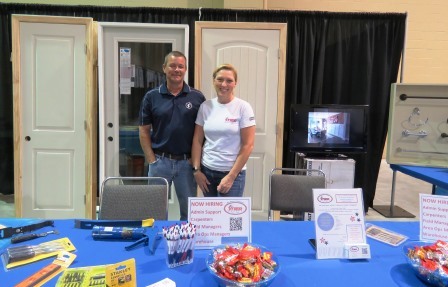 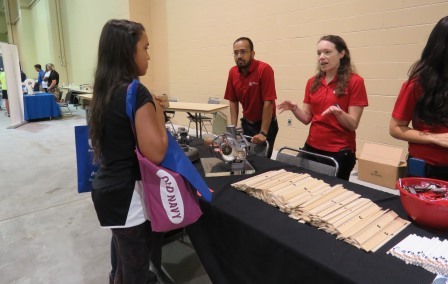 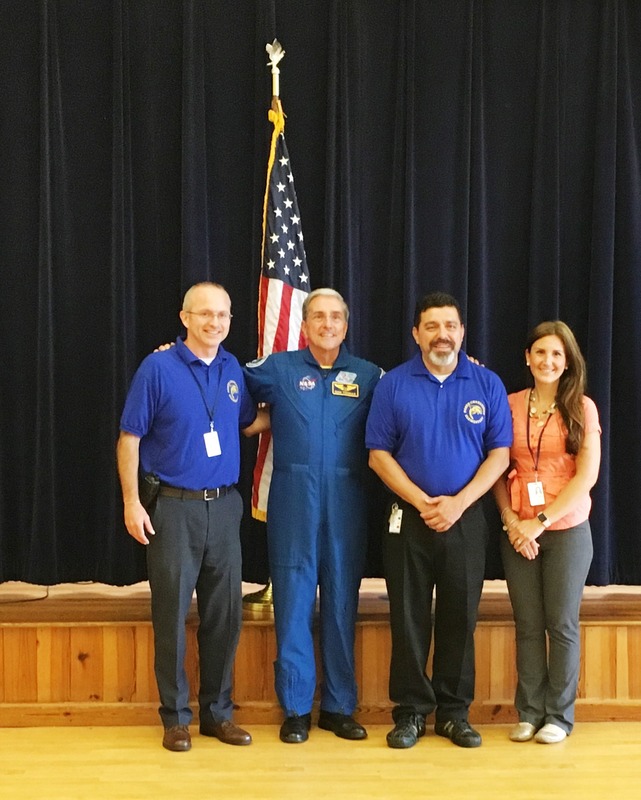 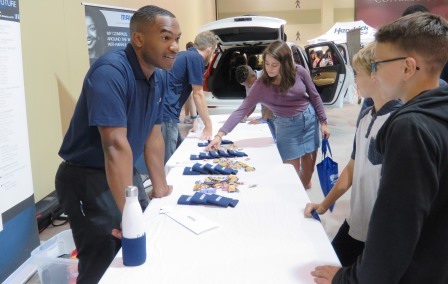 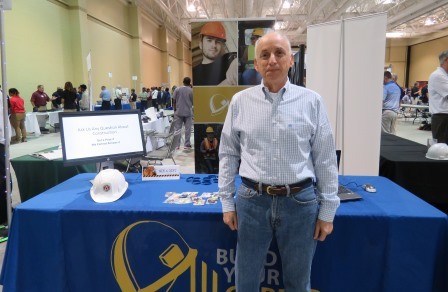 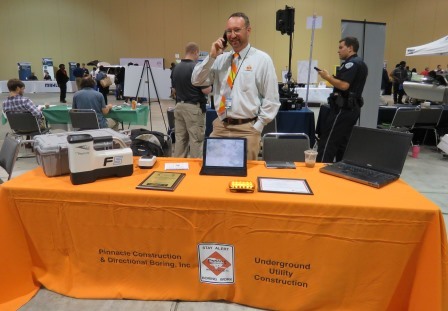 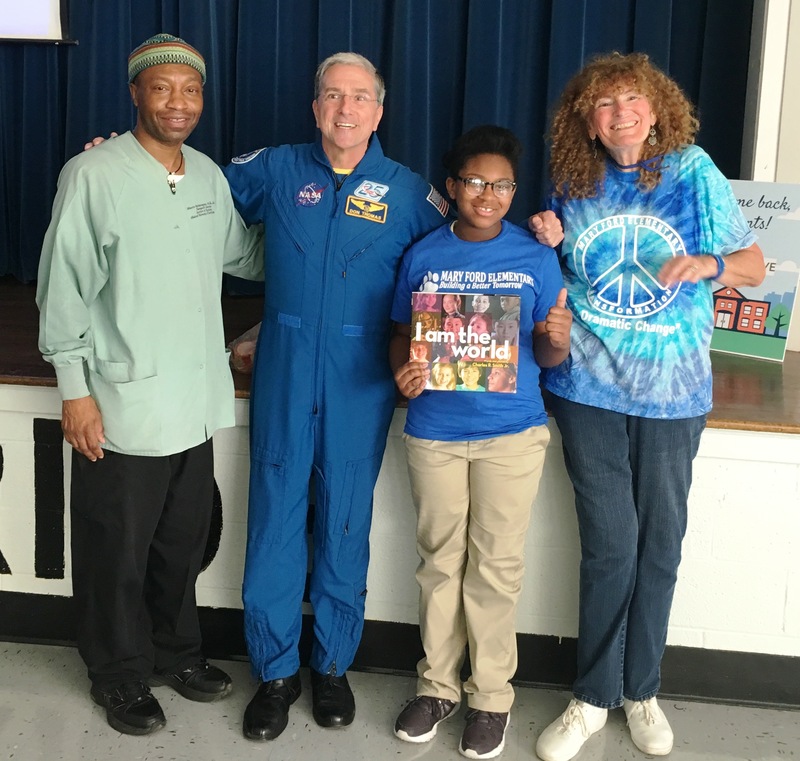 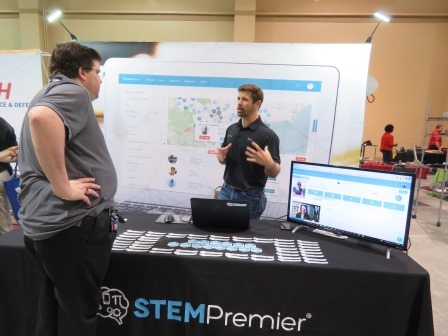 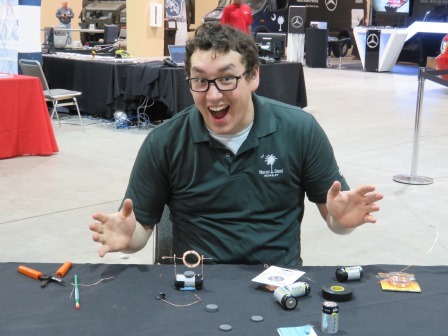 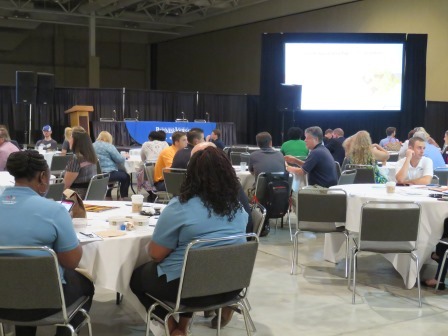 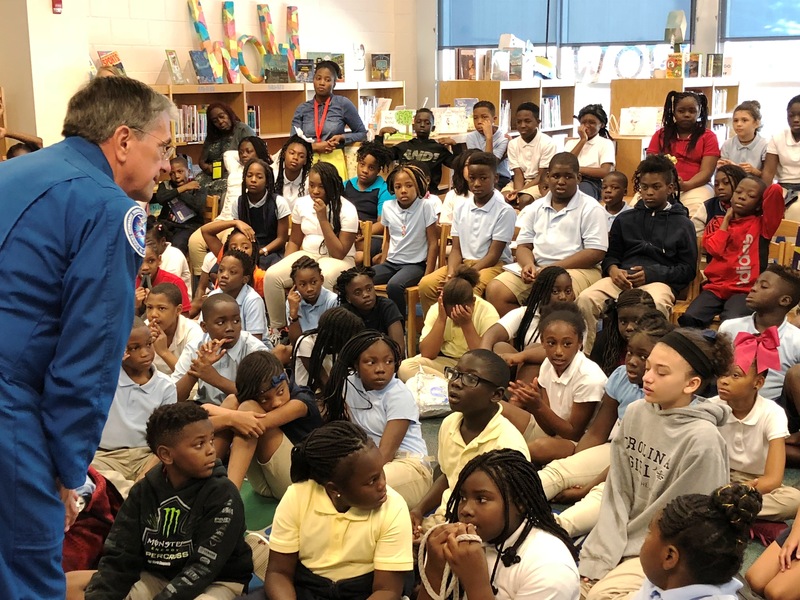 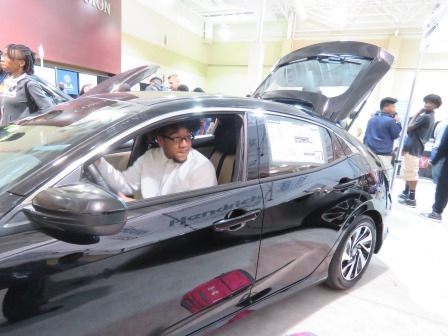 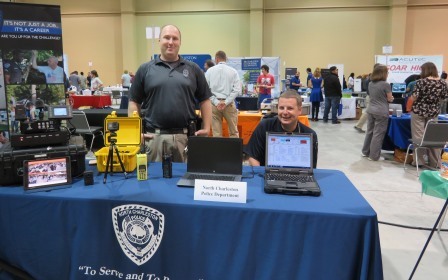 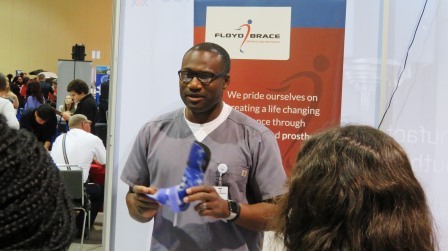 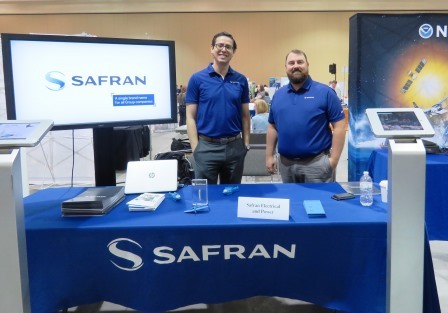 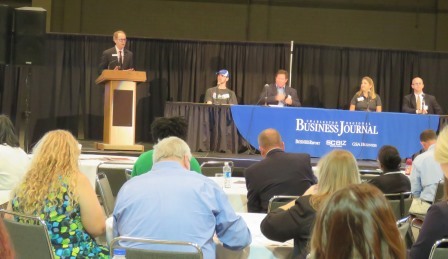 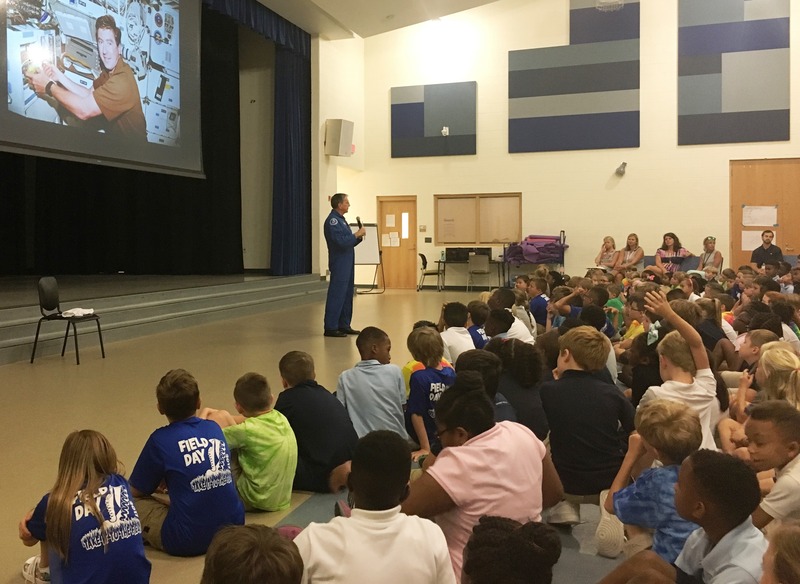 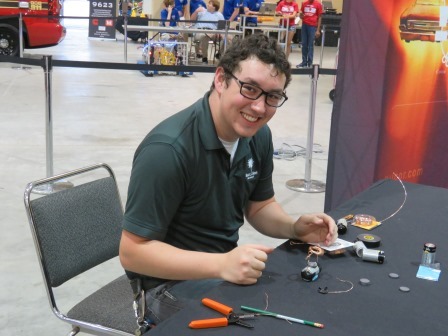 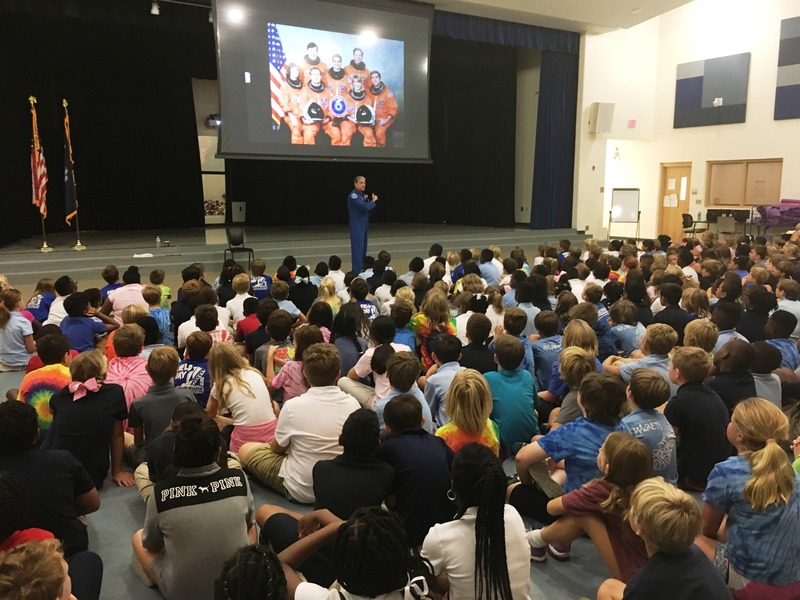 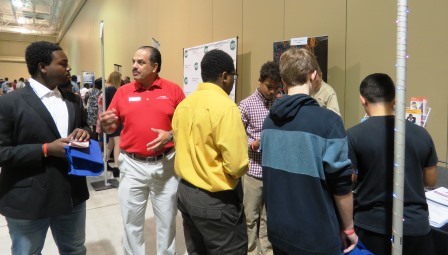 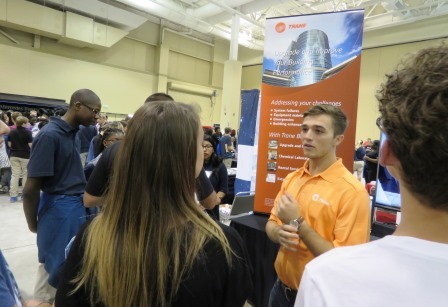 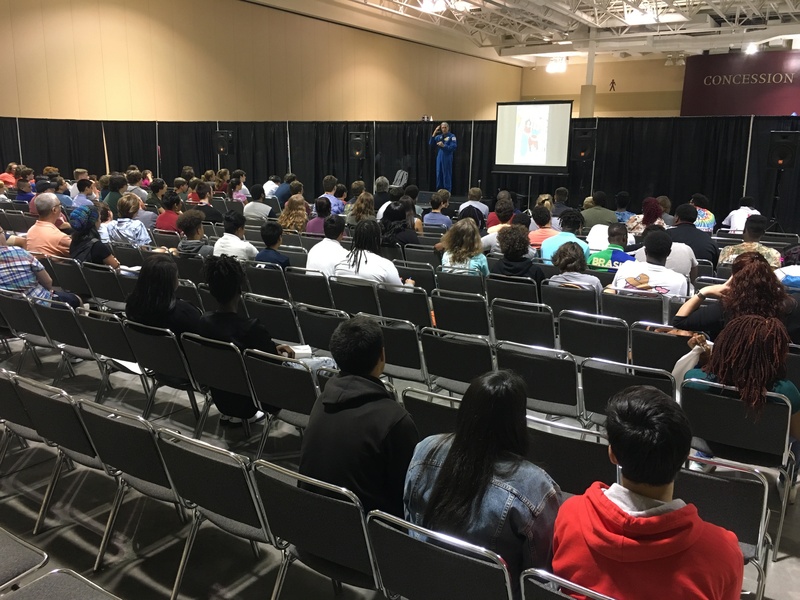 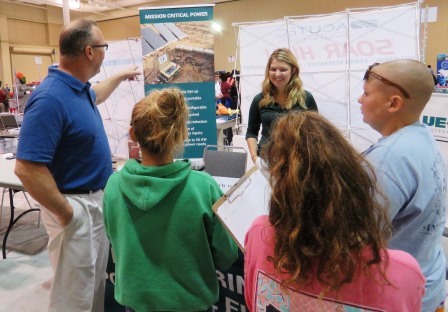 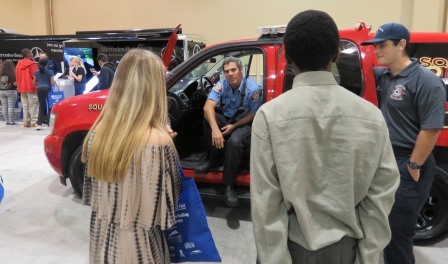 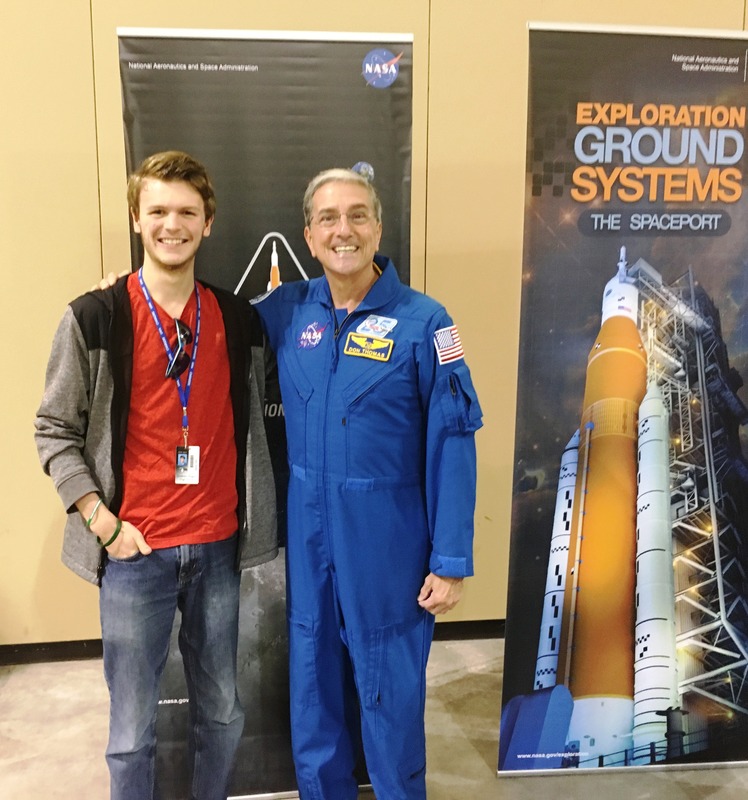 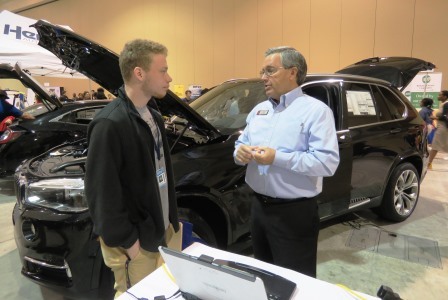 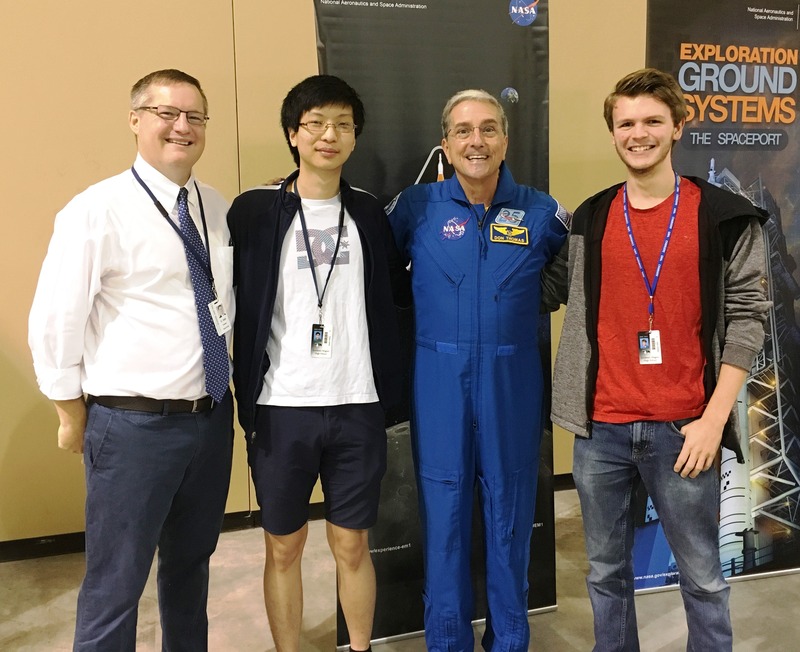 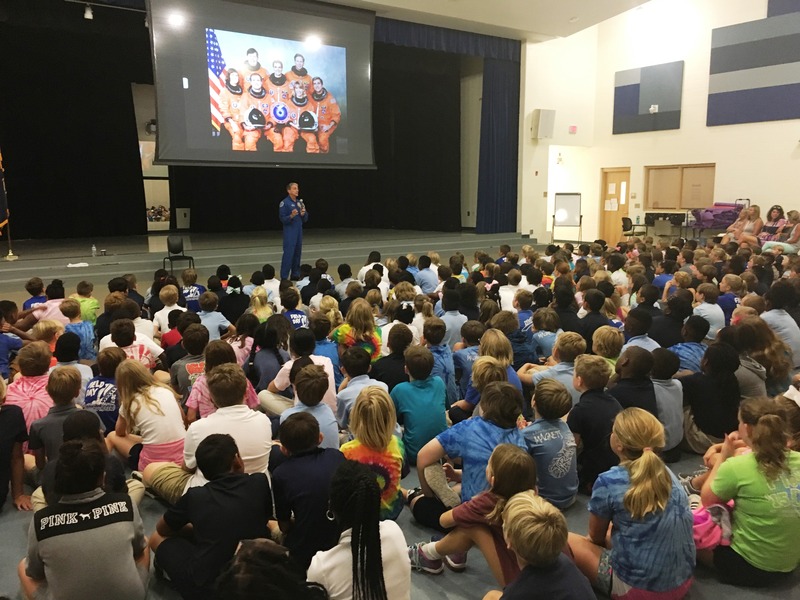 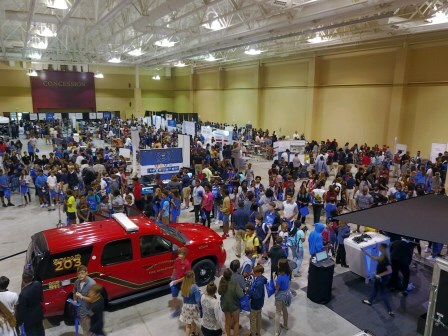 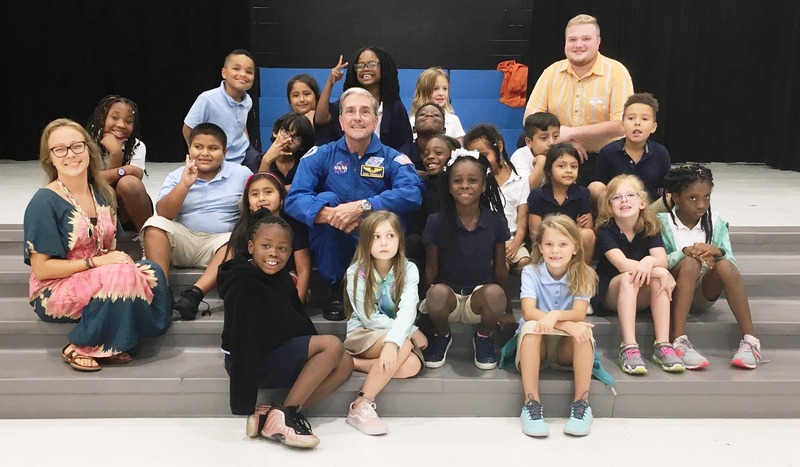 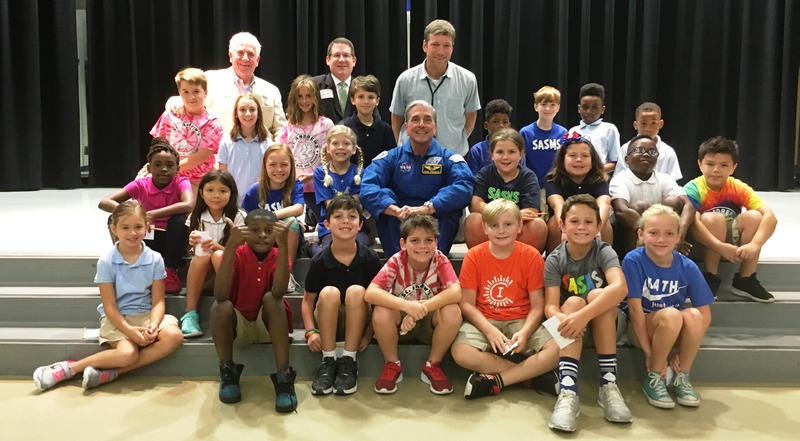 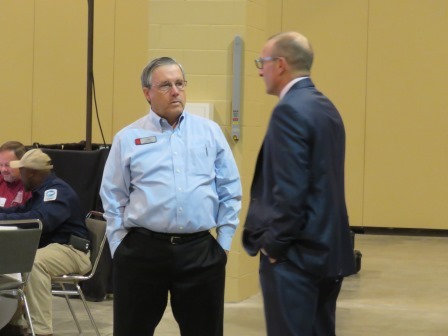 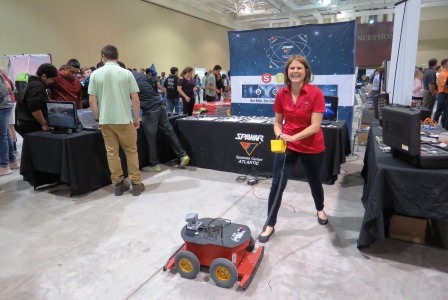 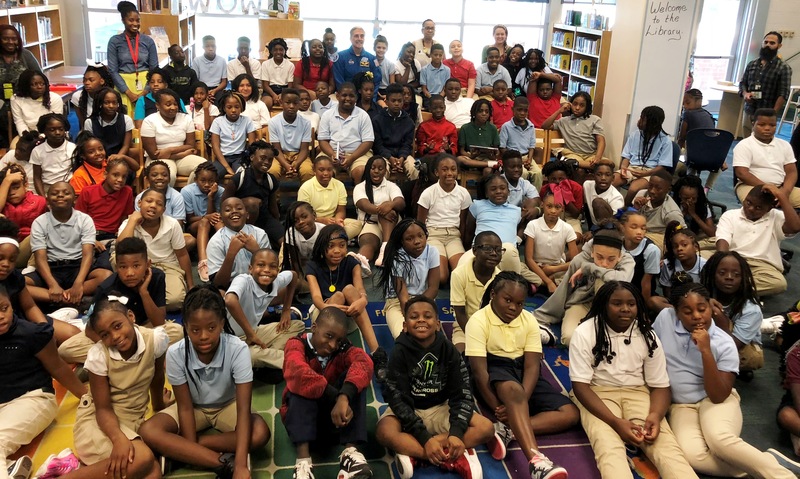 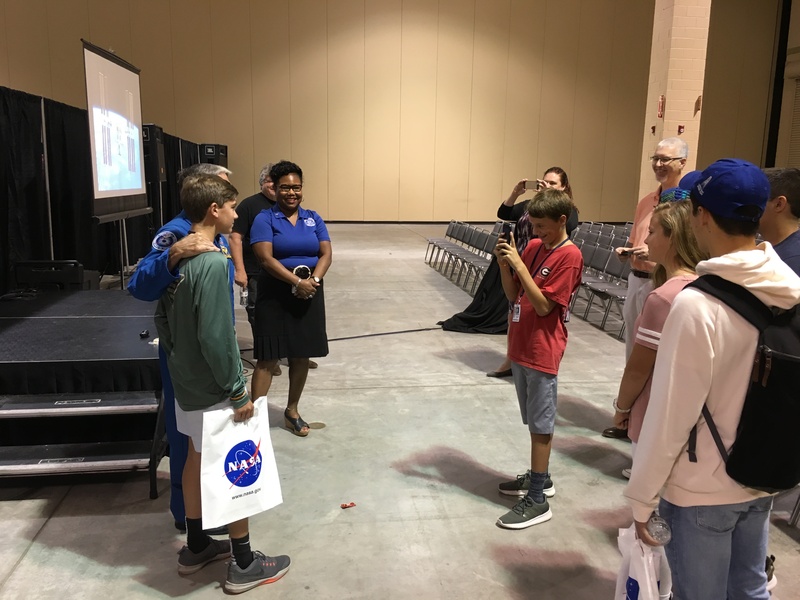 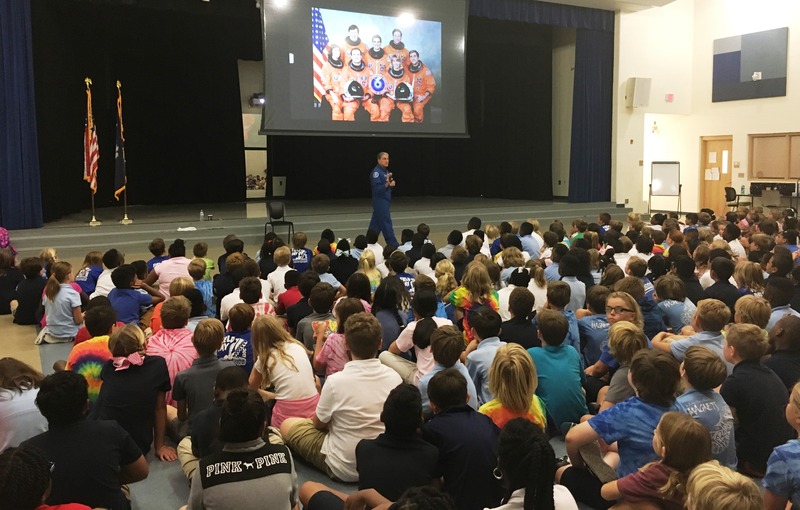 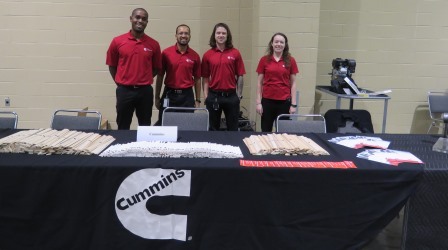 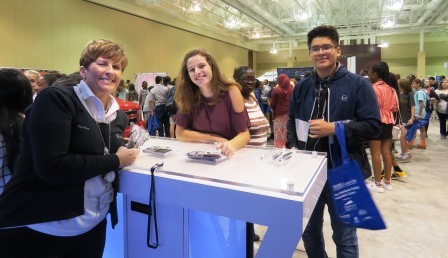 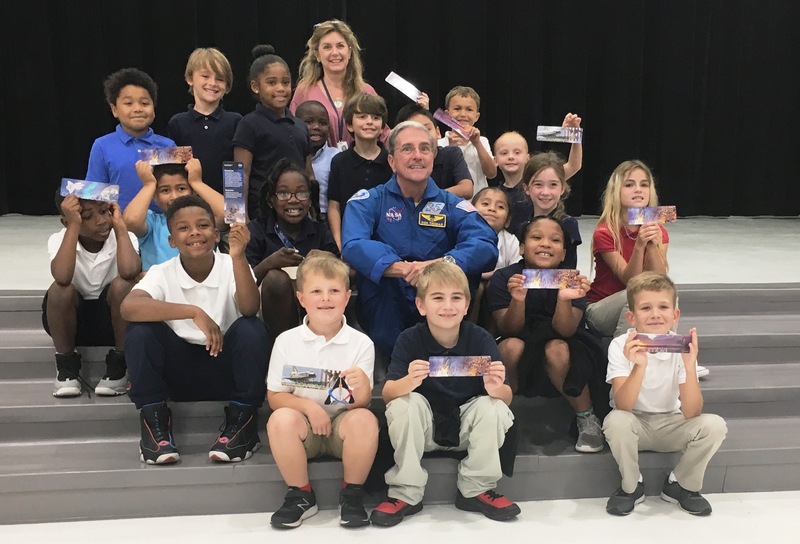 He told students if they made it a point to show up early and prepared to work the whole shift as scheduled, they could enjoy a long and productive career with many local companies. 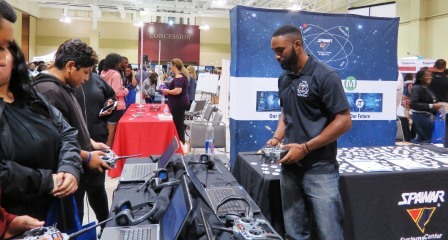 He also stressed that experience or knowledge will get you in the door but commitment and dedication will keep you there and allow for promotions. 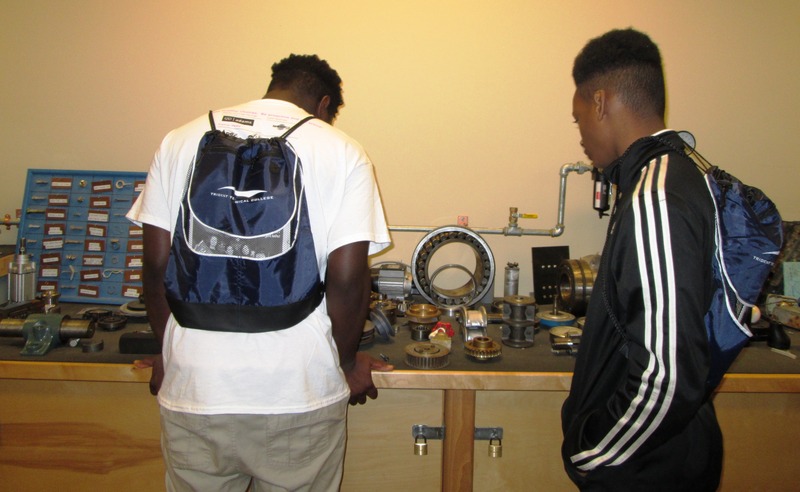 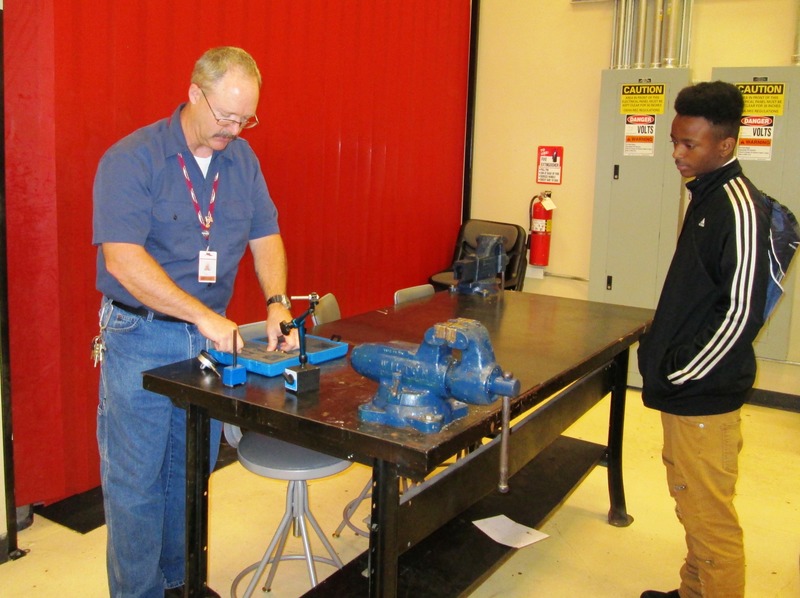 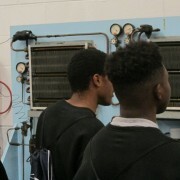 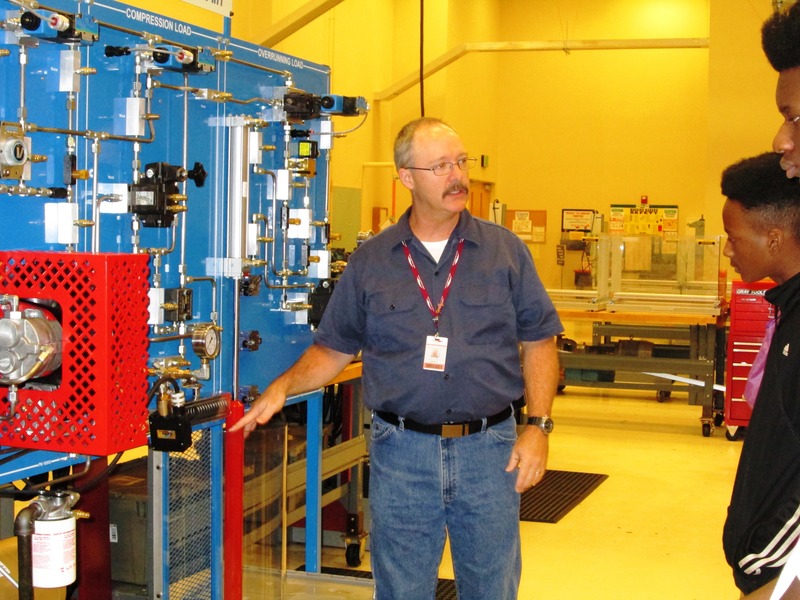 The students left with a clear understanding of the important role Industrial Mechanics serve repairing and maintaining commercial / industrial machinery in buildings, or in a plant or factory setting. 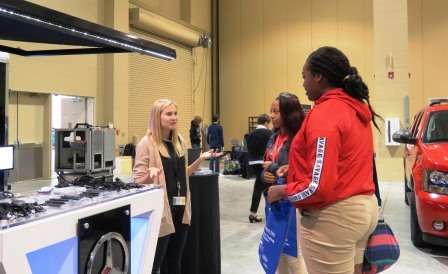 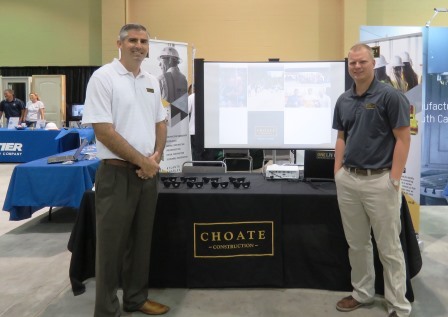 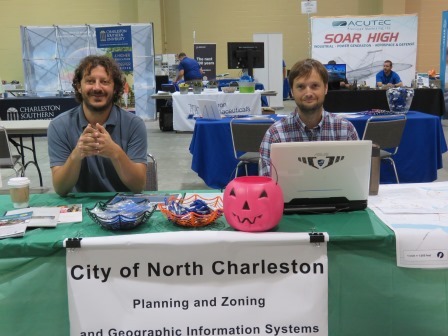 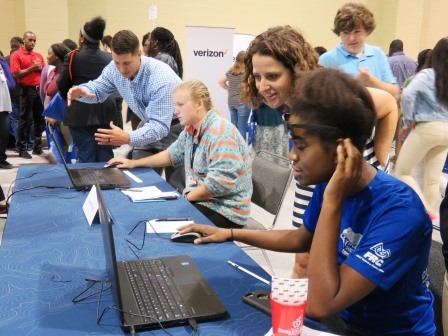 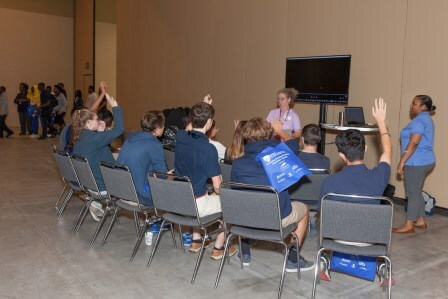 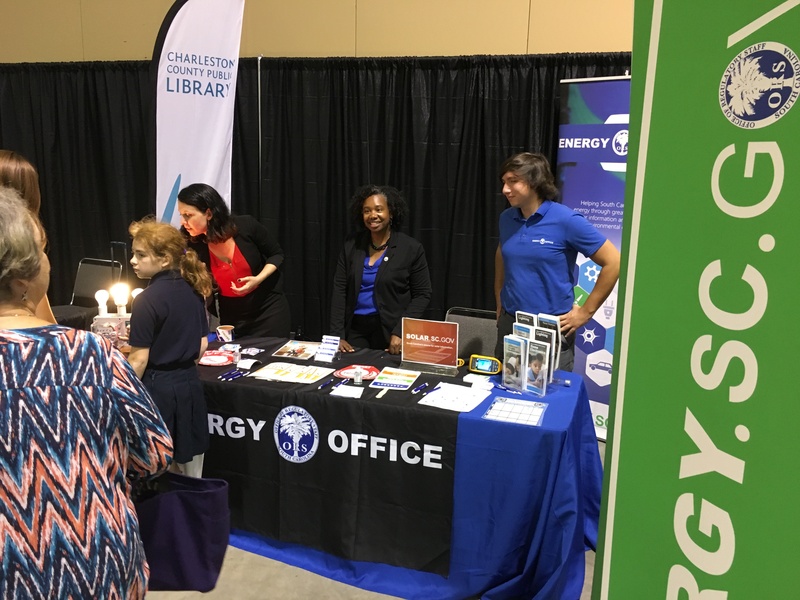 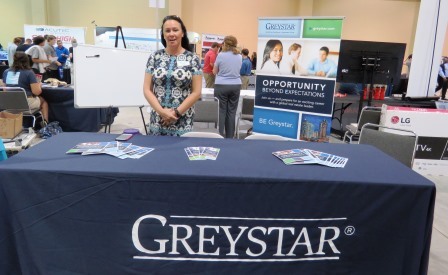 The students were excited to learn the job outlook for this industry is extremely bright in the Charleston region, and that these jobs pay extremely well. 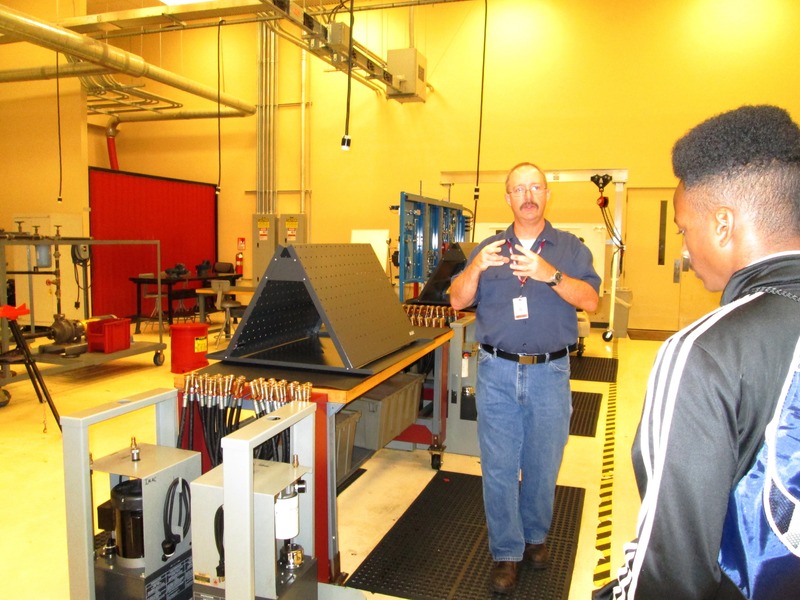 Thanks to Mr. Perkins at Trident Tech for hosting this work-based learning experience, and for sharing the seamless pathway for students to complete high school and earn their industry certifications and associates degree.